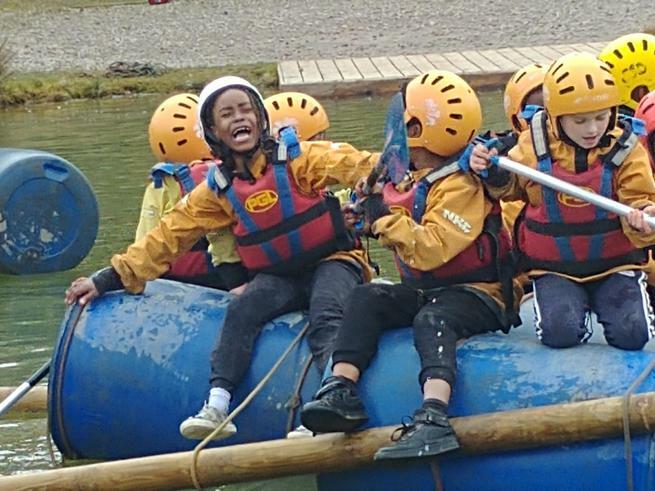 On our last full day of the trip, we visited Rouen, the historic capital of Normandy. 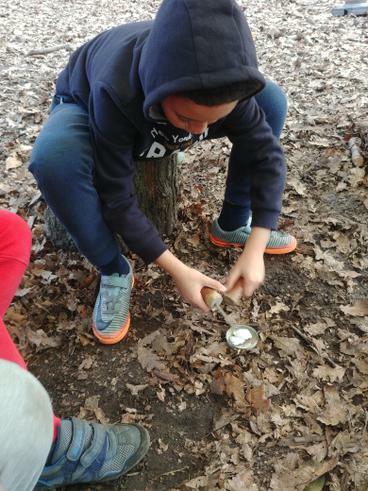 On the way, we stopped to see the local market at Mer-les-Bains. 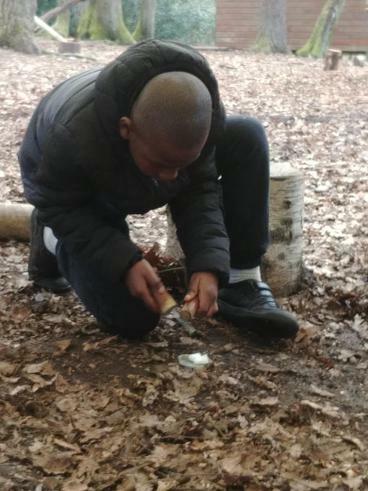 After much debate, Mr Shaw decided not to buy the large roquefort he had his eye on and settled for a saucisson instead. 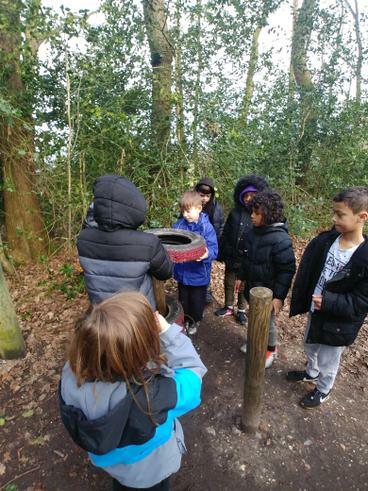 The children had the chance to use their French to buy souvenirs and presents (not to mention some very smart hats for the disco). 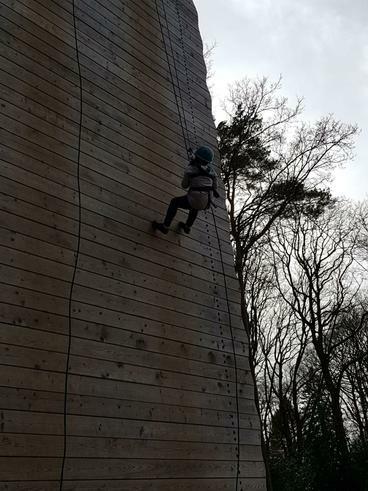 We had lunch in Rouen itself, by the beautiful modern church dedicated to Joan of Arc. 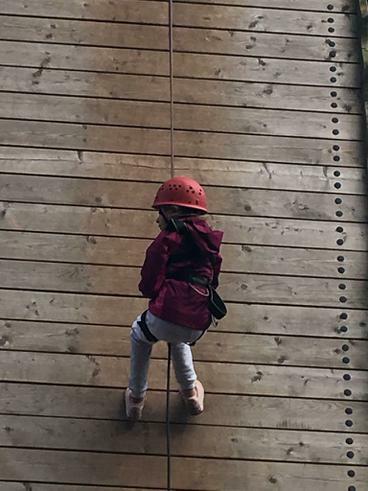 Afterwards, Mollie told us all about her life and took us on a tour of the city and the incredible Rouen cathedral. 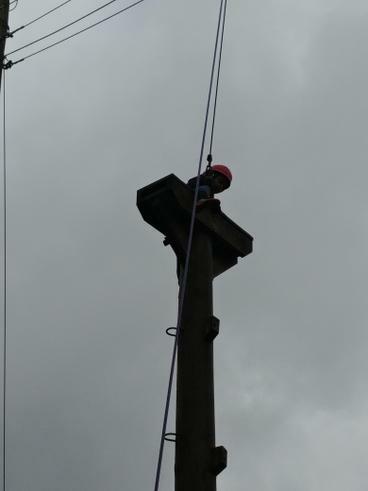 We learnt all about how it was built, and the story of how the original spire burnt down following a lightning strike only to be replaced with a new 850-tonne metal spire! 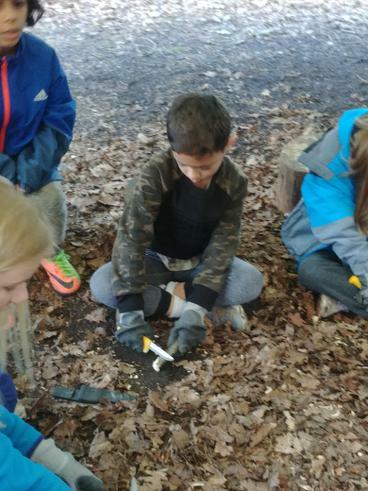 We also had the chance to visit a 16th-century osserie and see the remains of a mummified cat. 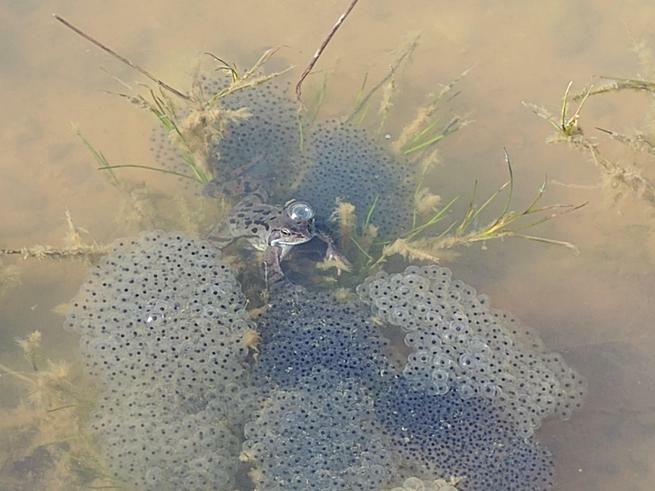 In the evening, we had our final night 4-course dinner (including frogs’ legs and snails!). 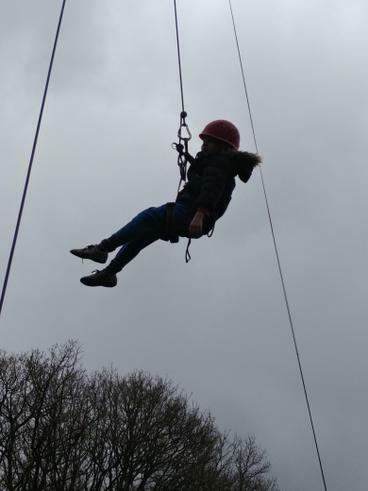 Some of the children were very brave and tried everything. 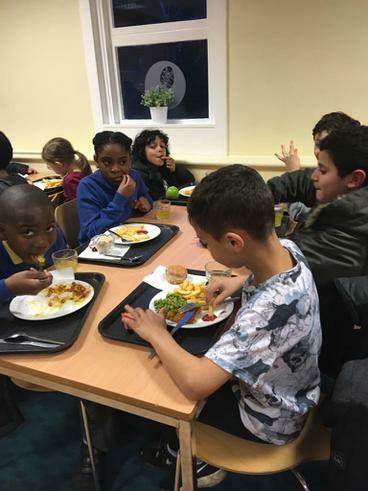 After dinner, the children had the chance to show off their finest clothes and dance moves at the disco. 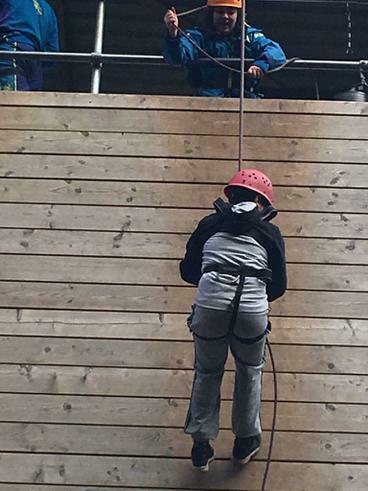 The chateau staff looked seriously impressed! 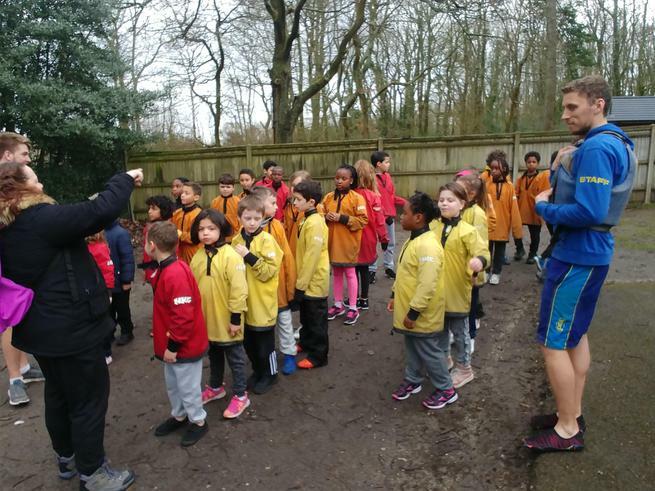 We have a long journey ahead of us tomorrow, but it will be broken up by a visit to the Nausicaa aquarium which the children are really looking forward to. 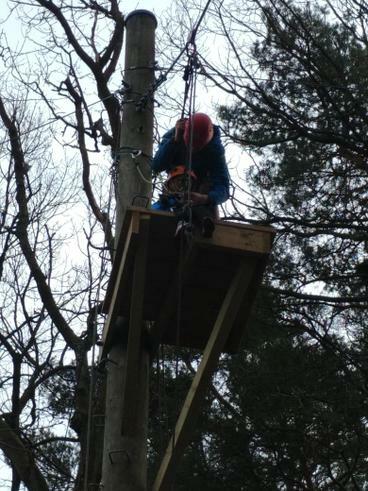 See you all tomorrow! 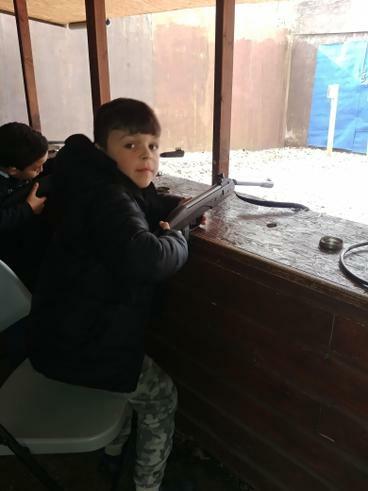 Today, our focus was on learning all about the First World War. 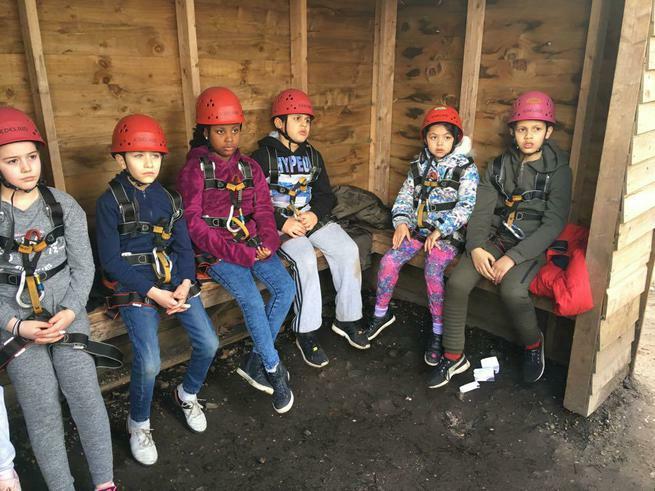 We started by visiting Wellington Quarry, an enormous network of tunnels dug by allied soldiers around the town of Arras. 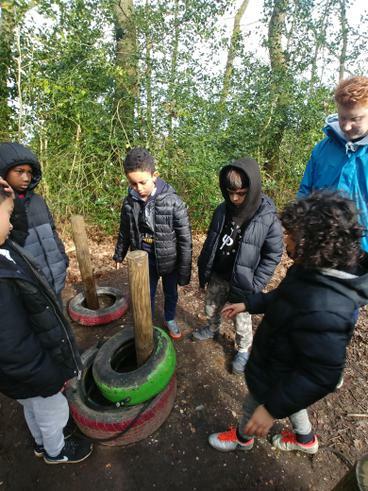 We saw what life would have been like for the men who lived in the tunnels, often staying underground for eight whole days at a time. 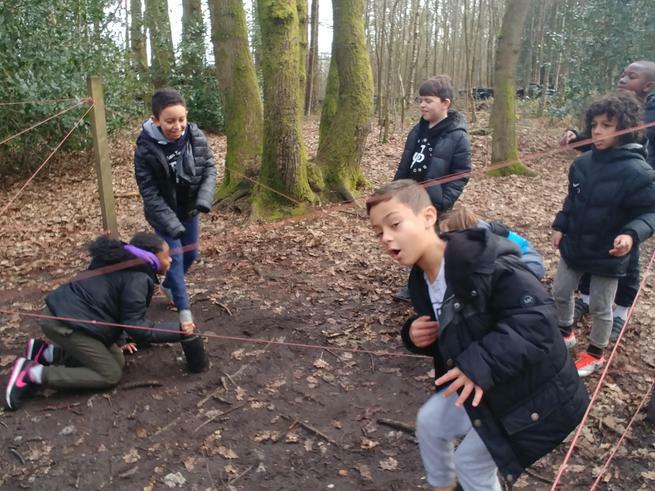 After a picnic lunch by the Arras memorial, we traveled to Vimy Ridge, where we were able to walk in real Allied and German trenches on either side of No Man’s Land. 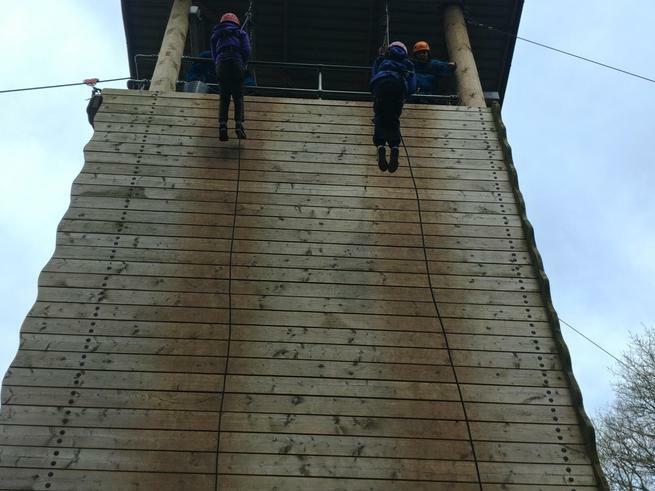 At one point, the gap was only 25 metres! 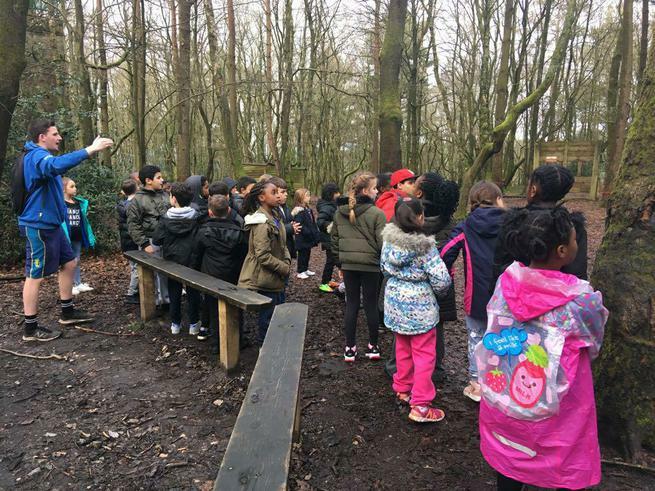 Later, we visited the Canadian memorial, where we had a minute’s silence to reflect on what we had learnt, and to consider the sacrifice that was made by so many 100 years ago. 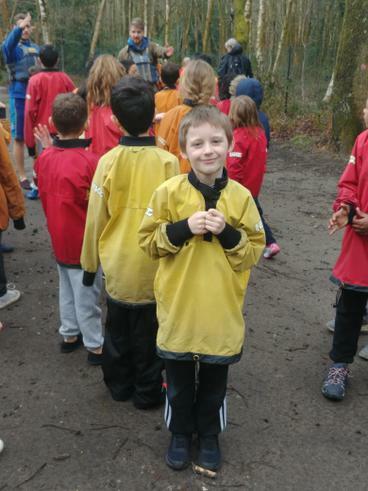 On the way back to the chateau, we passed a German cemetery that contained the remains of over 32,000 soldiers. 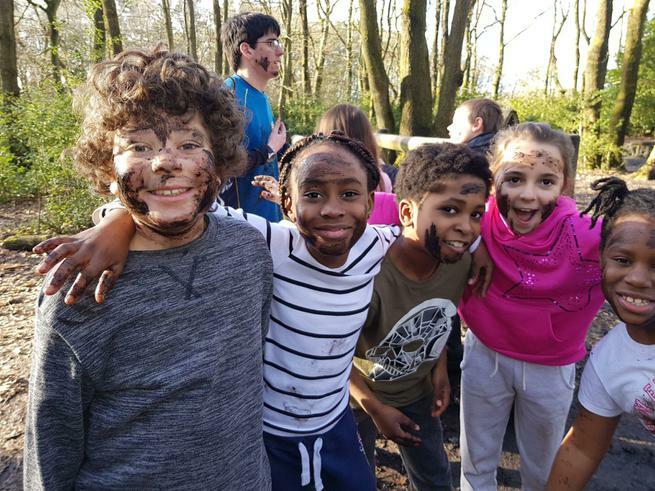 In the evening, we had a much needed rest, followed by Mini Olympics. 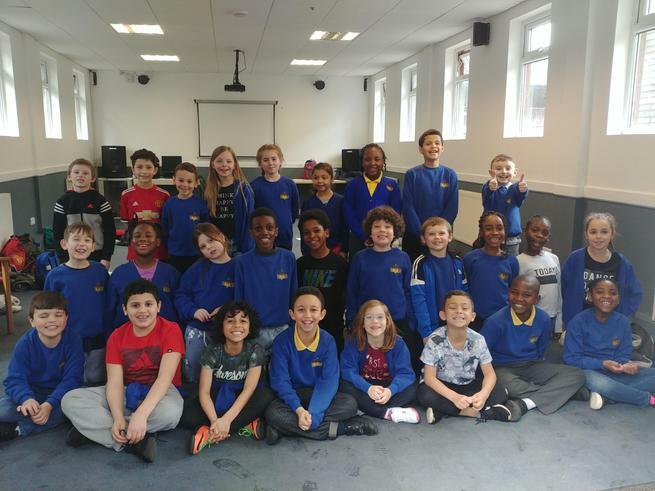 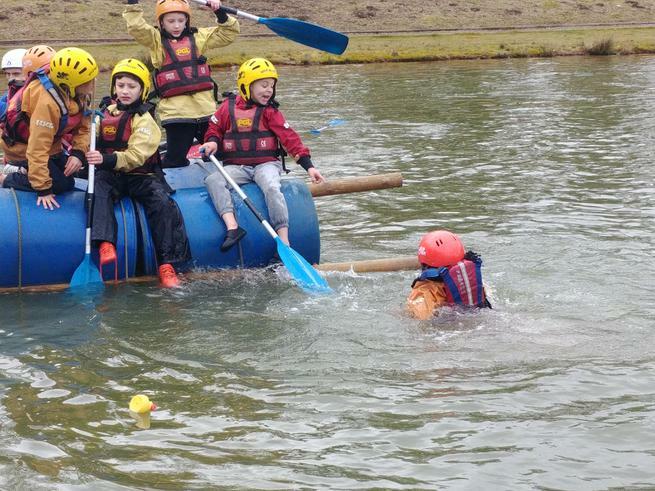 The children had lots of fun competing against each other, as you can see from the photos! 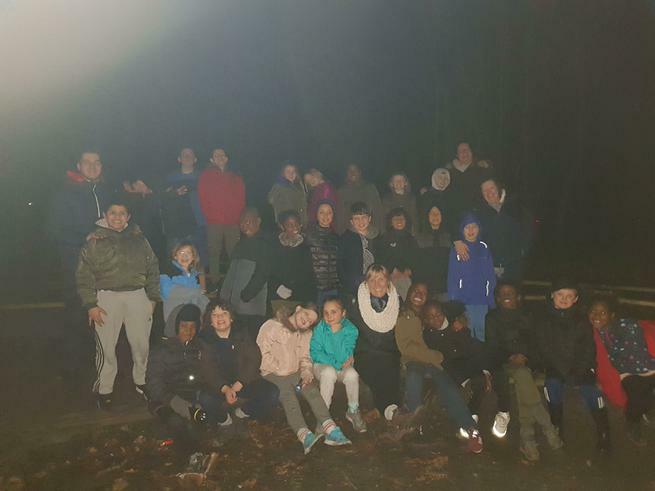 Tomorrow, we will go to Rouen to see the cathedral and have a historical tour of the city. 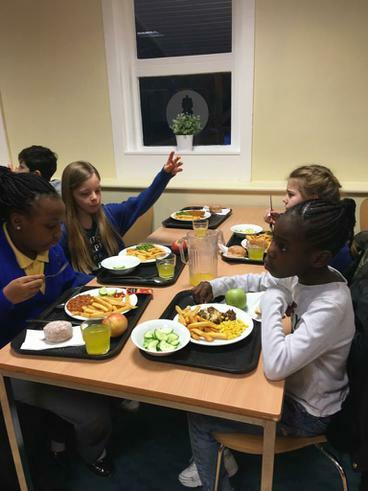 This morning, we visited the picturesque seaside town of Dieppe, where we learnt all about the town’s history. 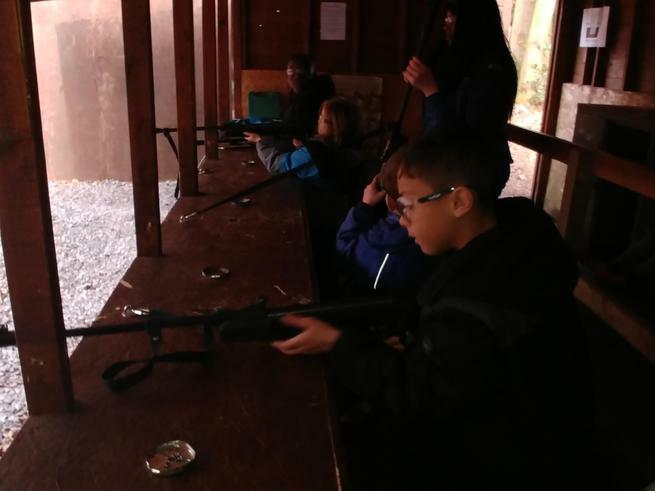 We heard how the town has always been a center of nautical activity, from Abraham Duquesne’s swashbuckling battles with the Spanish navy in the 17th century, right up to the daring raids on German intelligence bases organized by Ian Fleming in 1942. 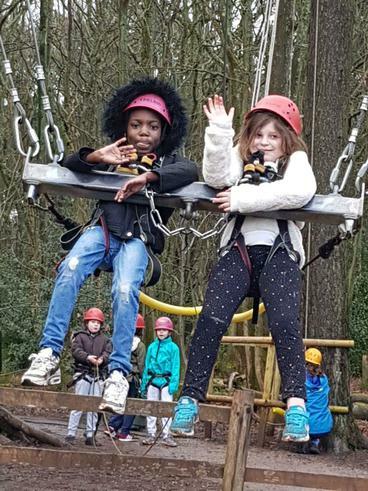 The children also had the chance to explore some local shops and practice their French (“Je voudrais in pain au chocolat s’il vous plaît!”). 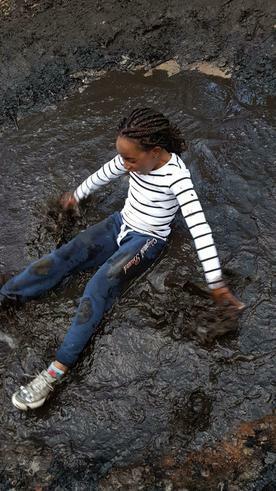 In the afternoon, we visited a goat farm run by Laurence and her husband. 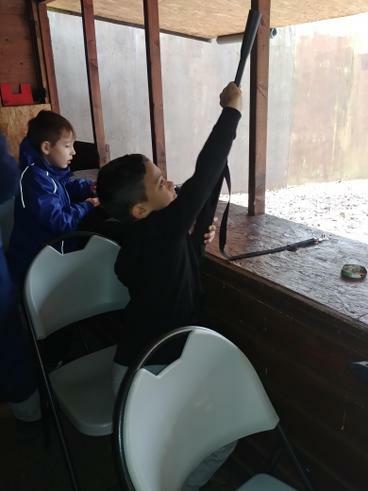 We saw goats, pigs, cows and even a horse! 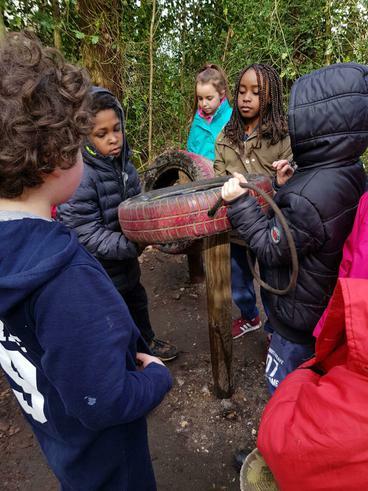 We also learnt about the milking process and had a chance to try some fresh goats’ milk and cheese. 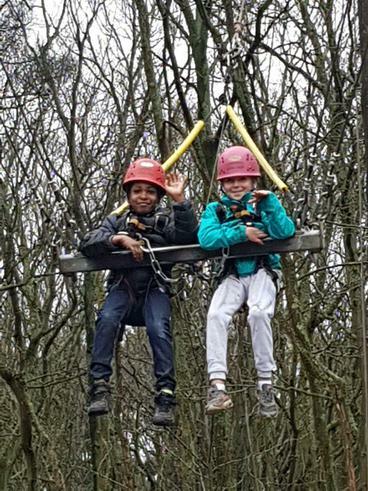 Later on, we had a lovely walk back to the chateau from the beach, followed by archery after dinner. 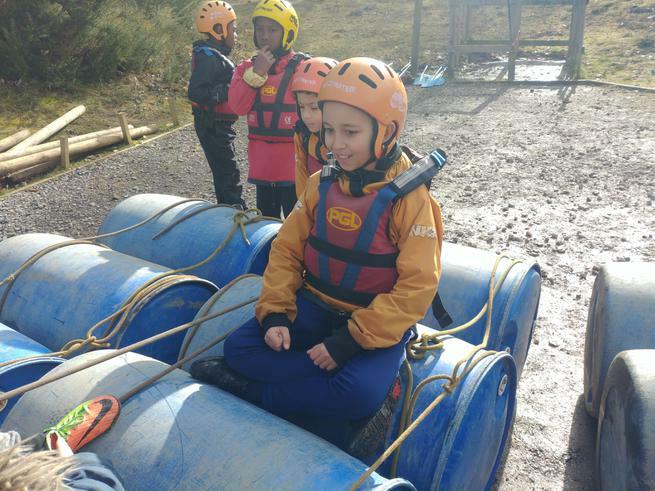 Bring on Day 3! 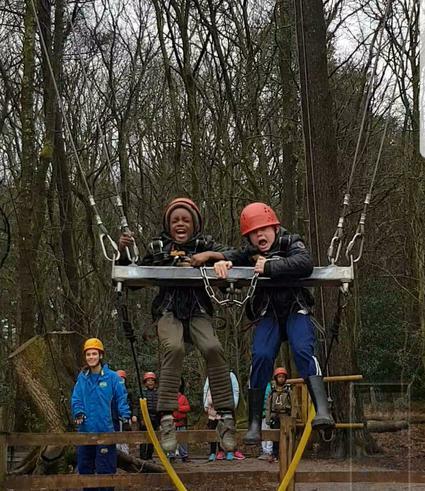 Our last day has been one of mixed emotions, happy to go home and see our families but sad to leave the adventure that is PGL and our Group Leader Kieran who has been fantastic with the children. 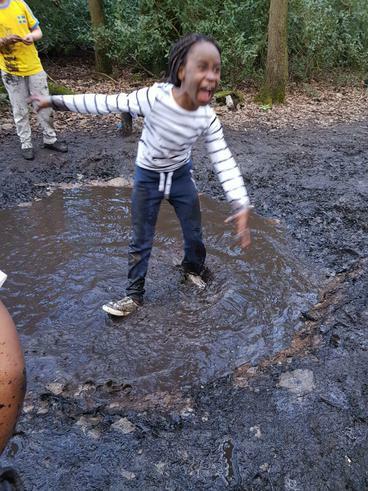 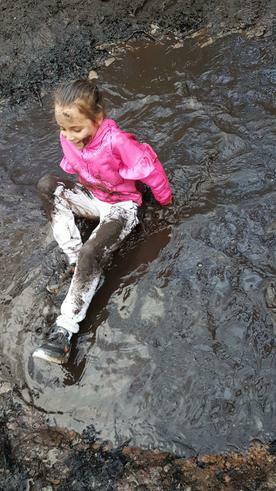 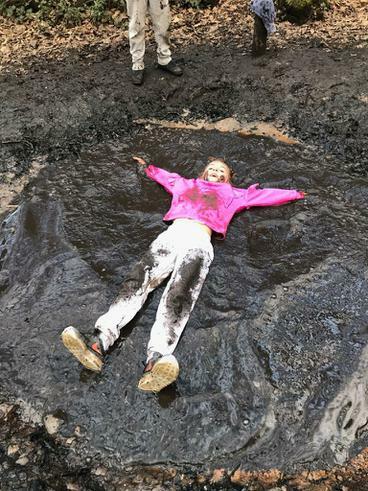 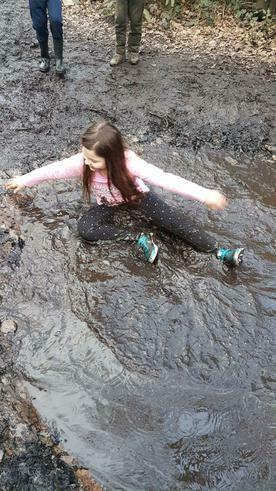 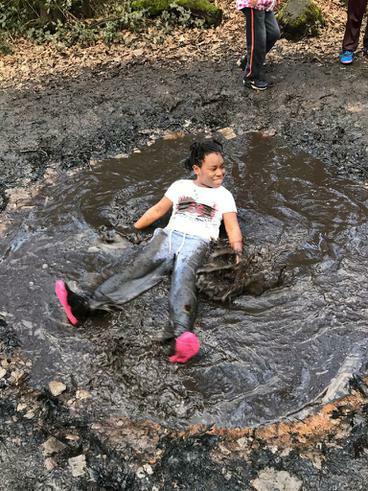 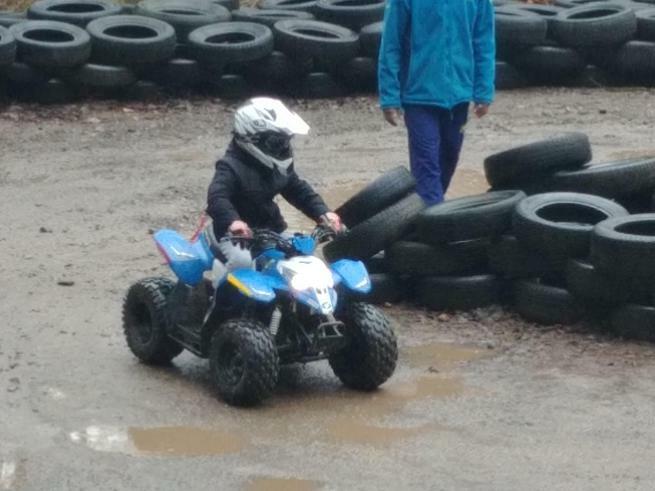 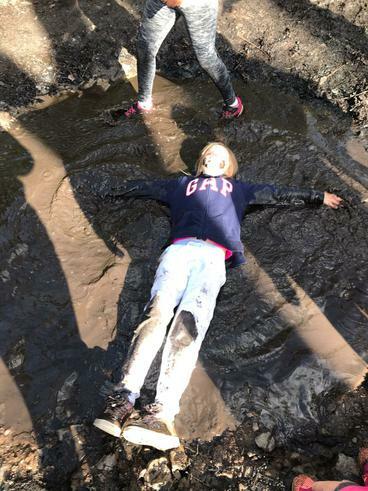 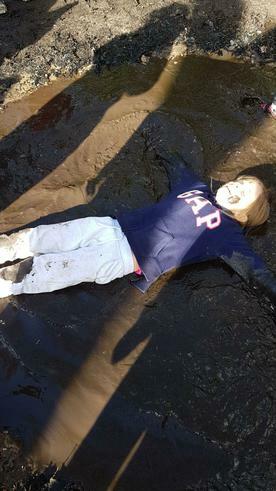 Our last full day at PGL has been a wet and muddy one but the children has blast none the less! 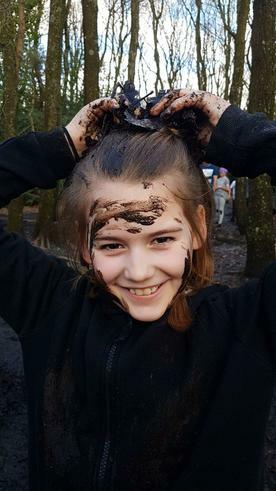 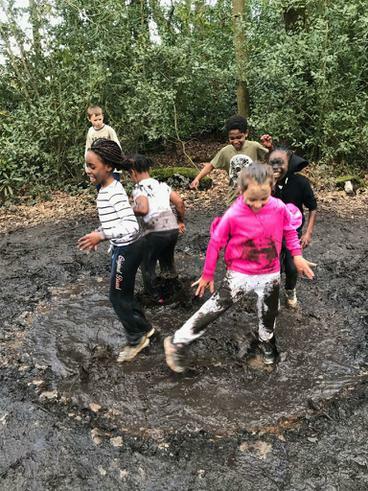 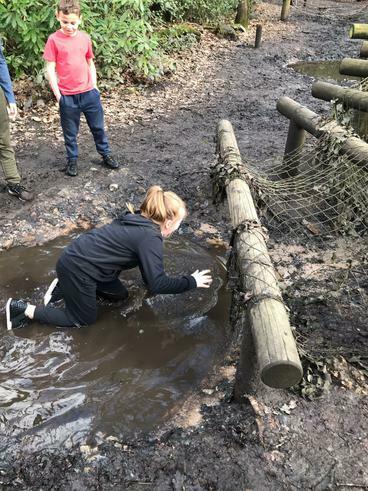 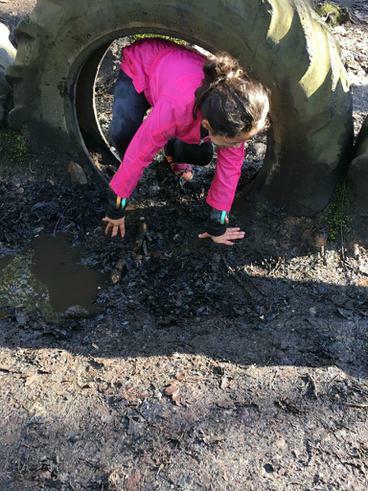 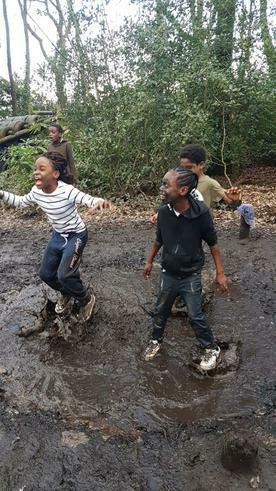 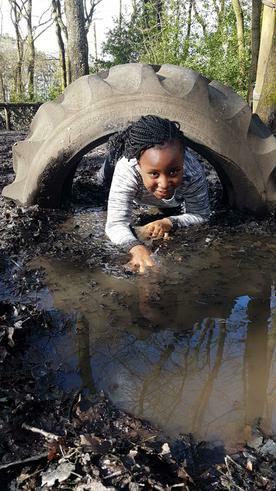 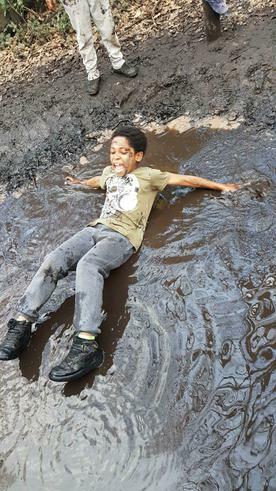 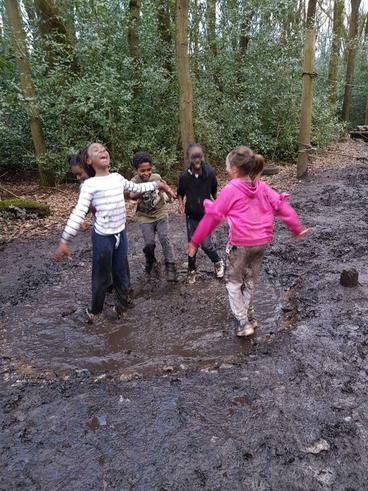 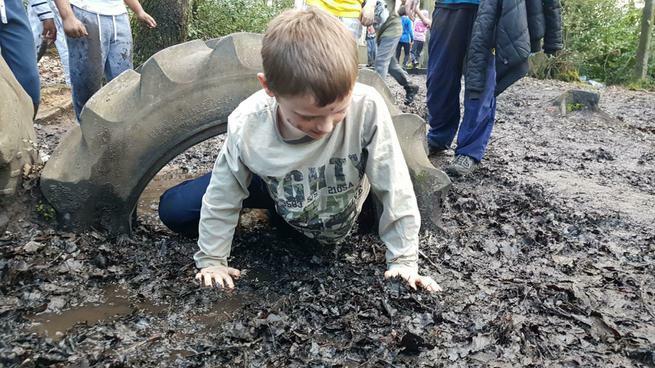 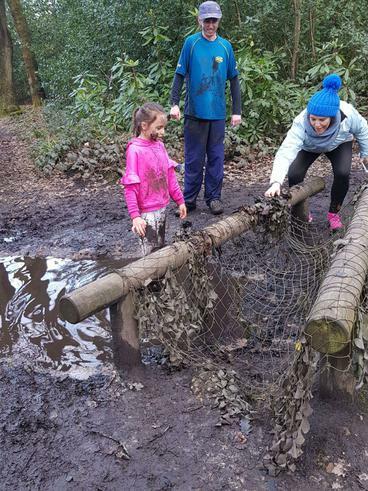 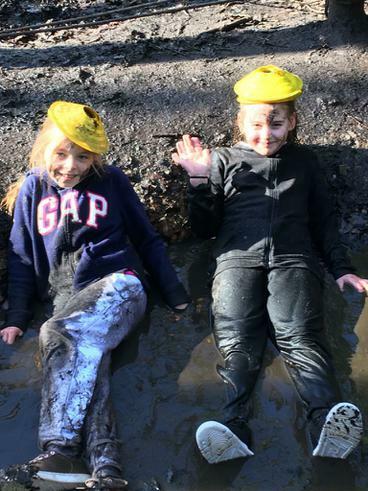 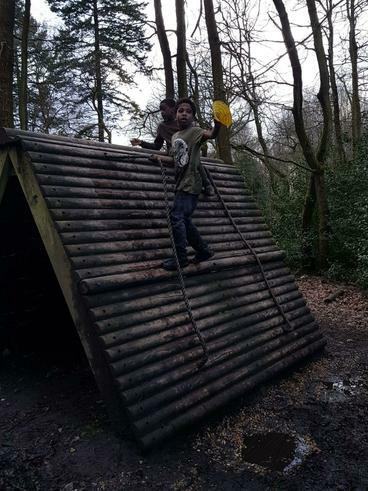 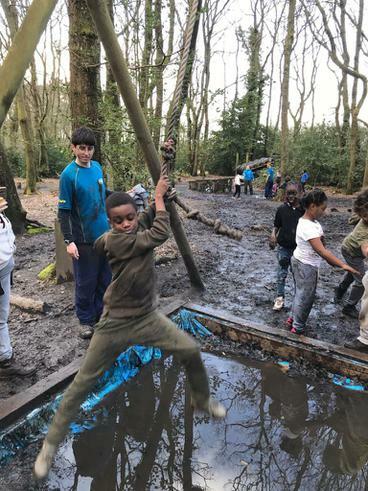 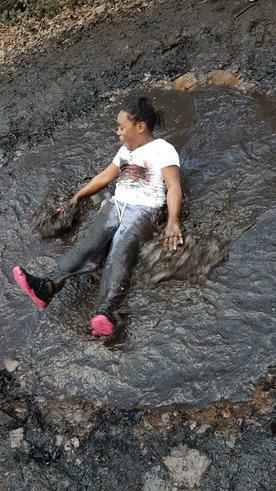 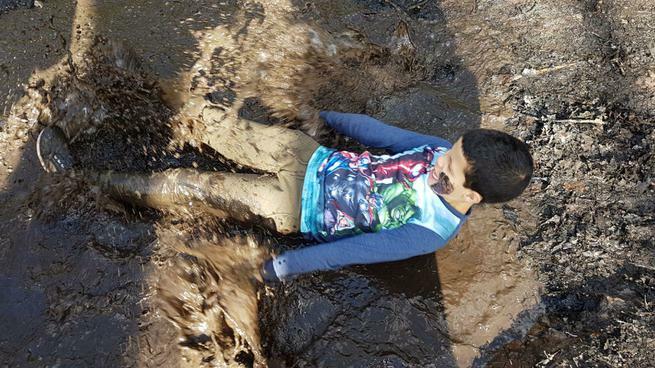 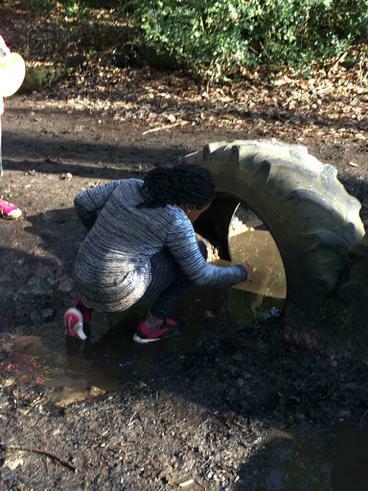 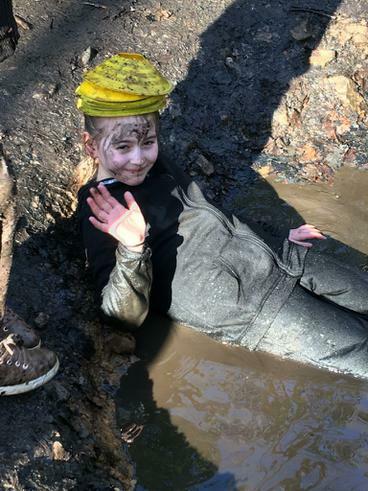 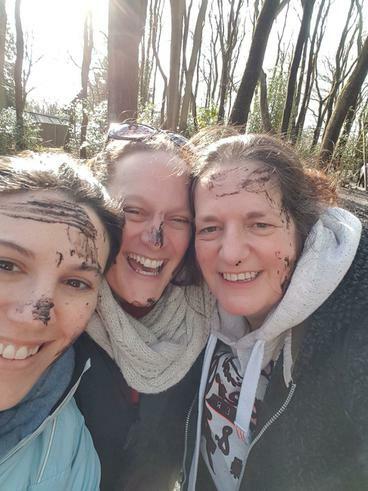 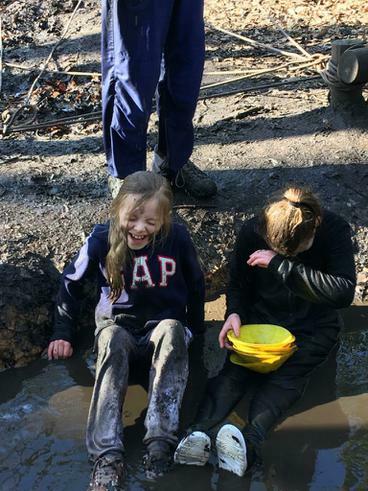 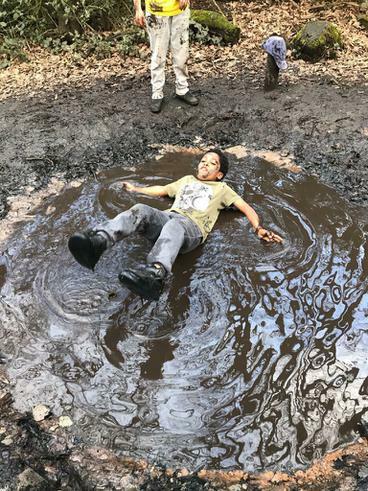 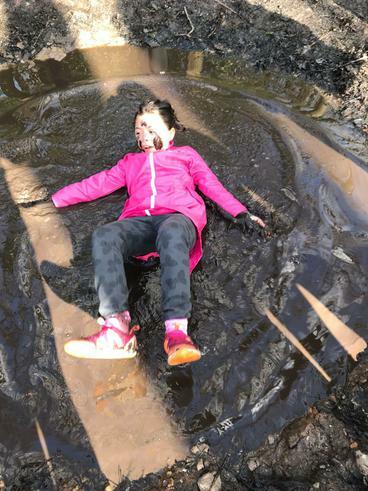 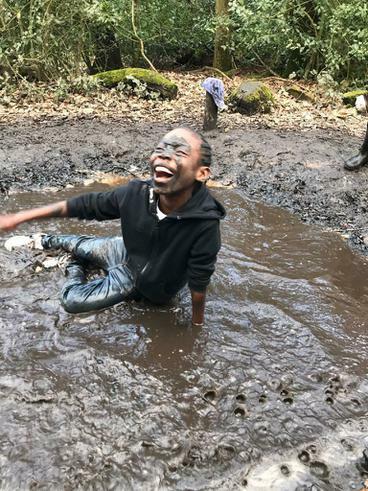 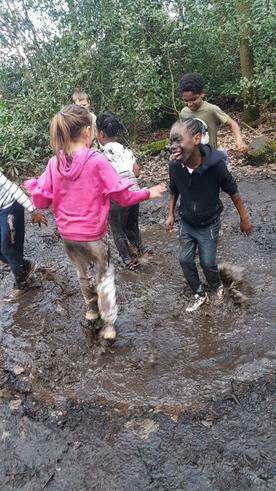 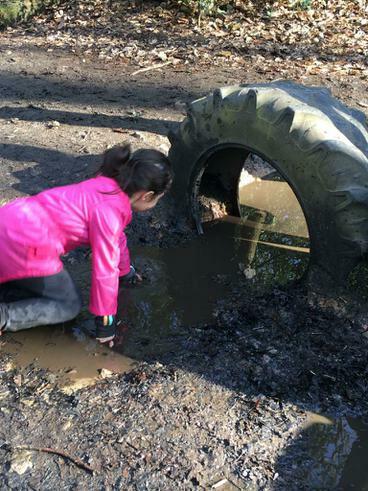 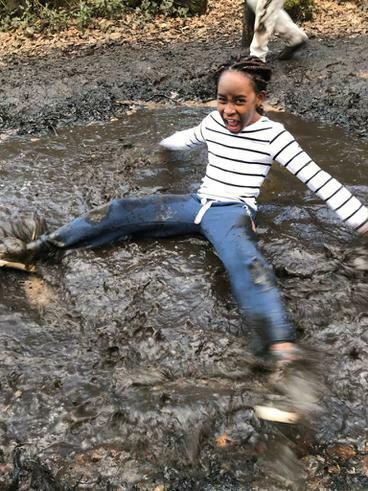 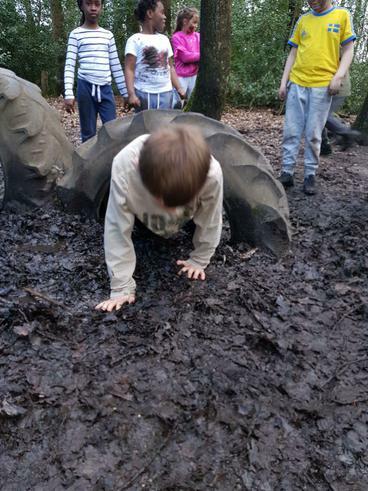 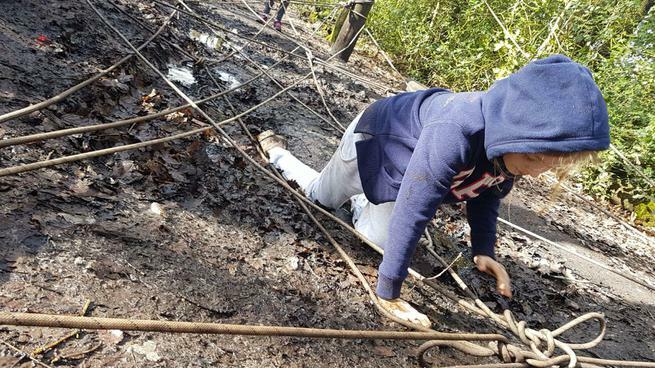 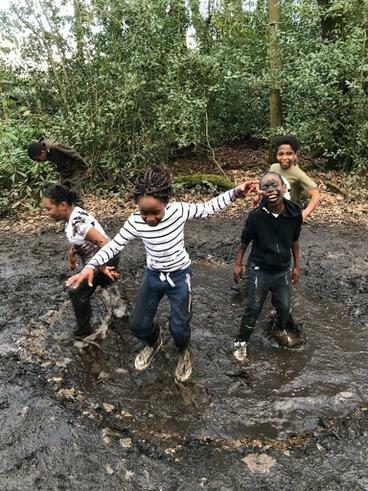 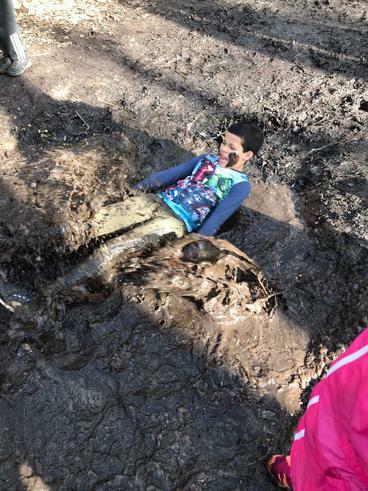 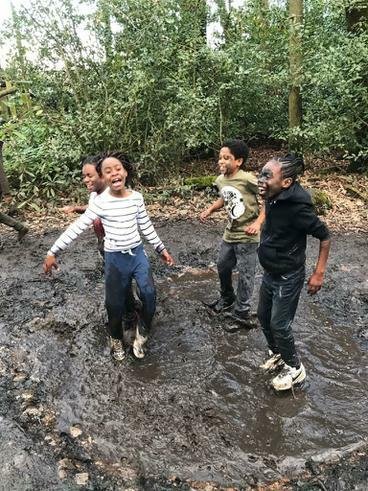 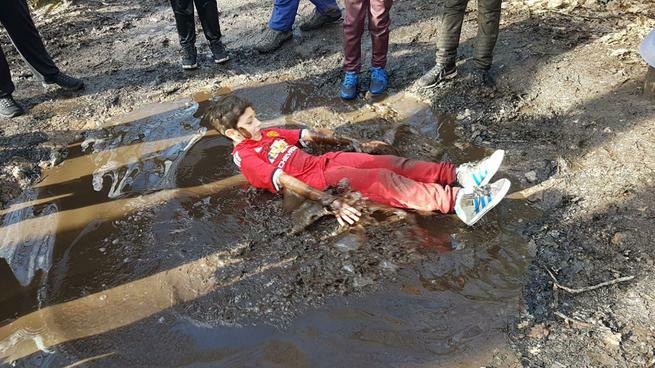 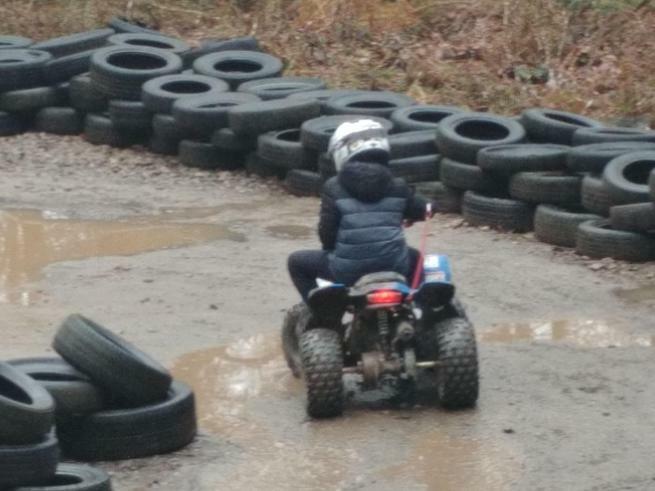 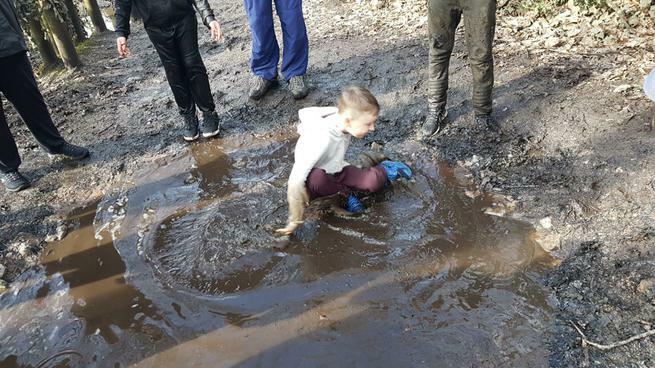 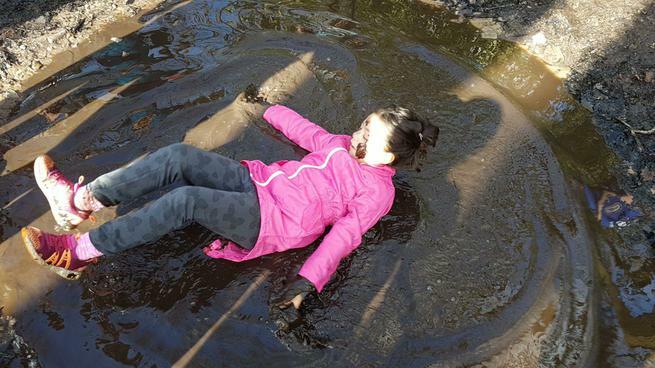 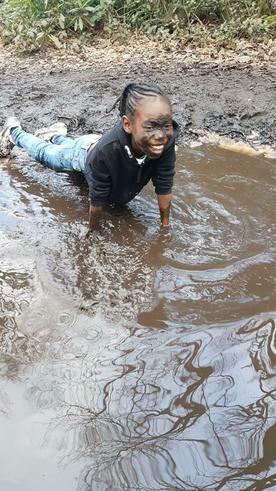 They crawled through tunnels, climbed over walls, splashed in puddles and swung across muddy pits, it was like something out of an action film! 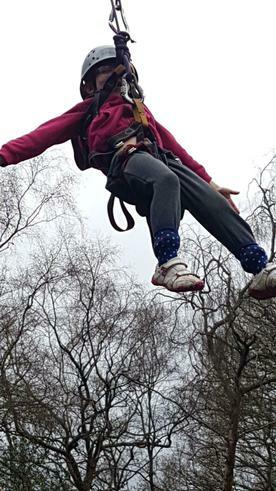 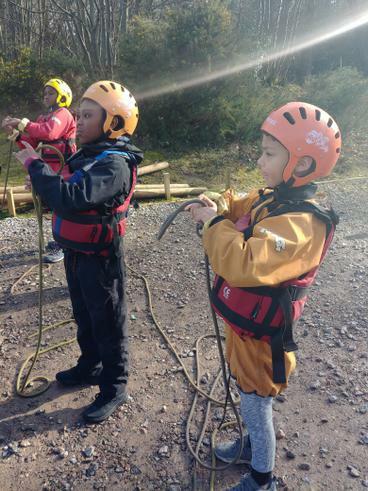 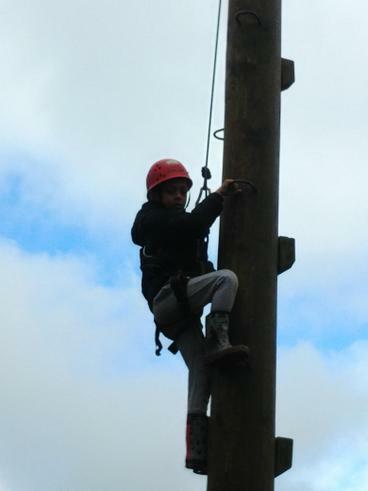 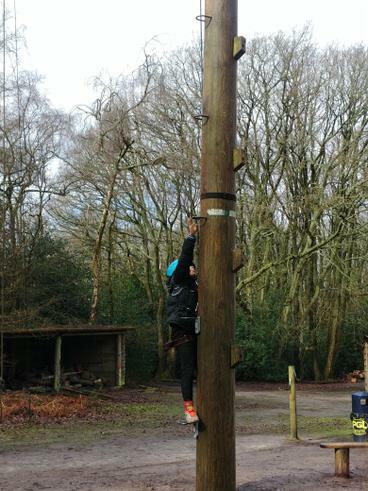 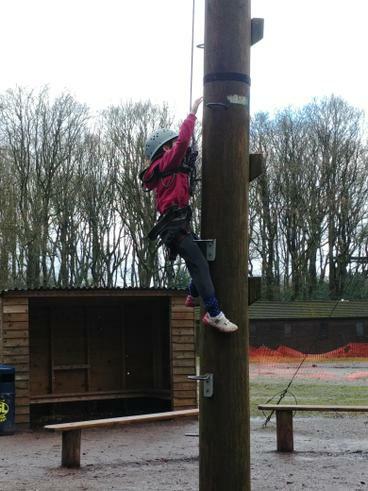 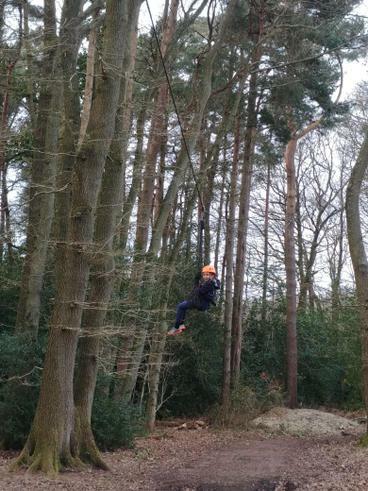 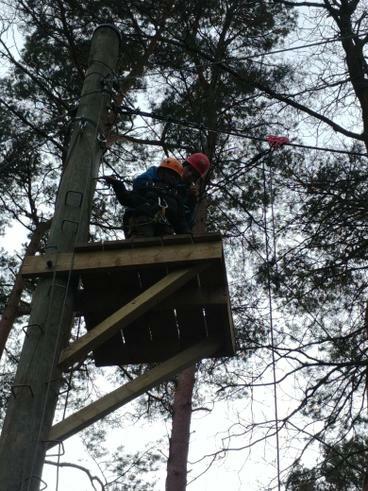 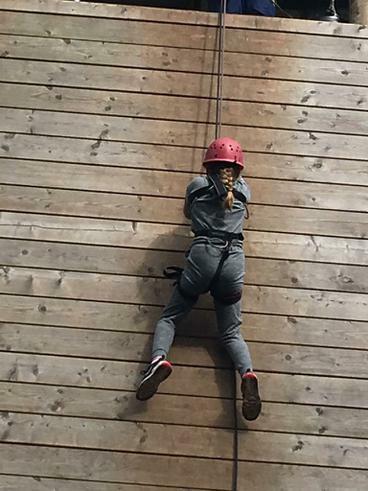 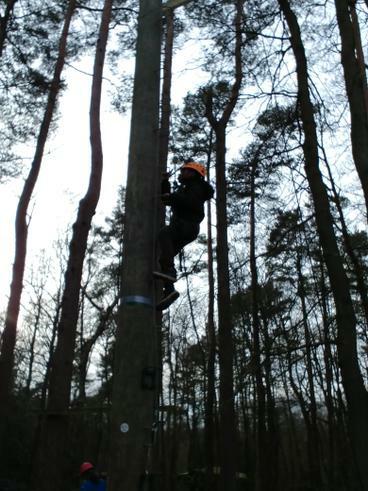 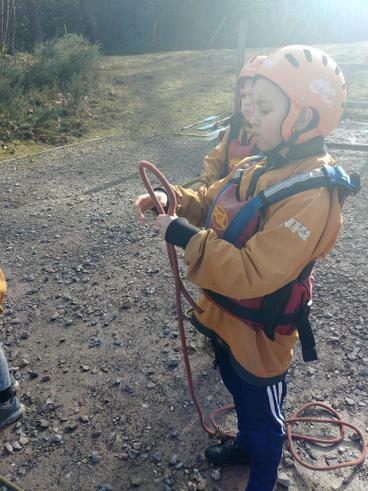 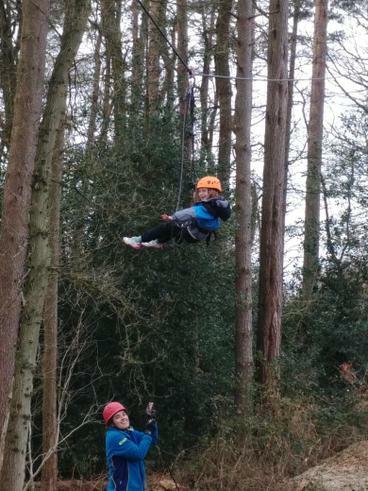 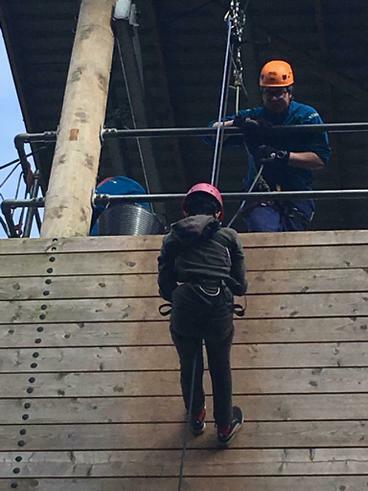 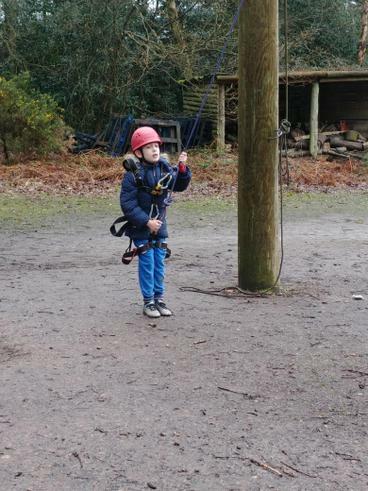 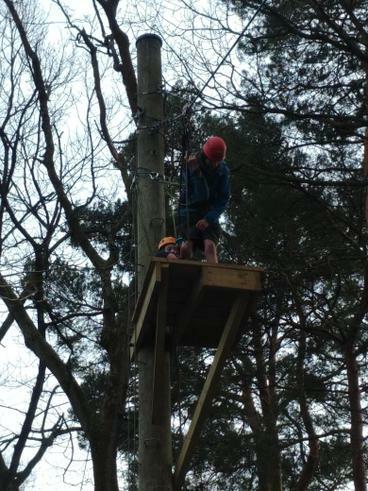 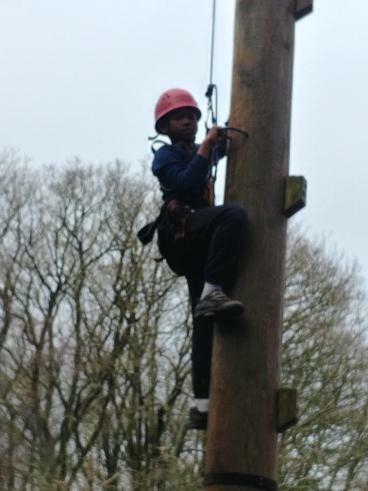 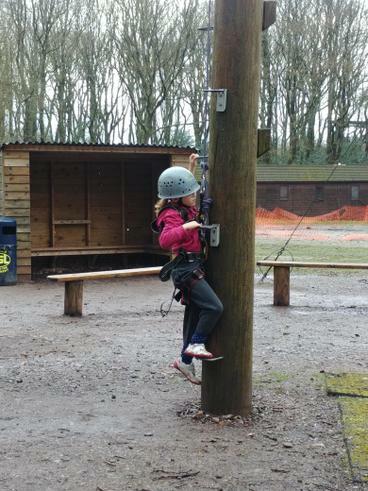 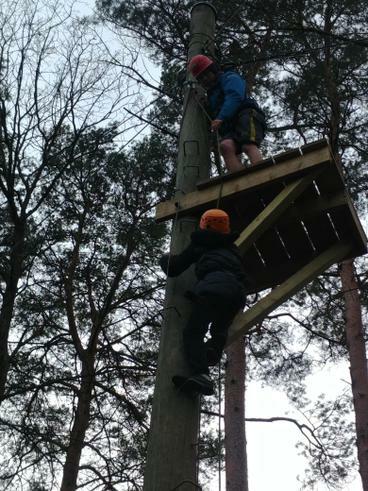 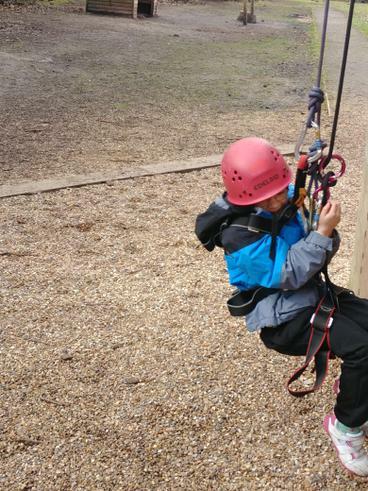 The children also participated in giant swing, Jacob's ladder, survivor, trapeze and abseiling! 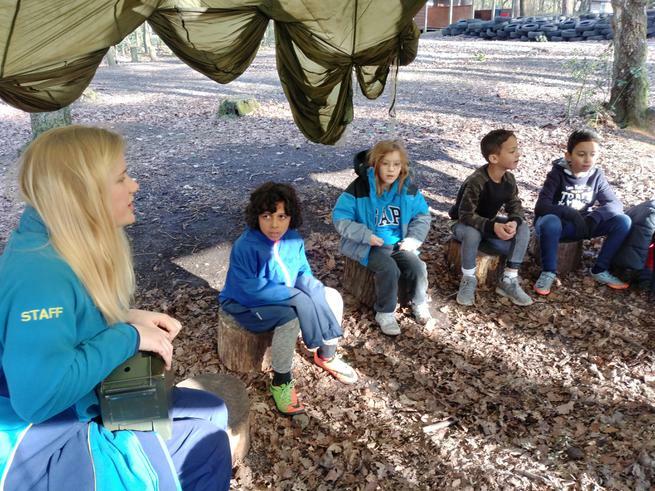 If that wasn't exciting enough we had a special visit from Mrs Thompson and Miss Patterson! 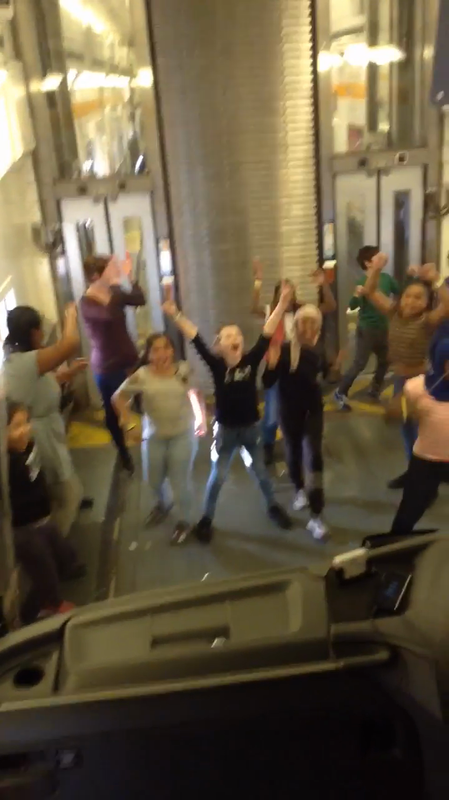 We finishes the night off with a boogie to candy and Macarena with Miss Bates, Pedro and Tina leading the dance. 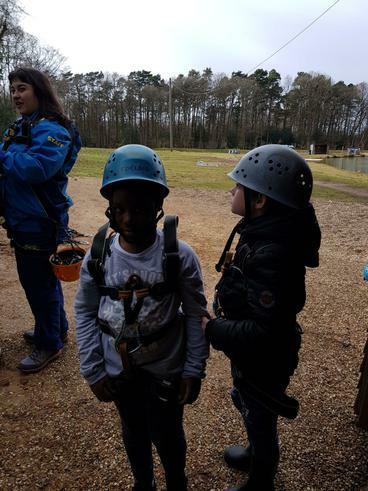 Day 3 has been a day of conquering our fears, the children have really pushed themselves and supported each other throughout the day. 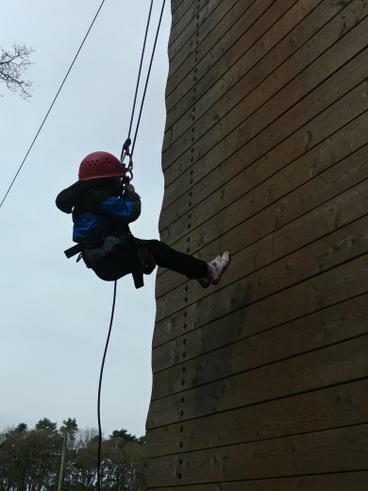 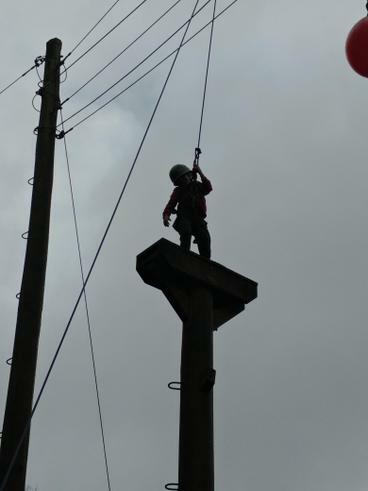 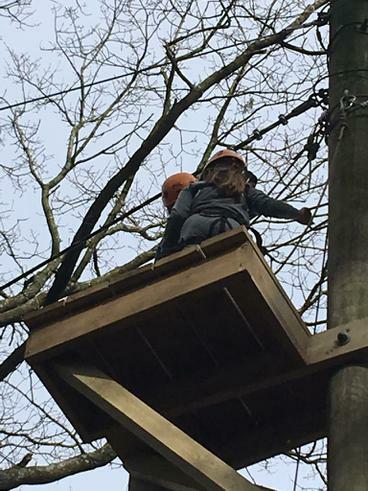 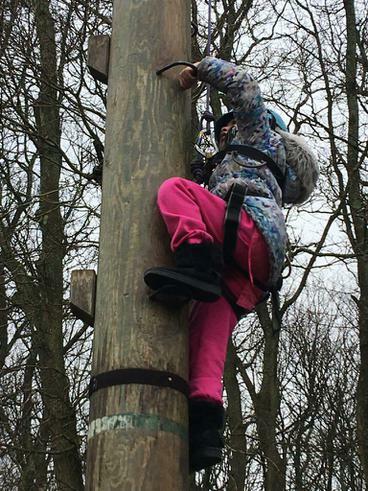 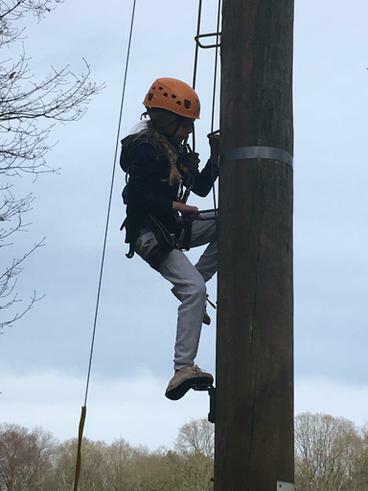 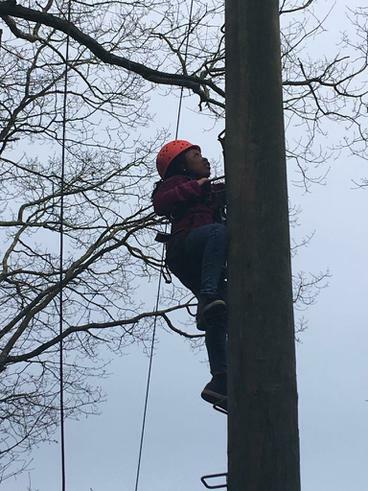 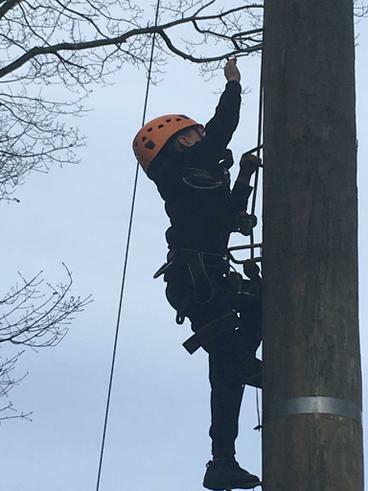 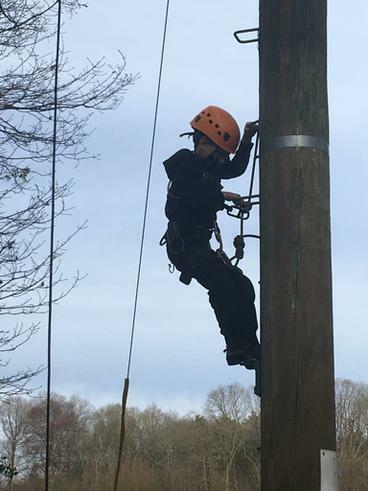 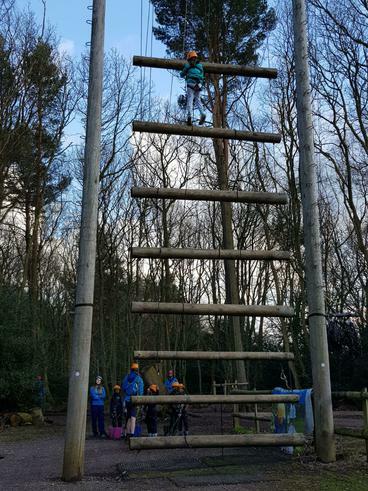 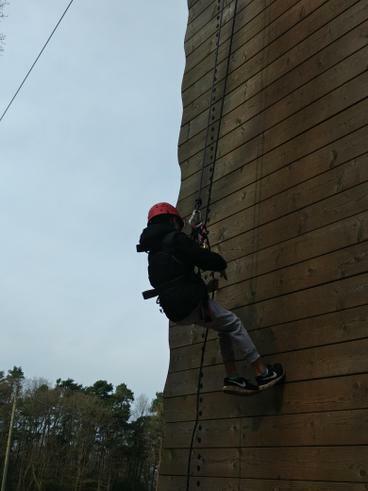 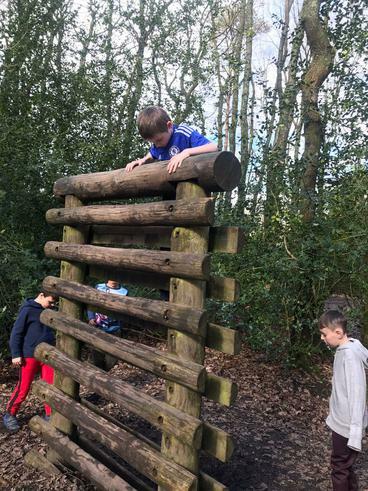 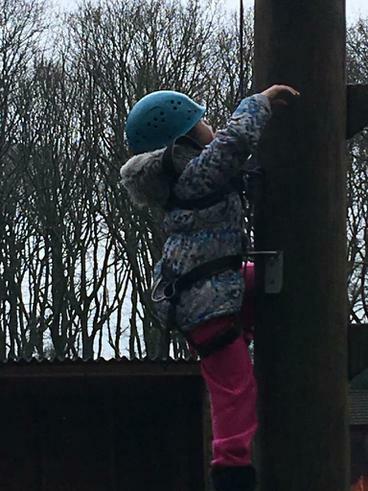 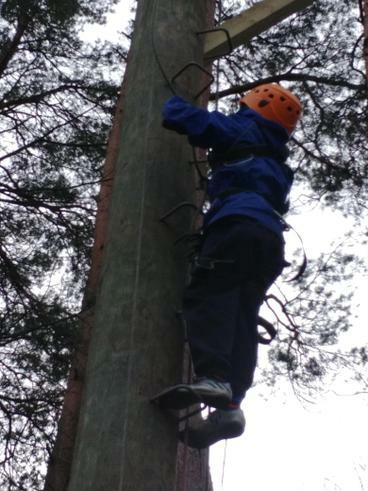 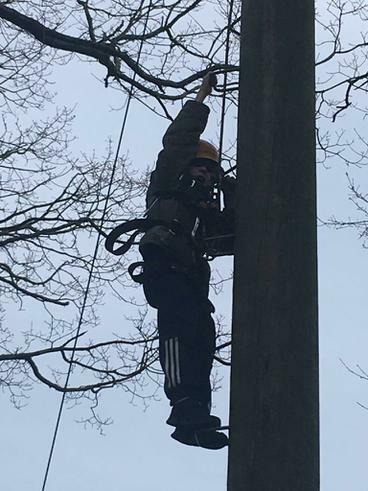 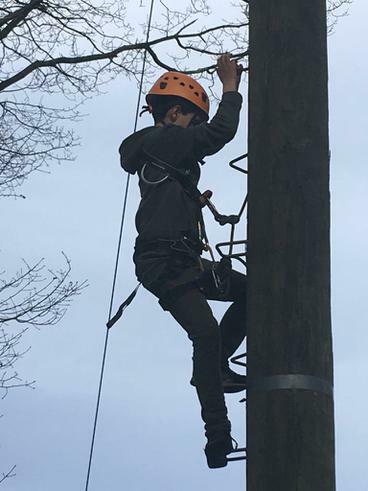 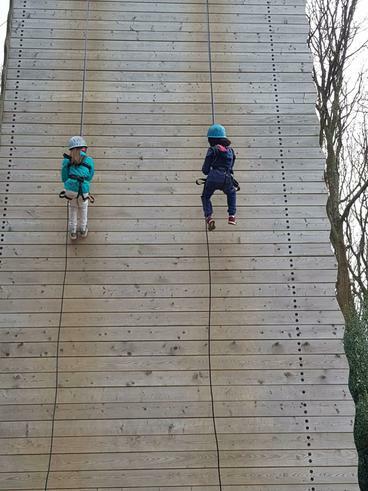 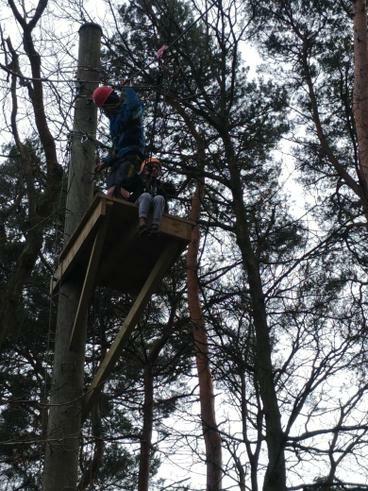 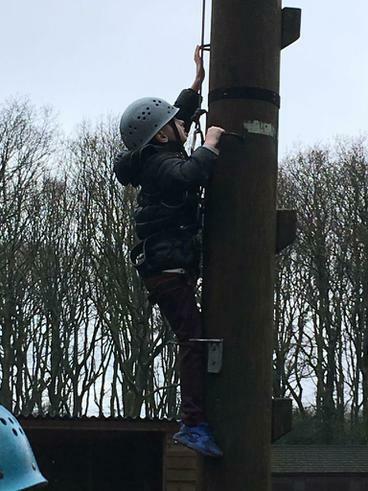 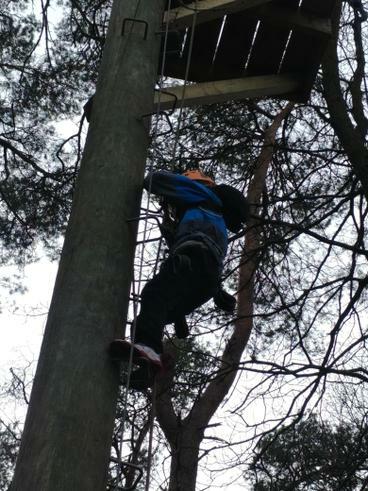 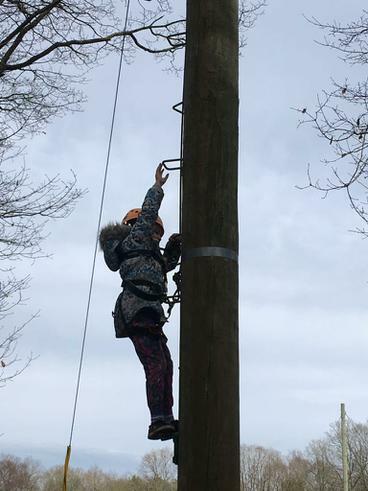 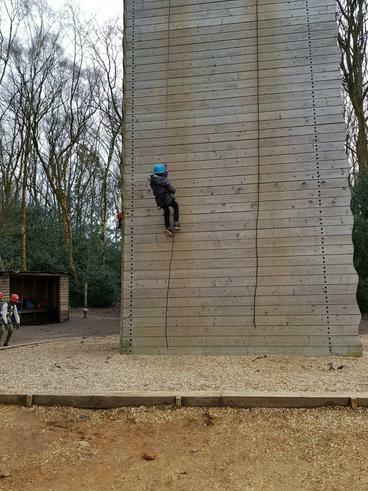 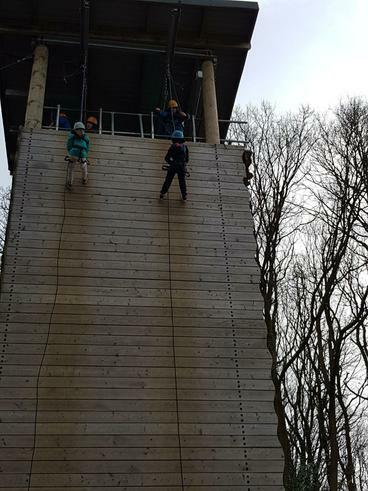 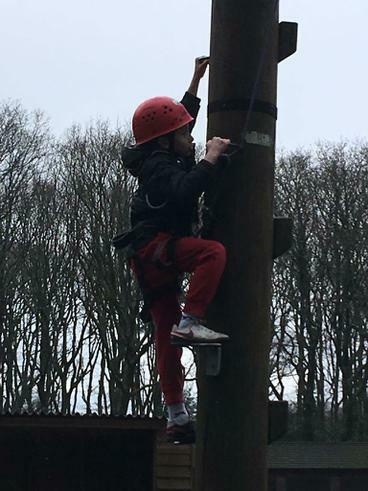 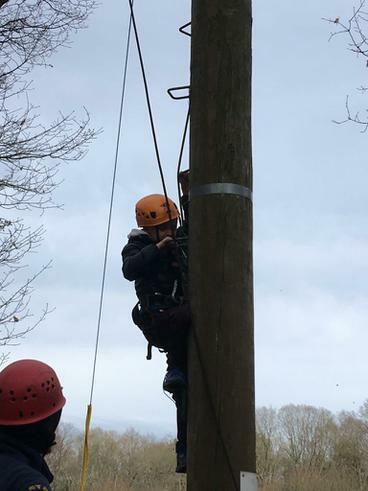 They have had to climb very tall heights that even some of the adults had to think twice about, so a very brave effort from all of our children today. 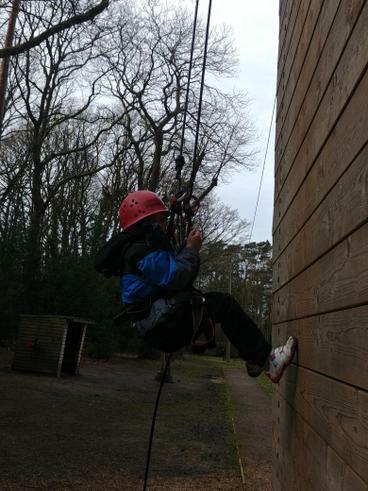 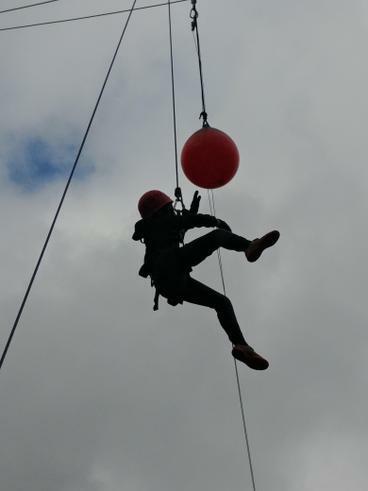 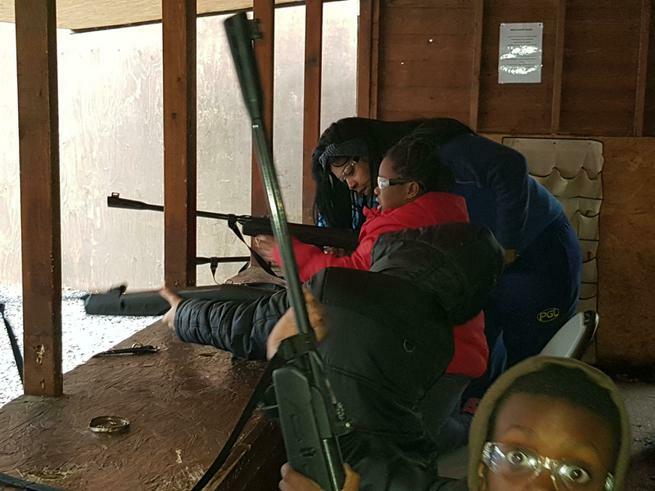 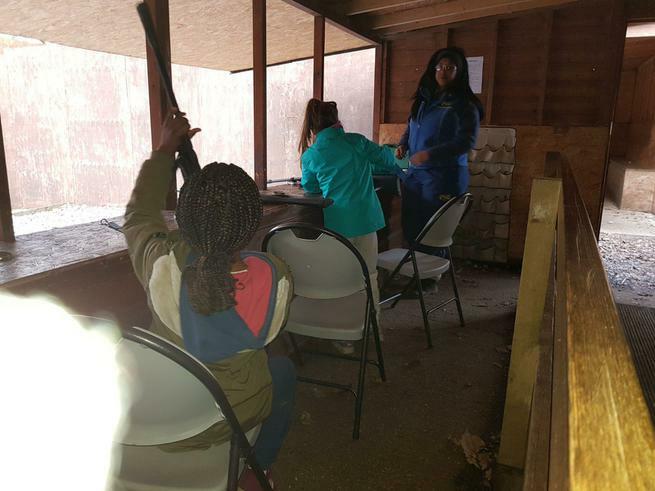 Some of the activities today included zip wire, abseiling, problem solving and even rifle shooting! 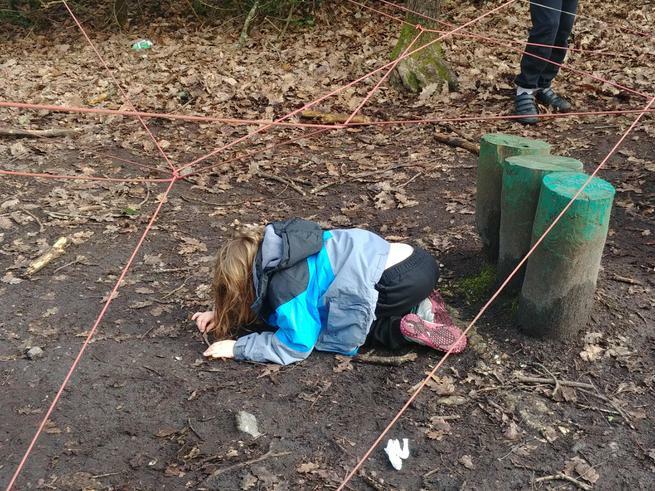 We are going to finish the night off with ambush which is a little bit like hide and seek but in the woods at night! 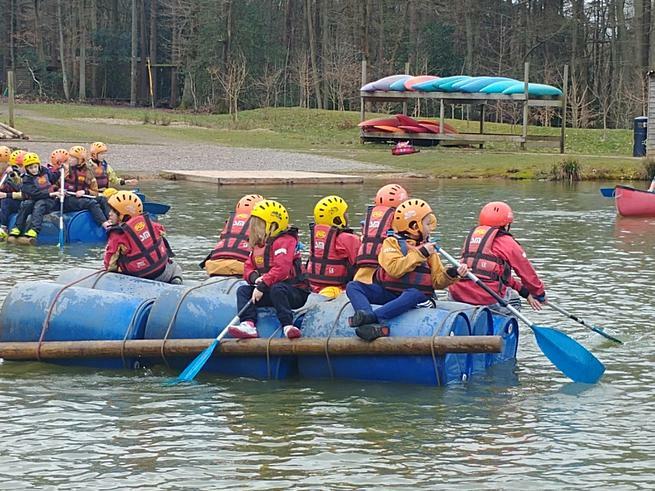 Day 2 has started with a 'SPLASH'! 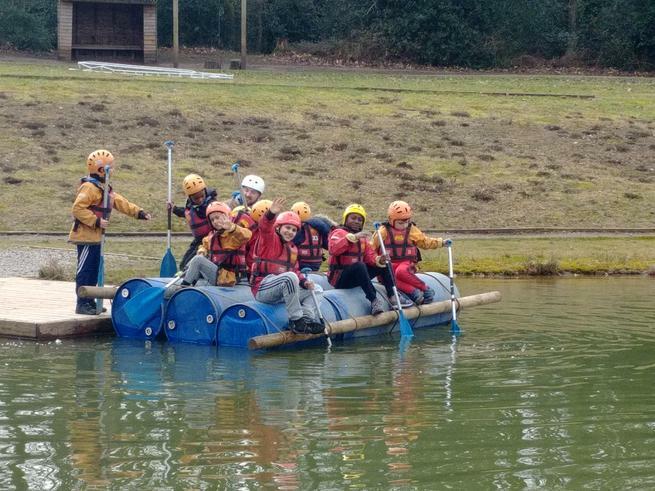 The children built their very own rafts and even got to test them in the water. 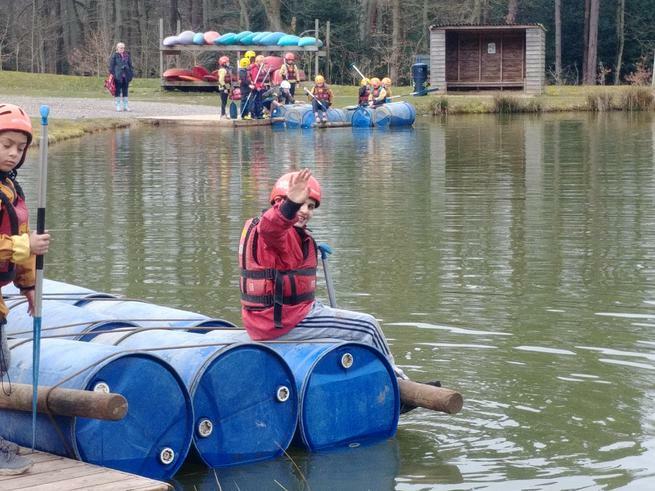 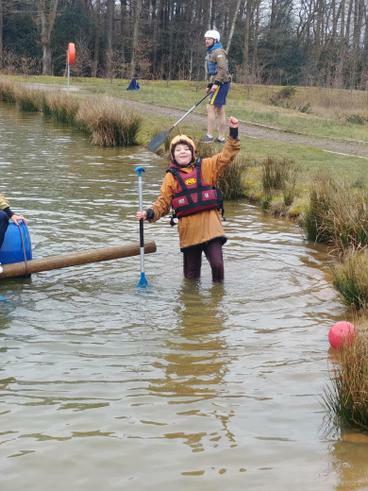 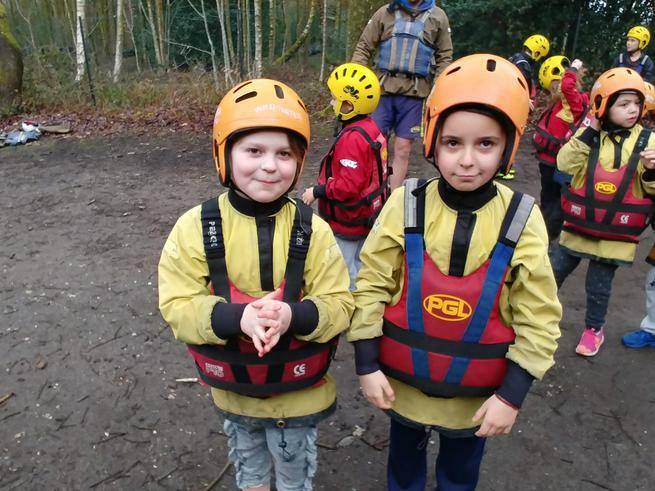 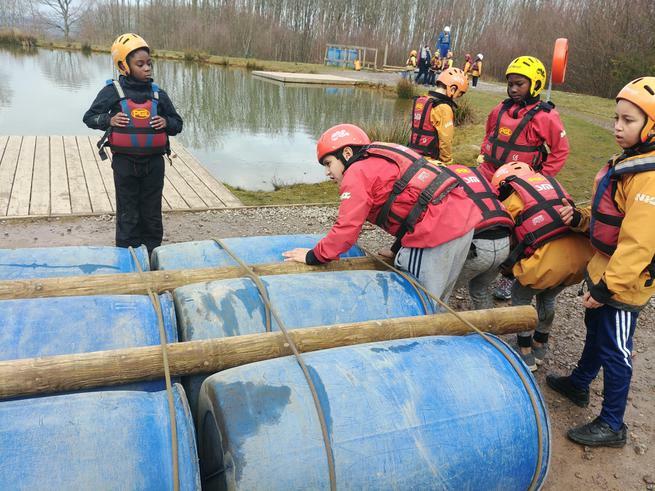 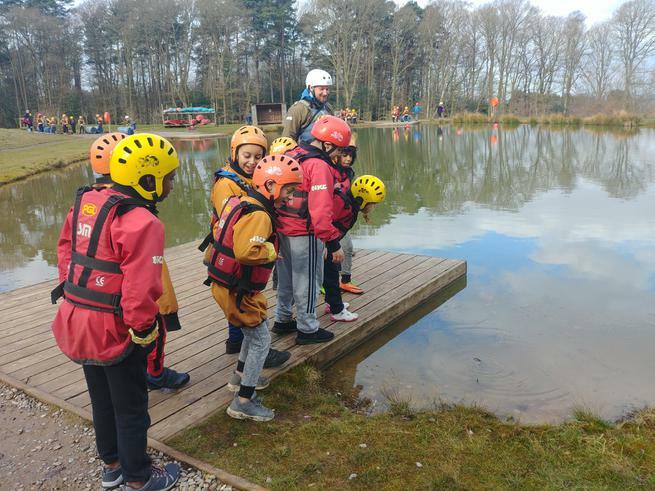 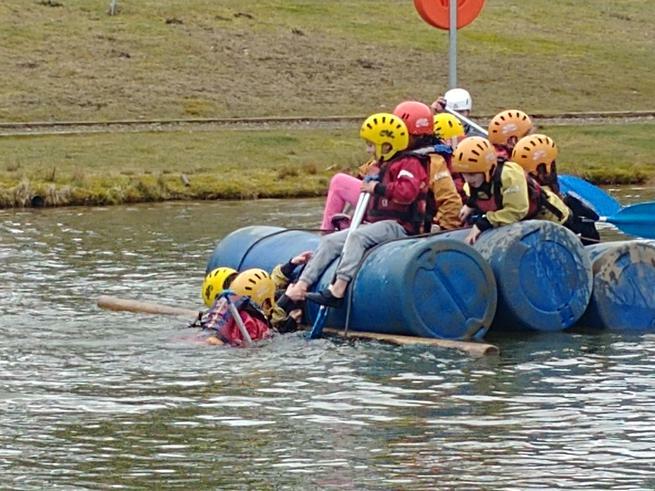 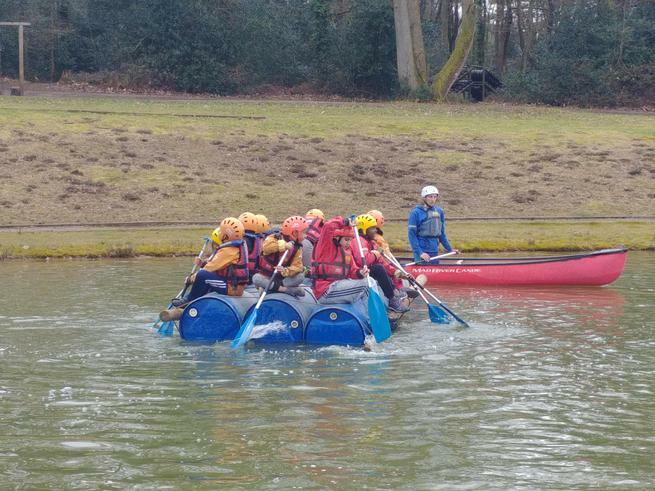 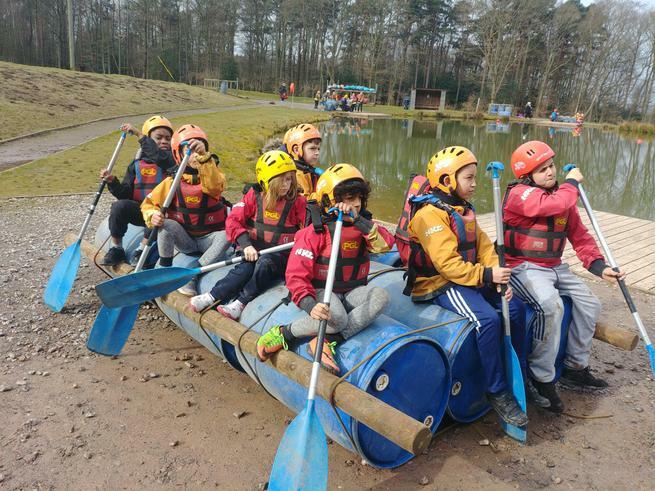 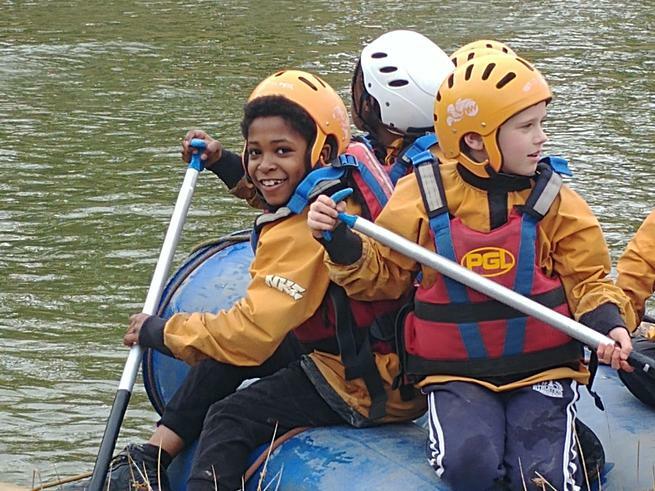 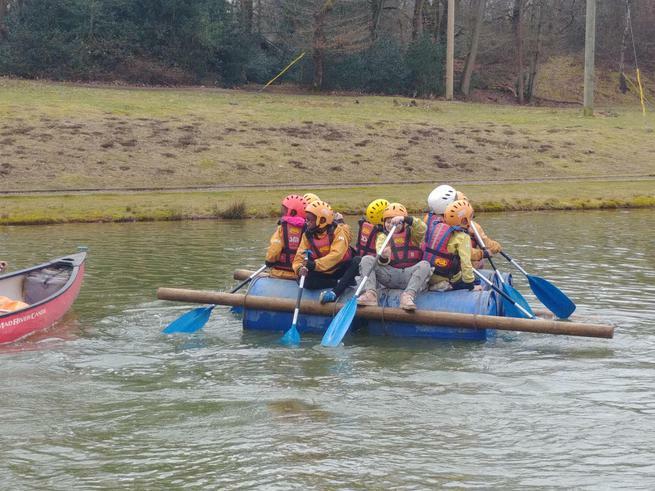 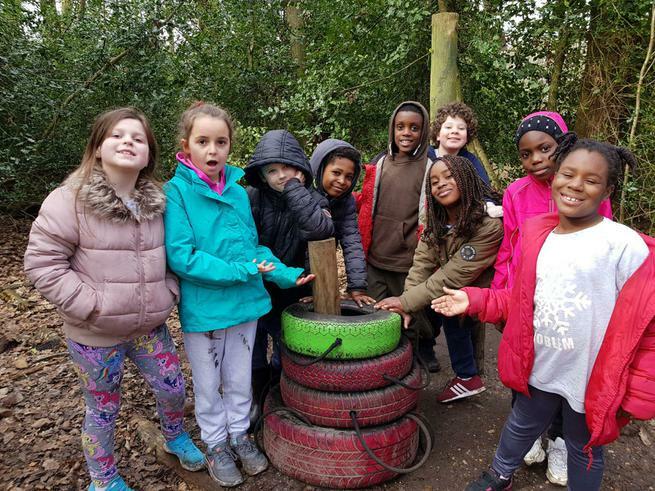 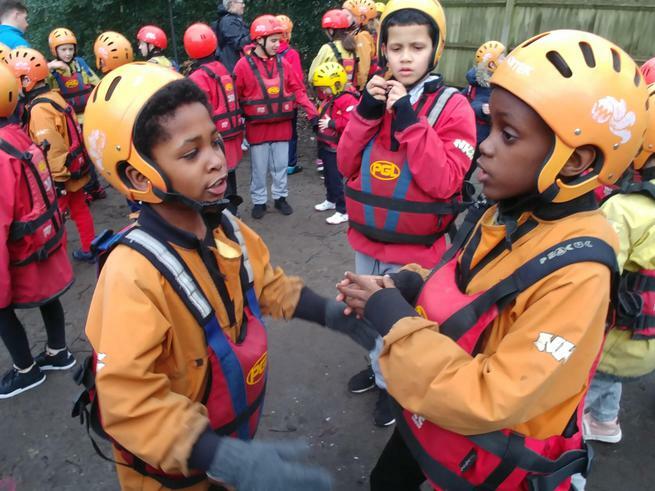 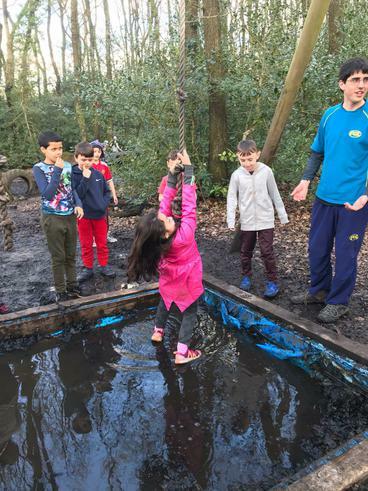 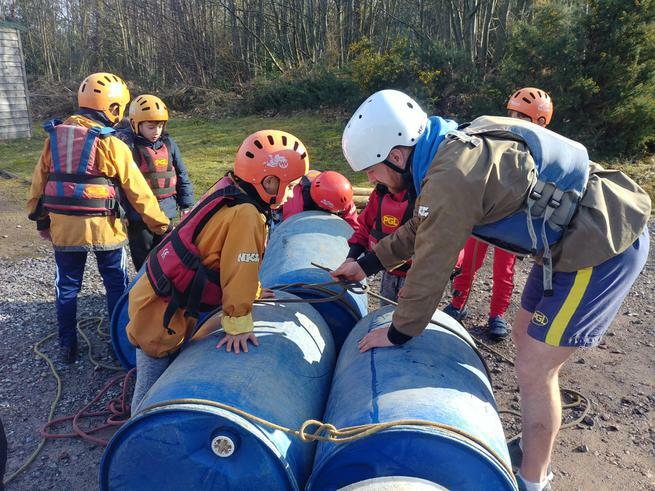 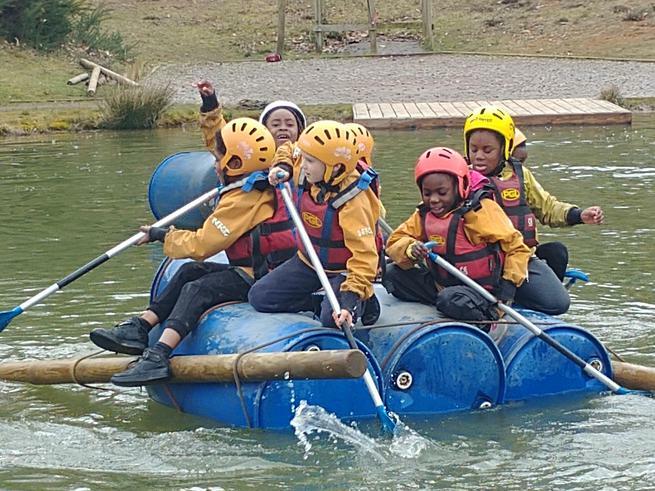 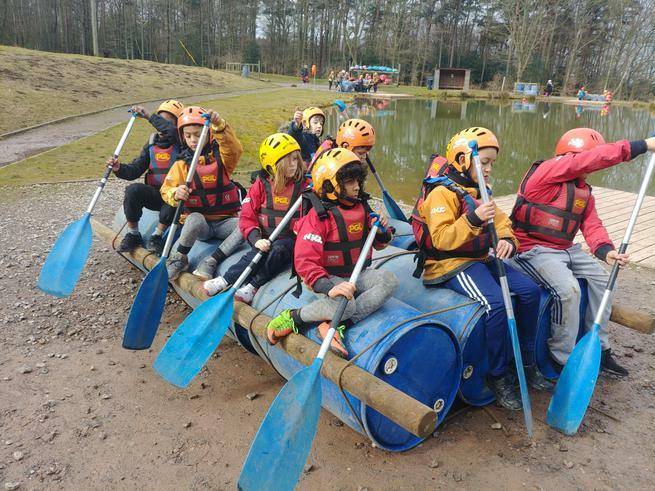 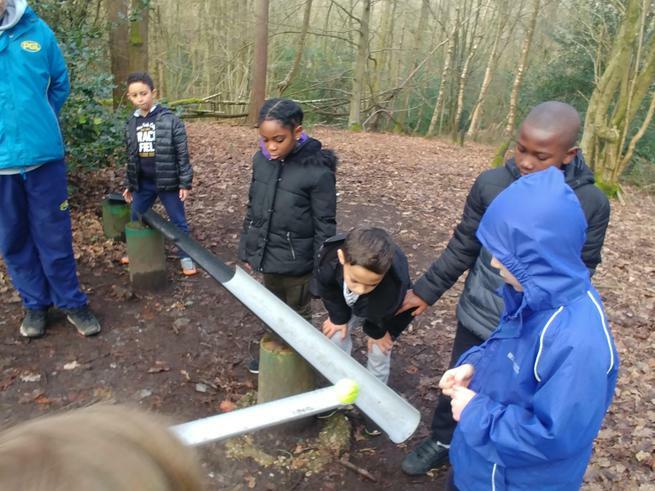 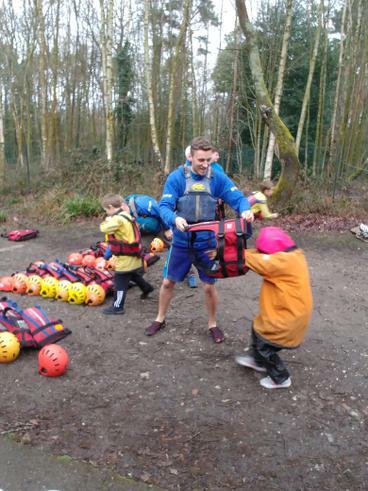 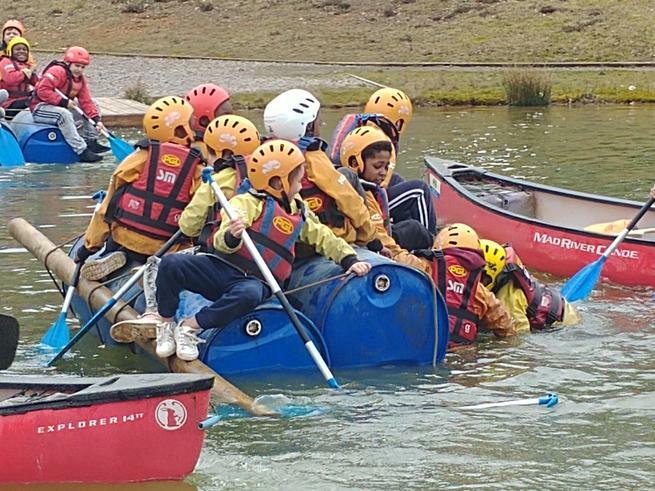 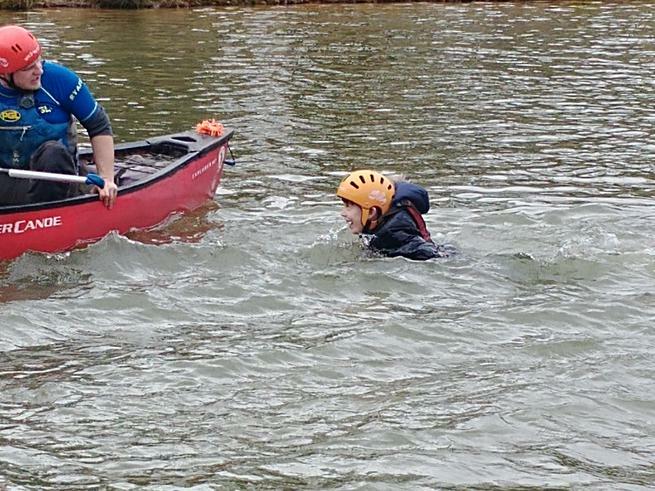 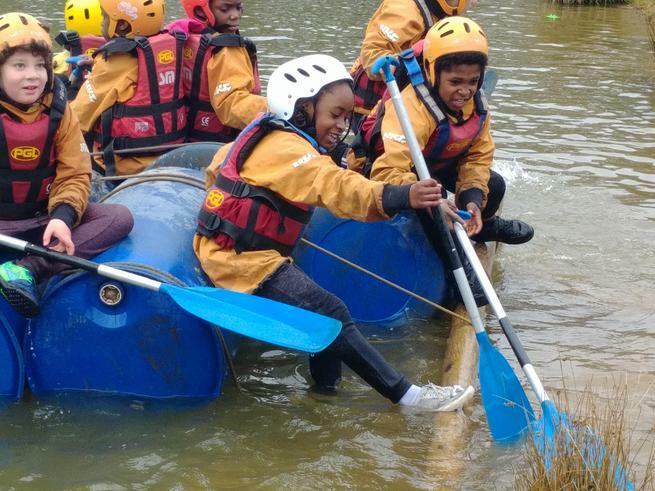 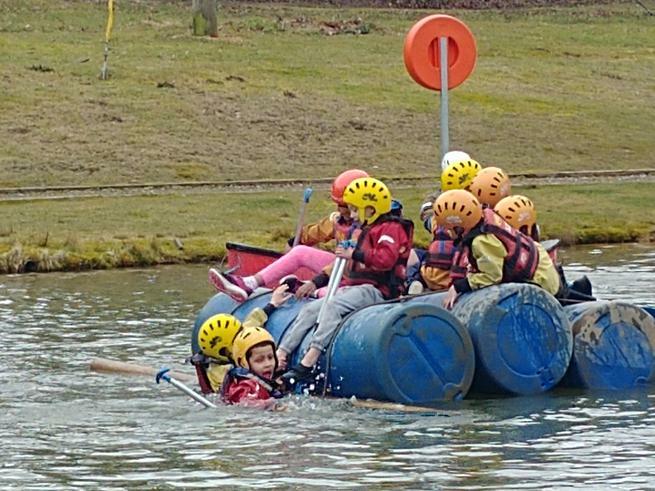 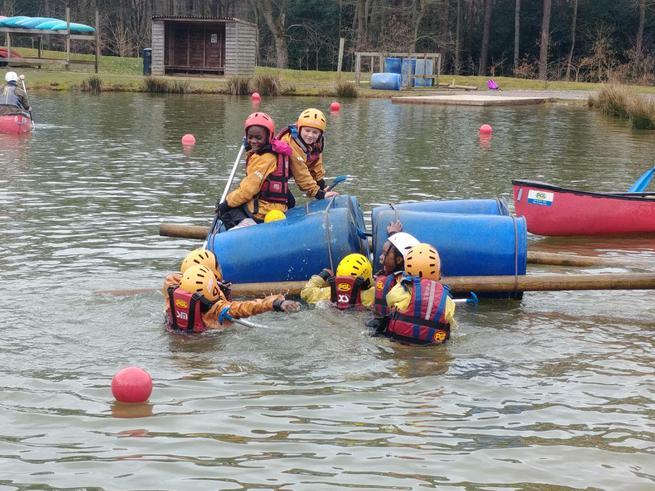 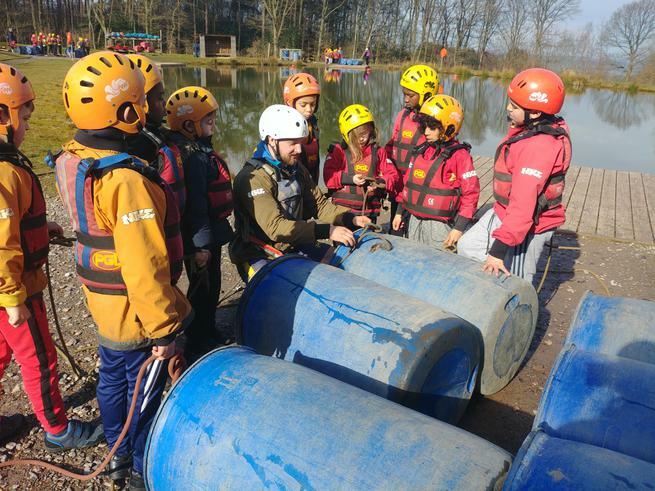 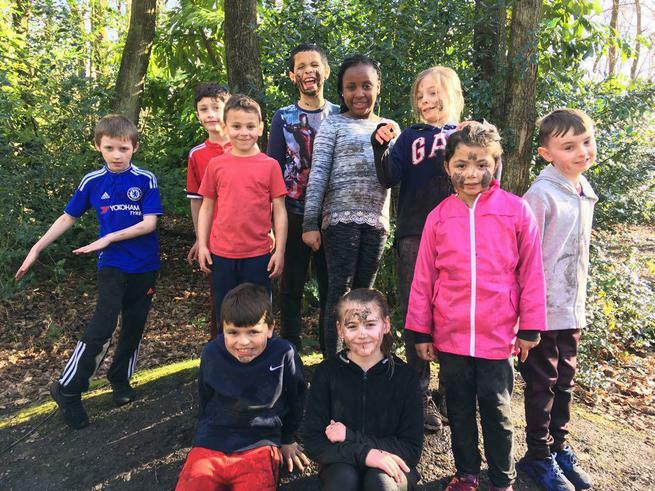 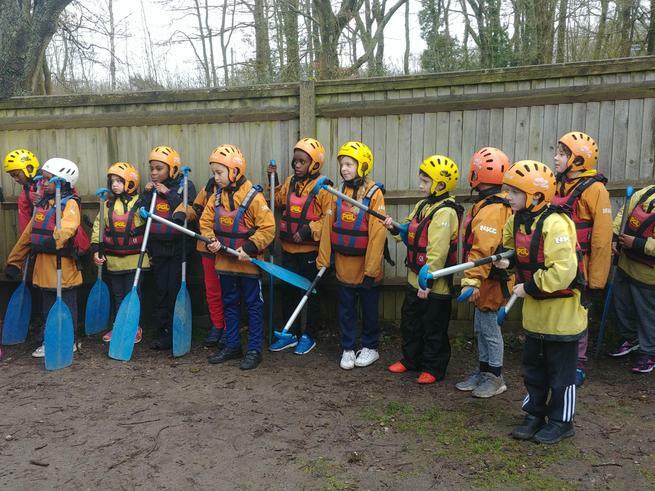 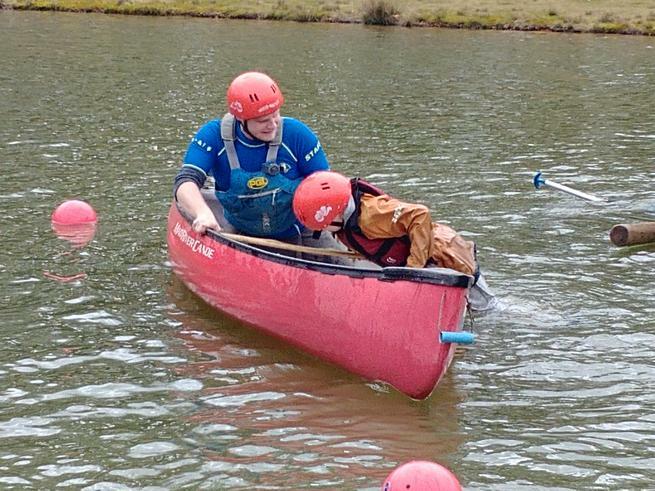 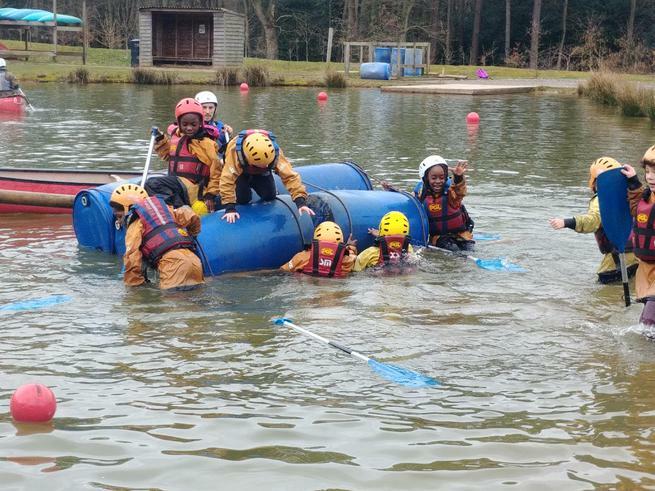 They worked as a team to paddle and reach different targets, it was all going so well until some of the children thought it would be a great idea to turn into frogs and get in the water for a swim! 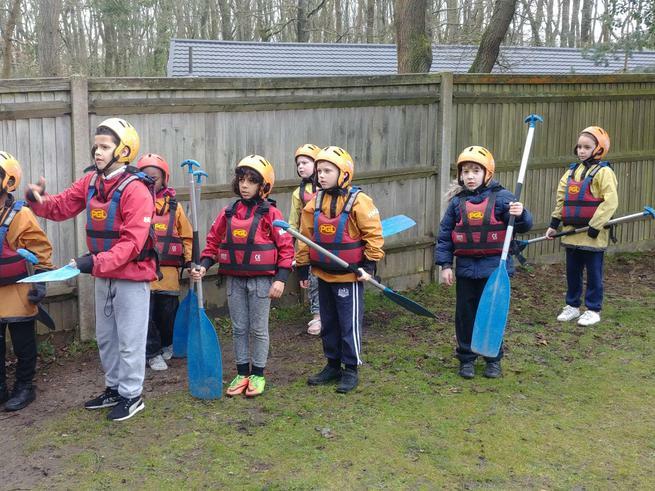 They are all drying off and getting ready for lunch and the afternoon activities. 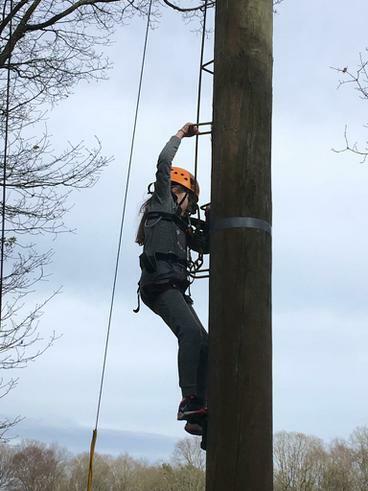 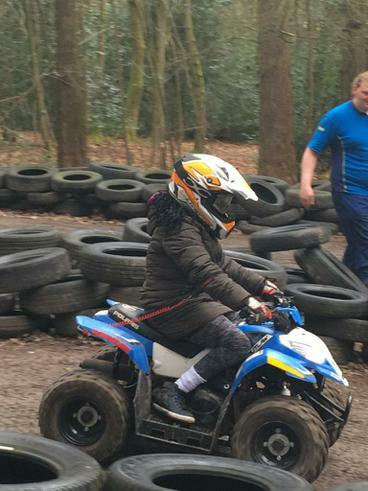 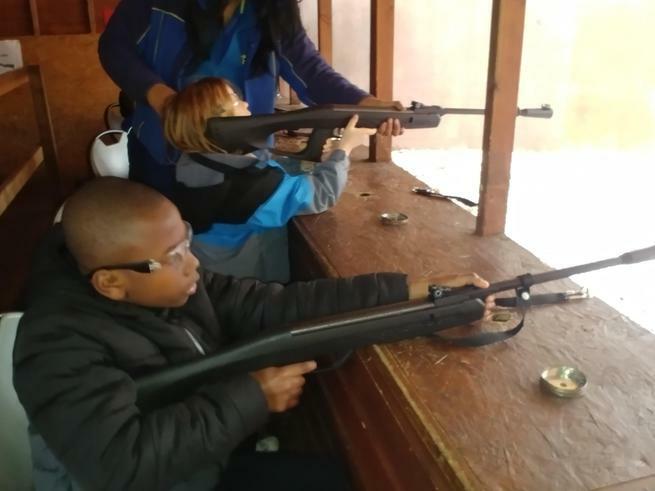 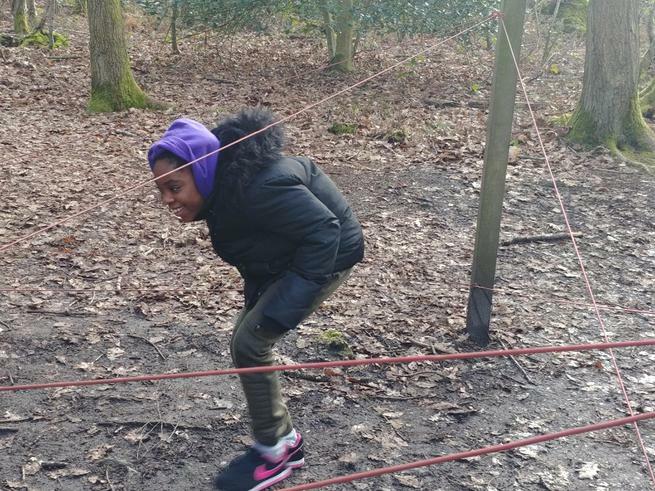 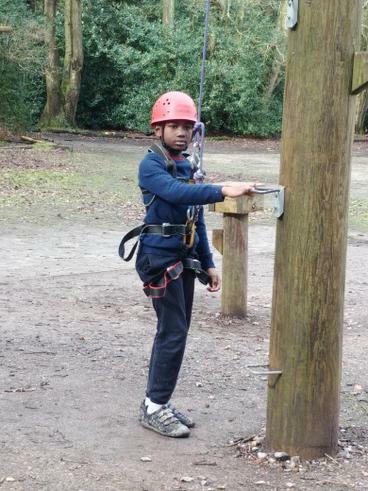 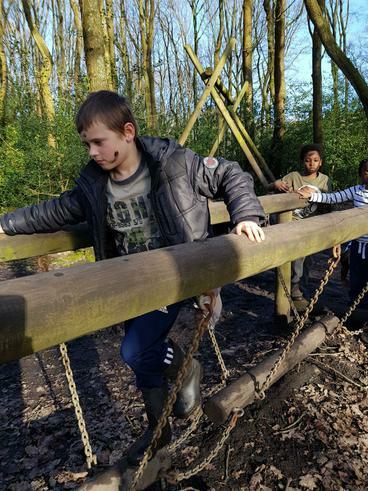 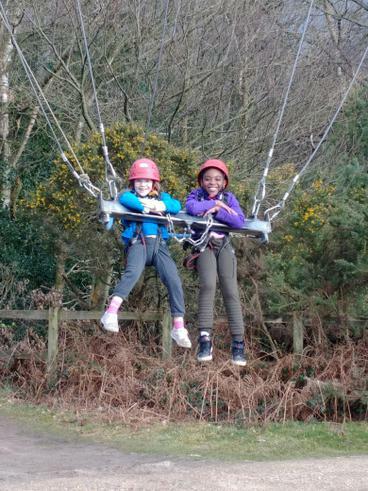 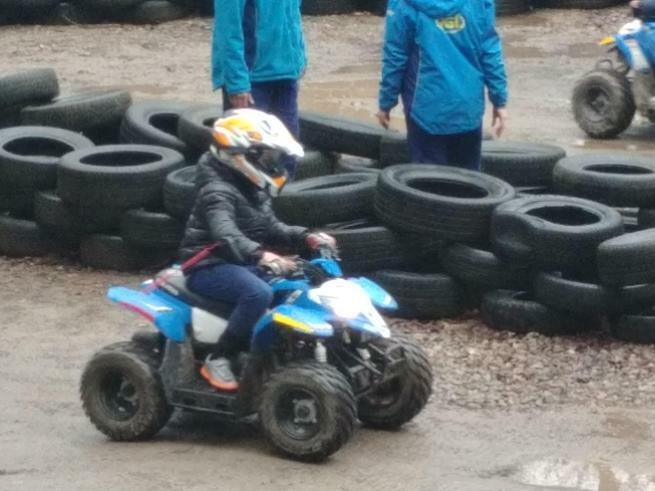 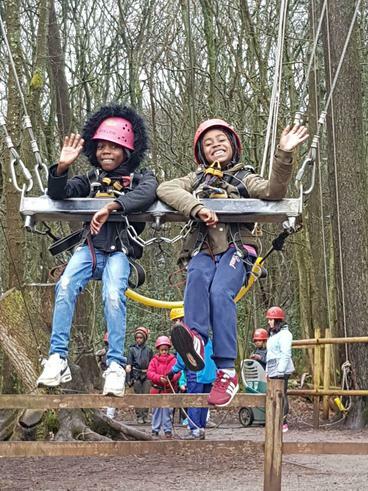 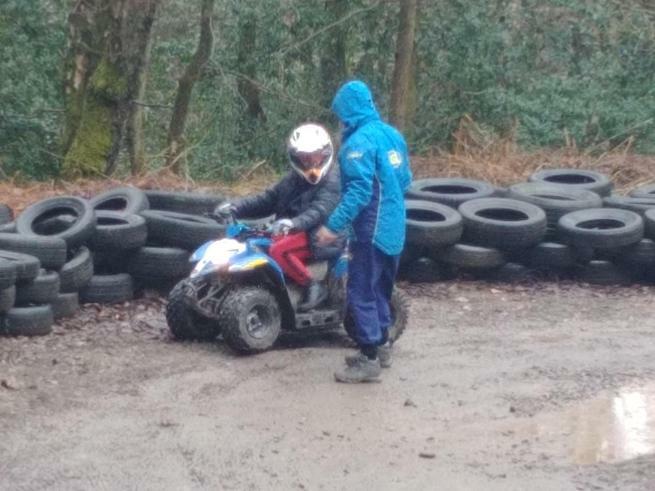 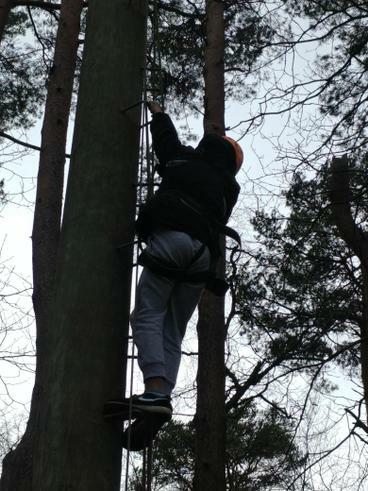 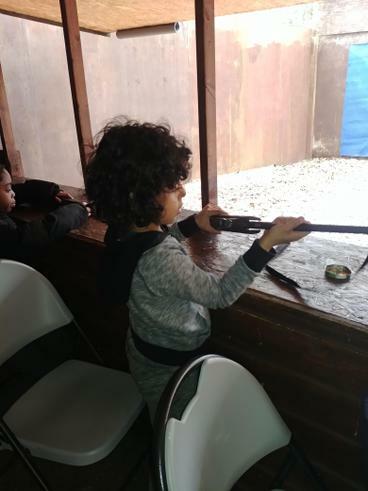 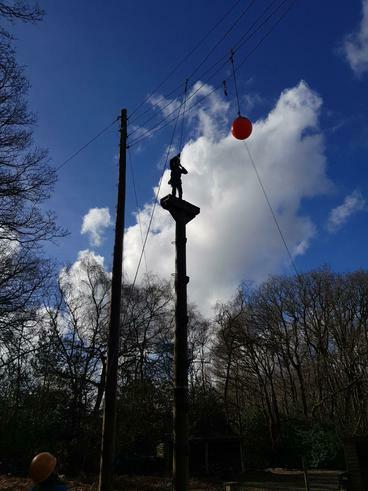 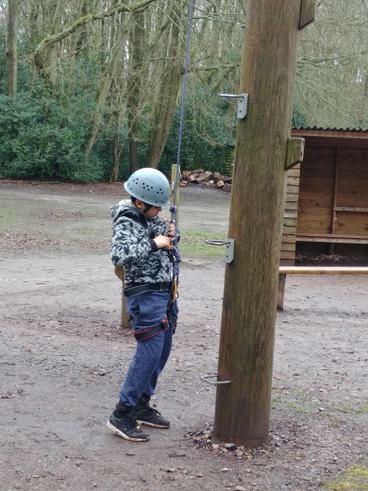 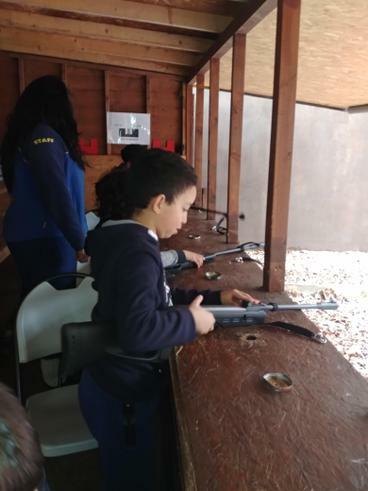 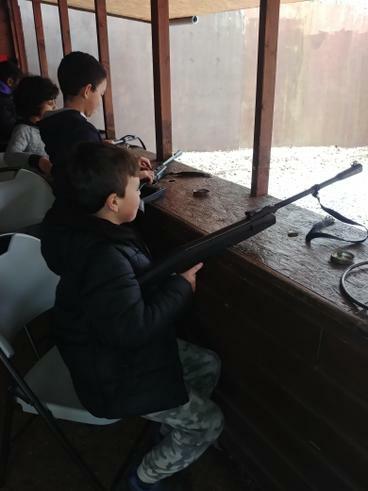 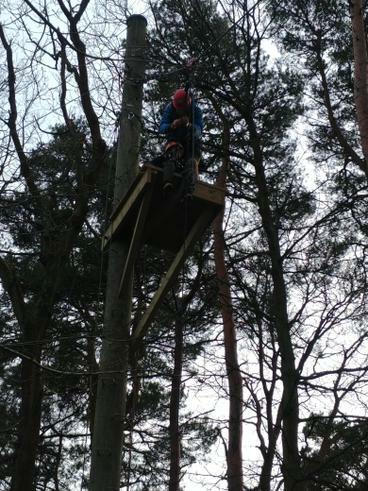 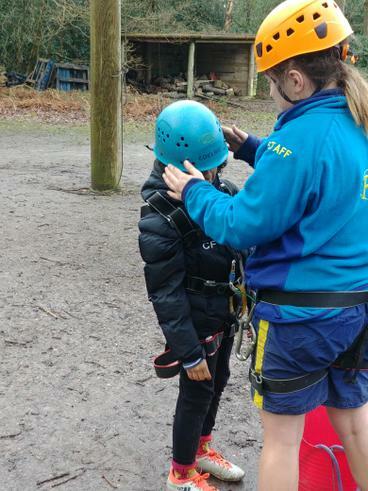 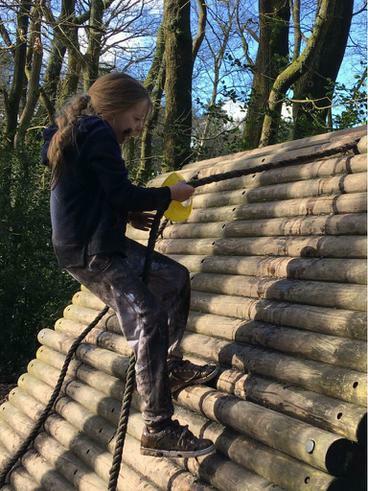 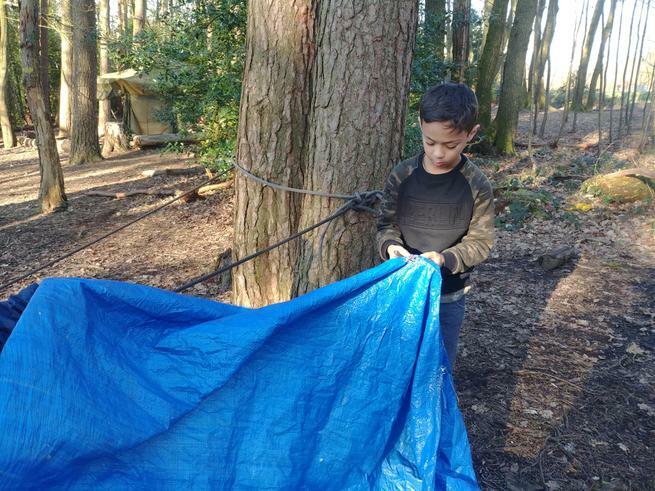 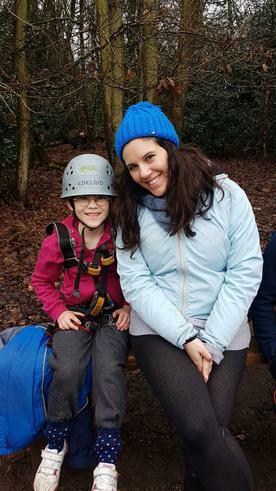 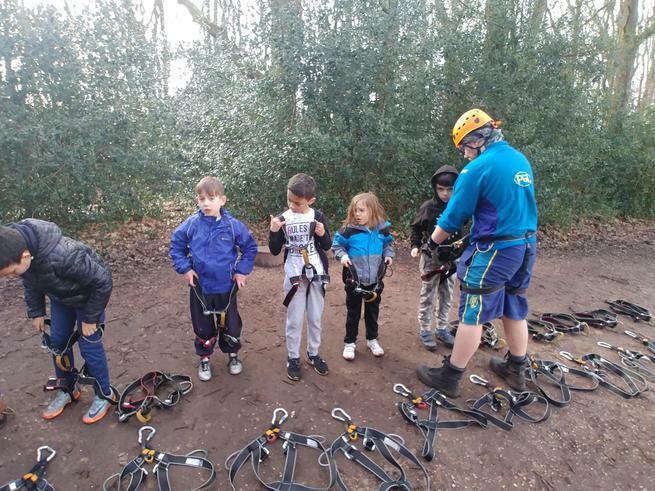 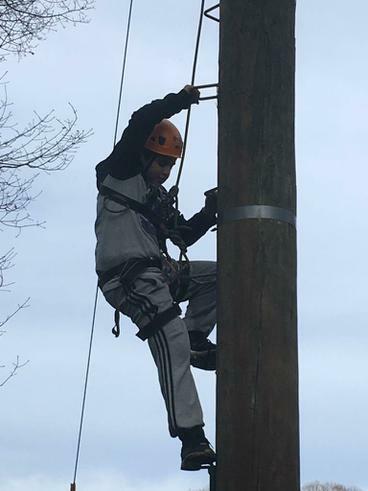 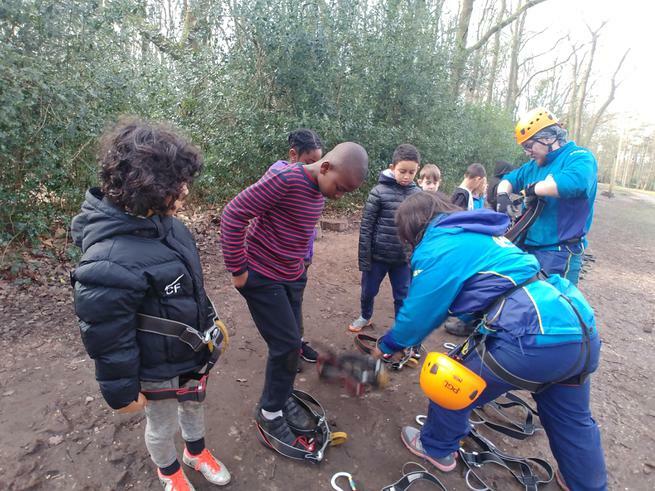 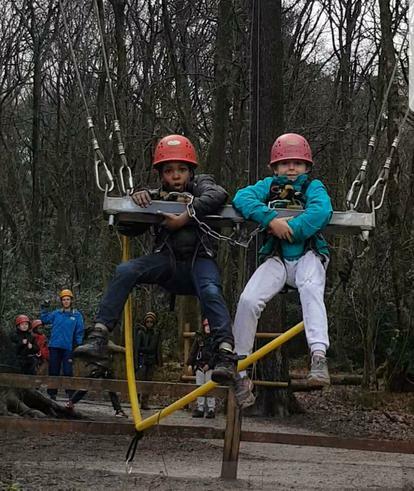 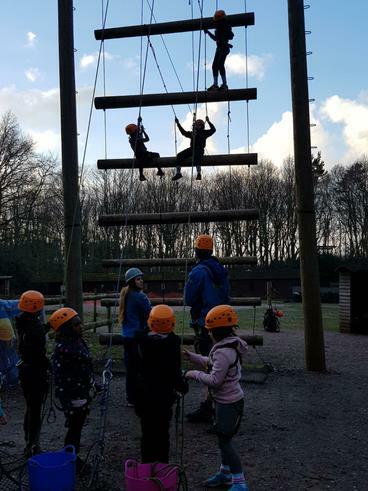 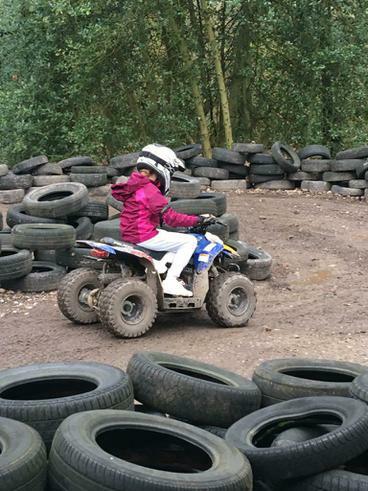 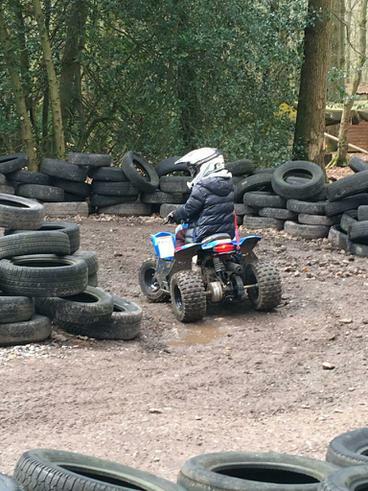 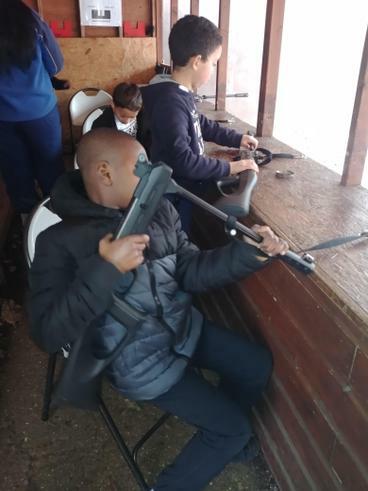 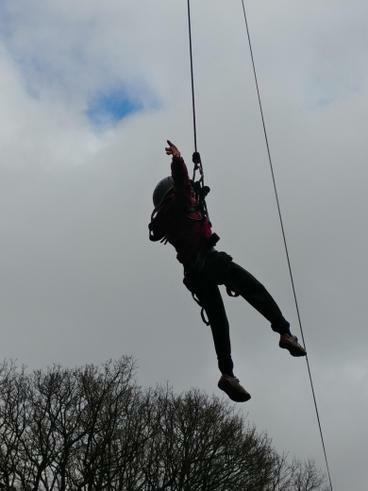 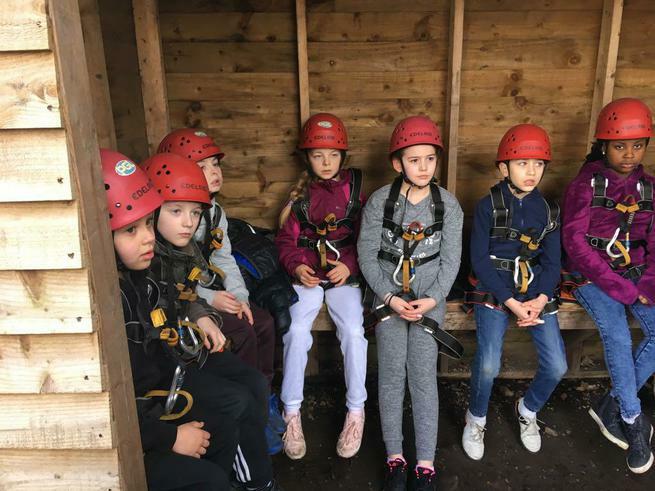 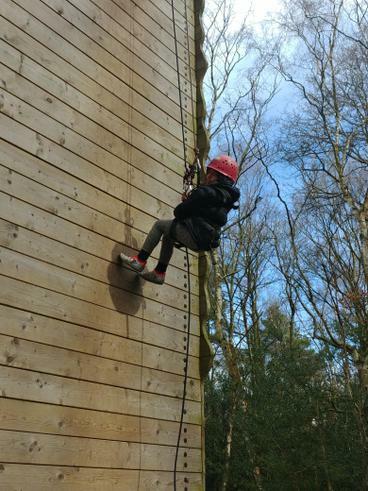 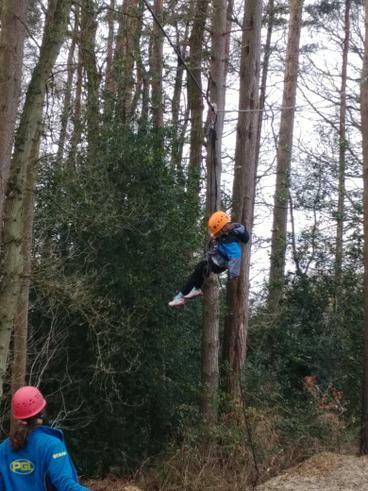 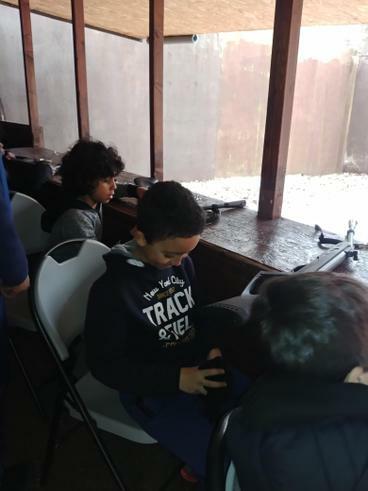 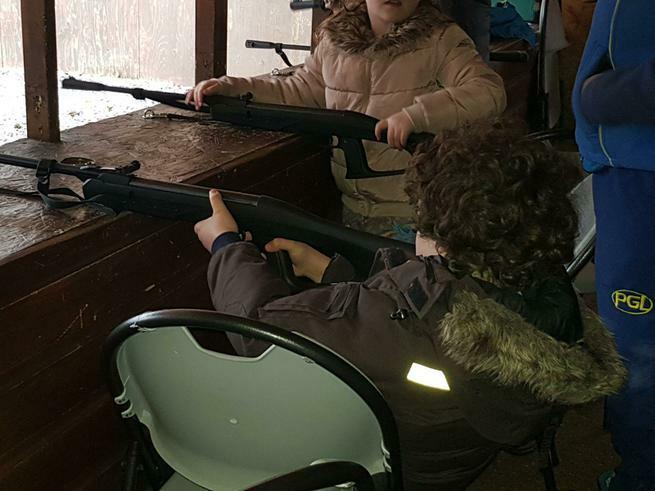 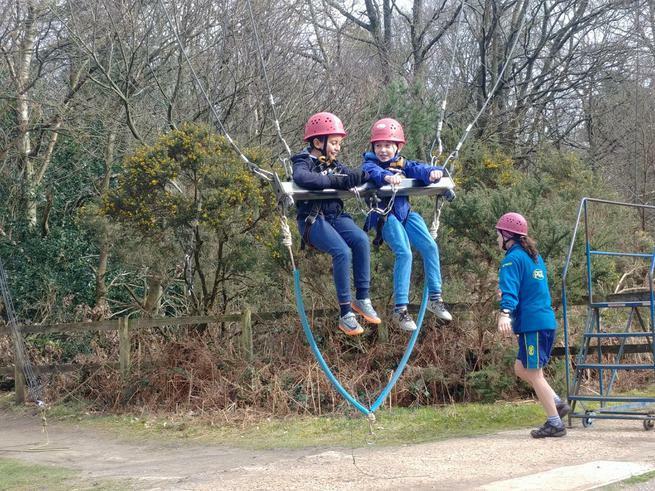 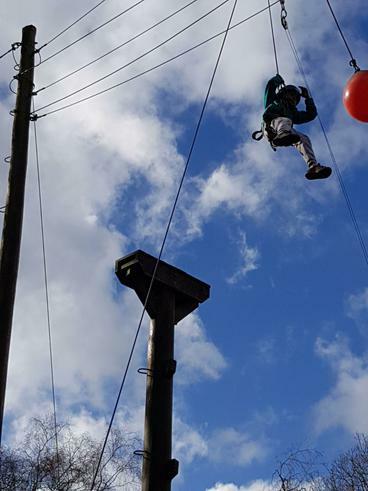 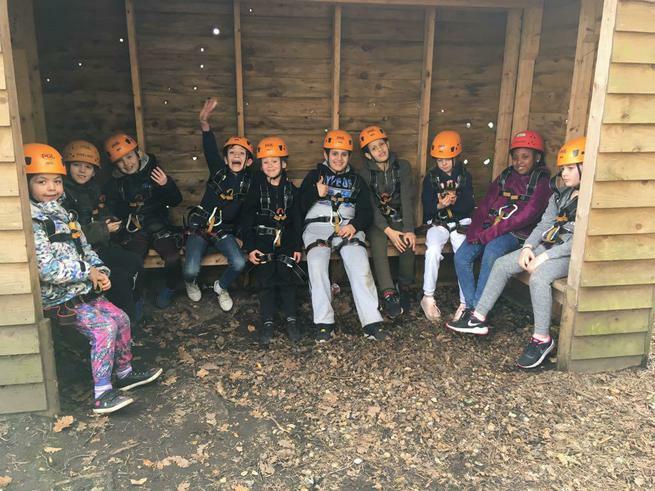 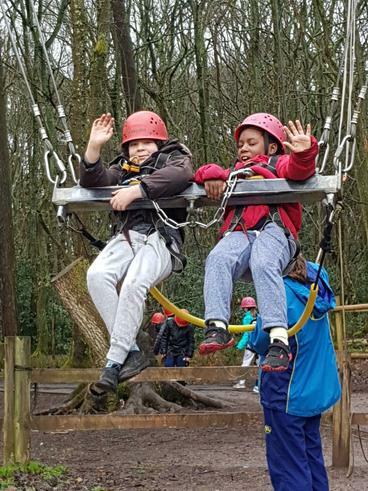 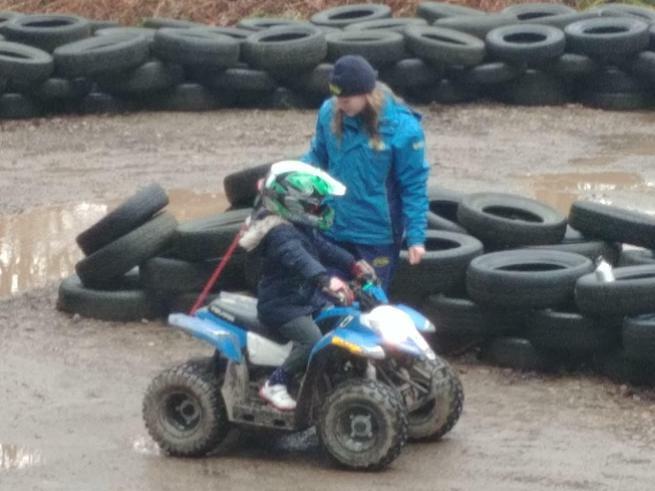 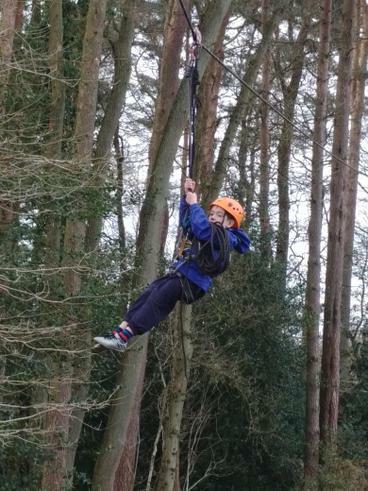 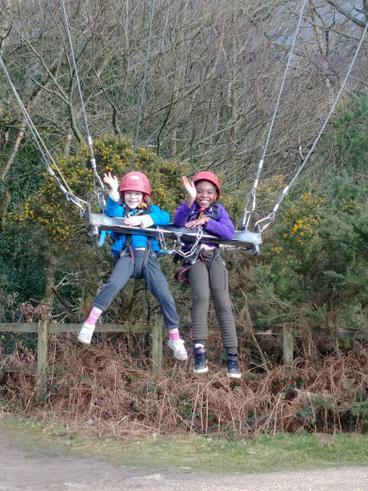 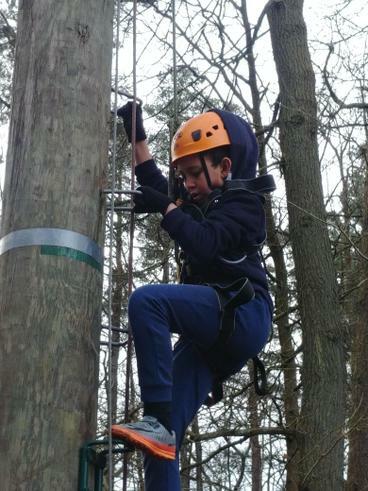 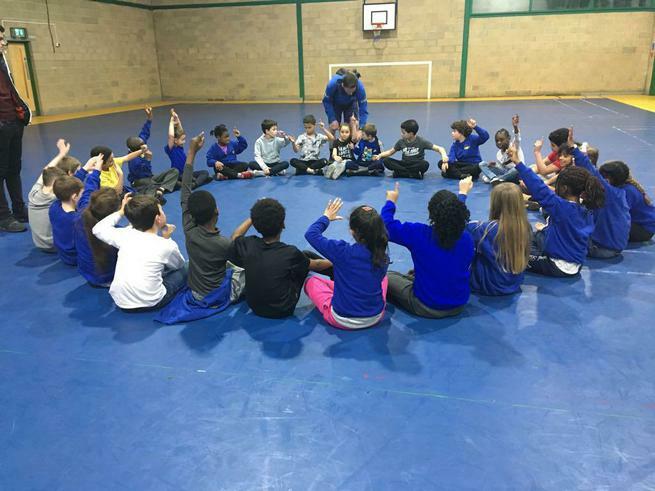 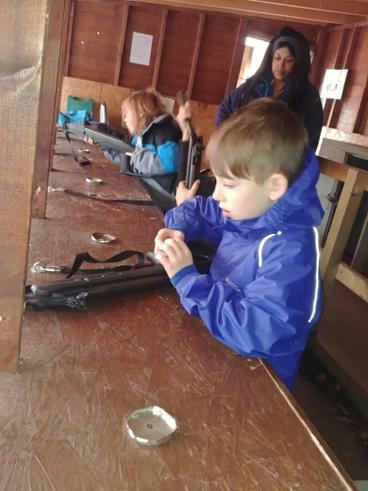 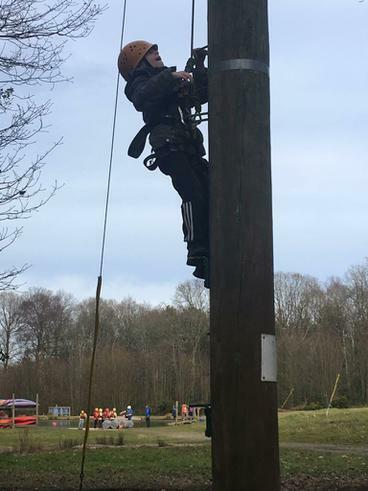 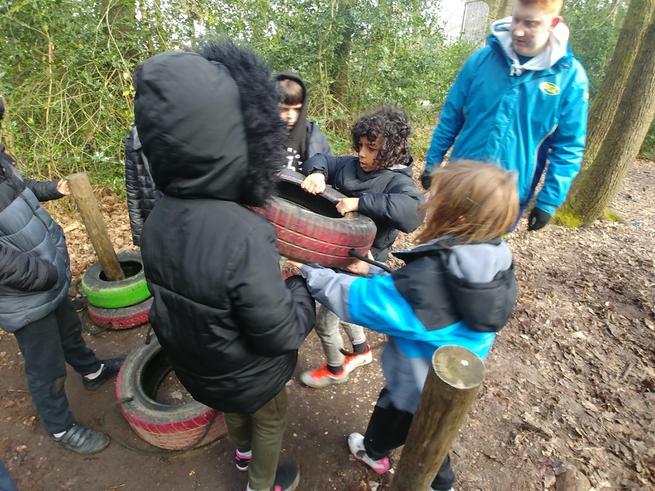 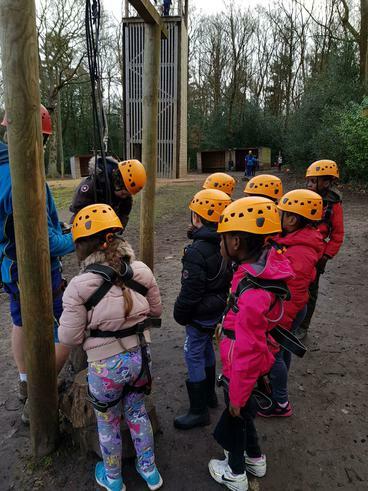 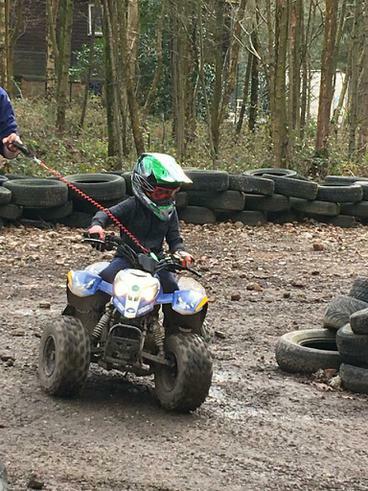 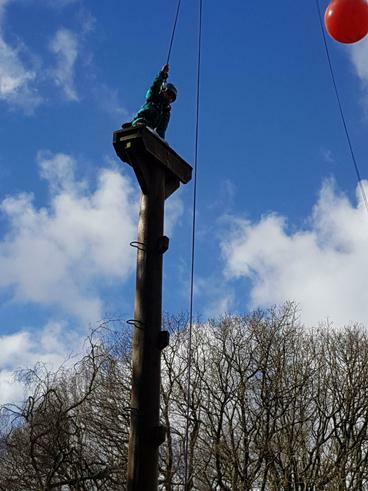 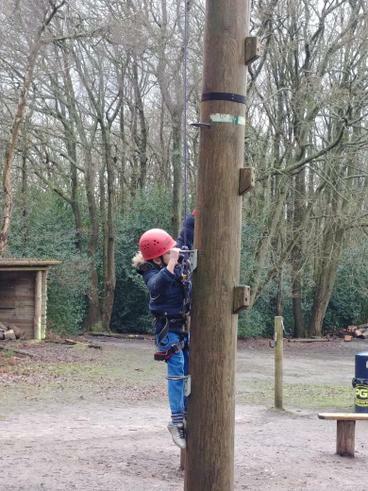 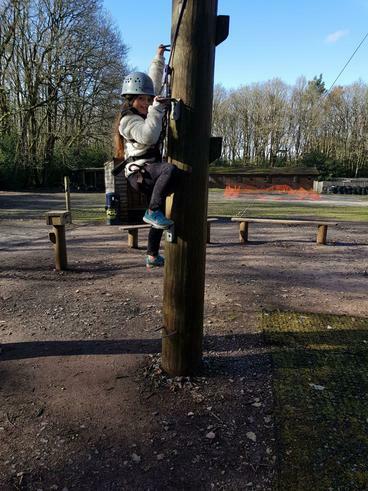 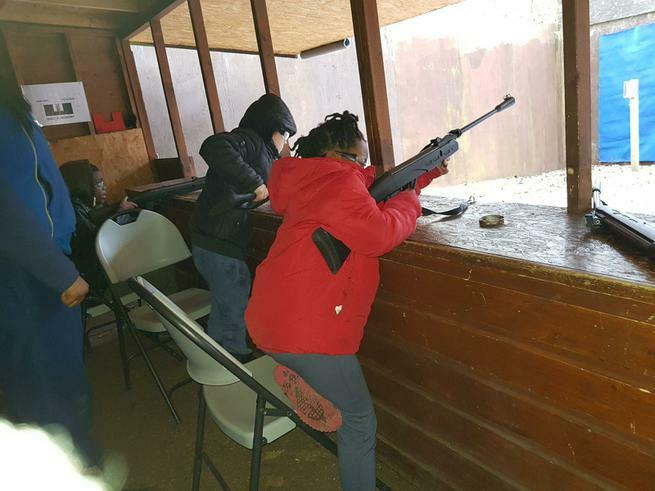 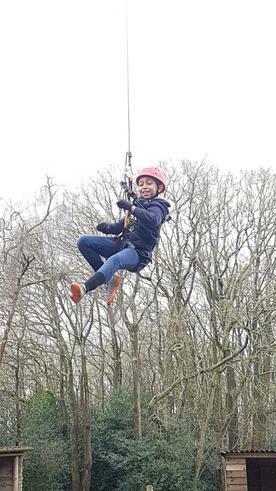 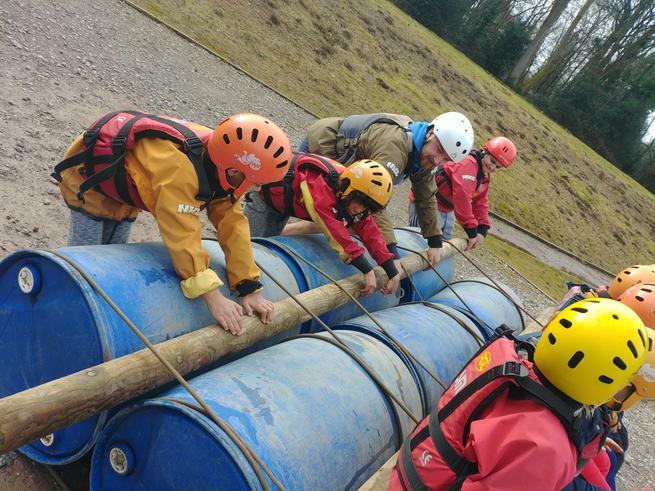 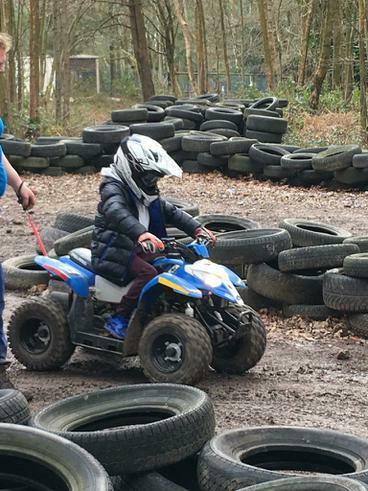 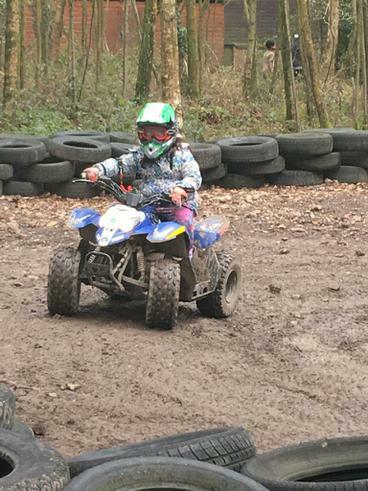 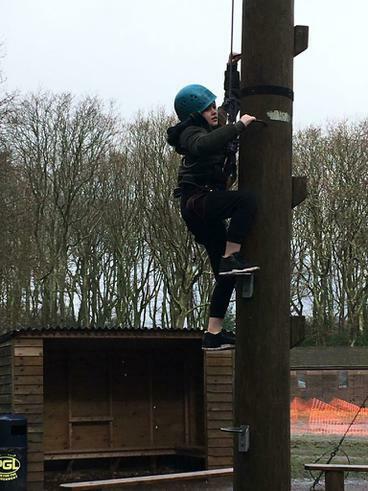 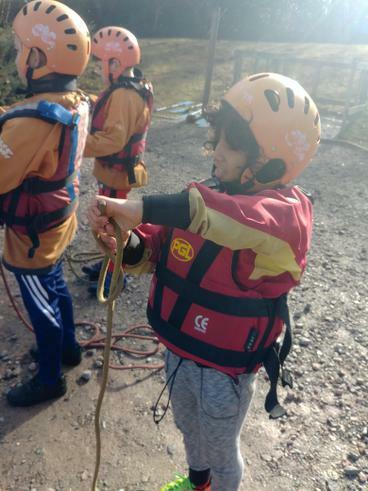 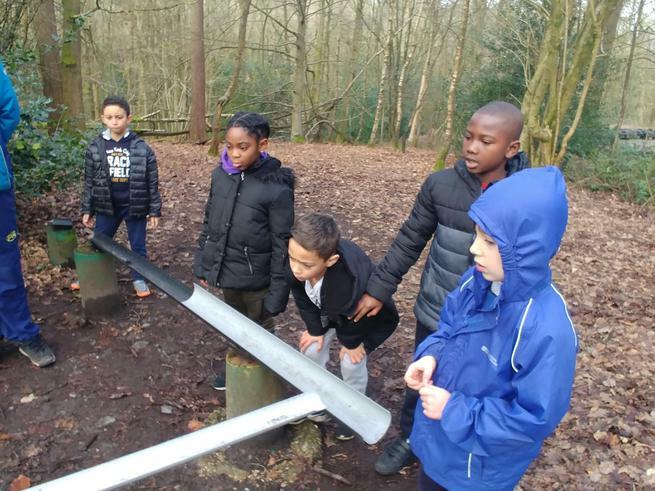 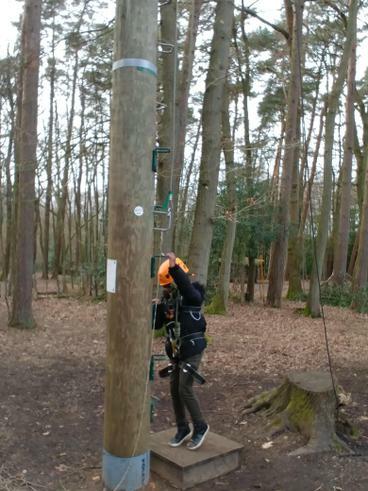 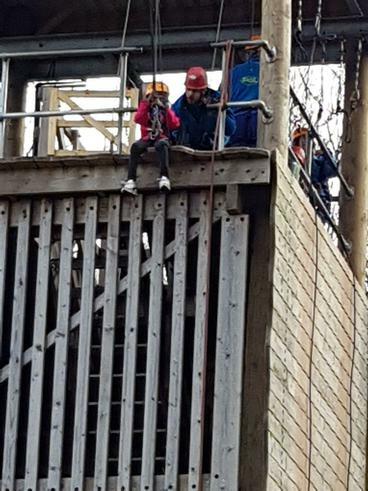 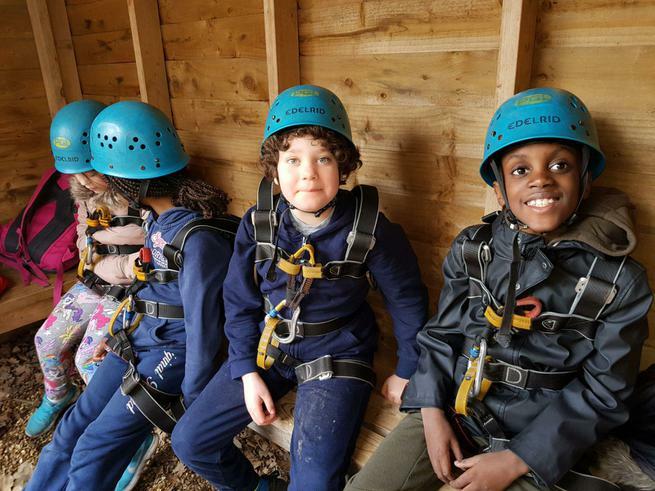 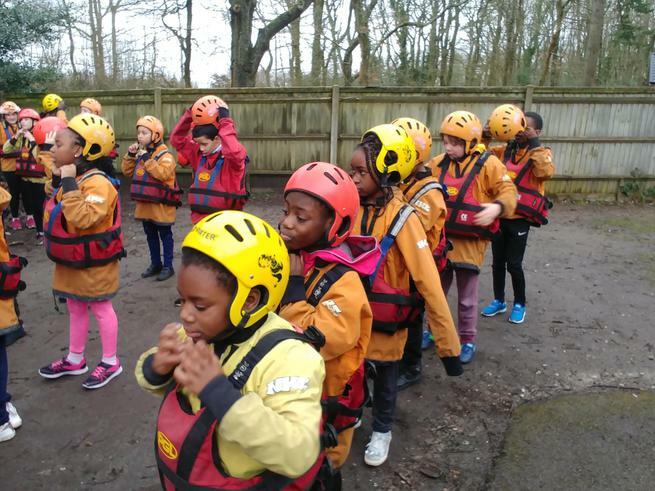 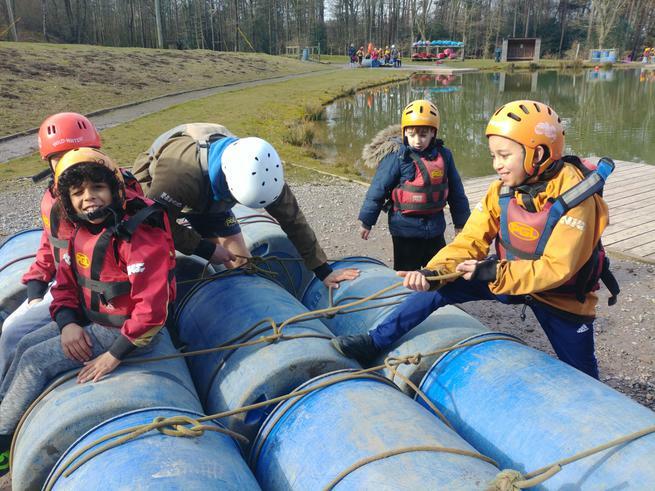 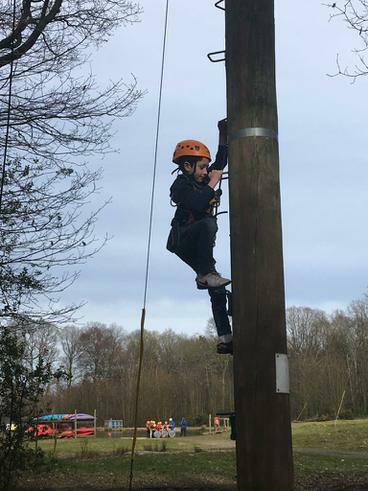 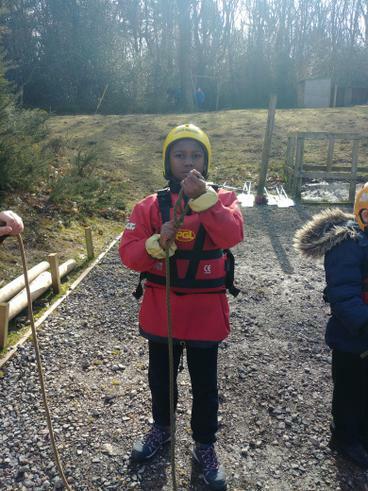 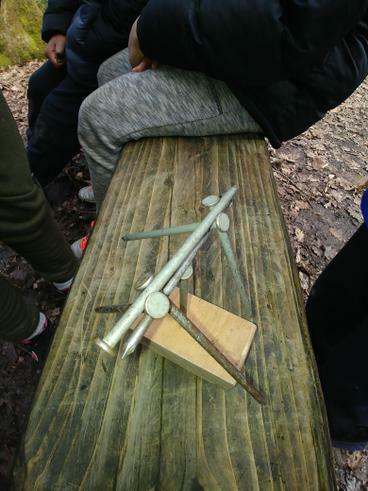 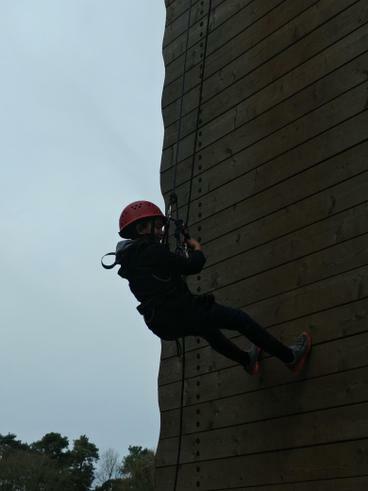 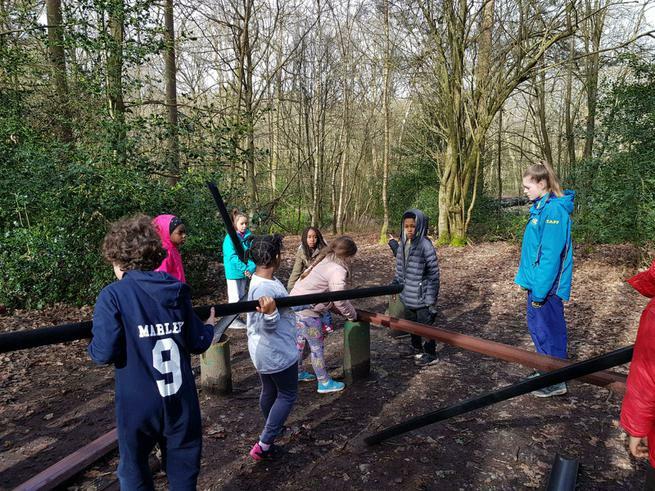 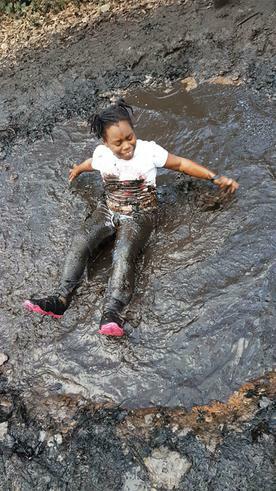 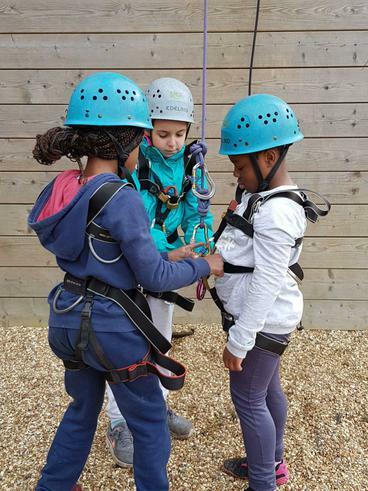 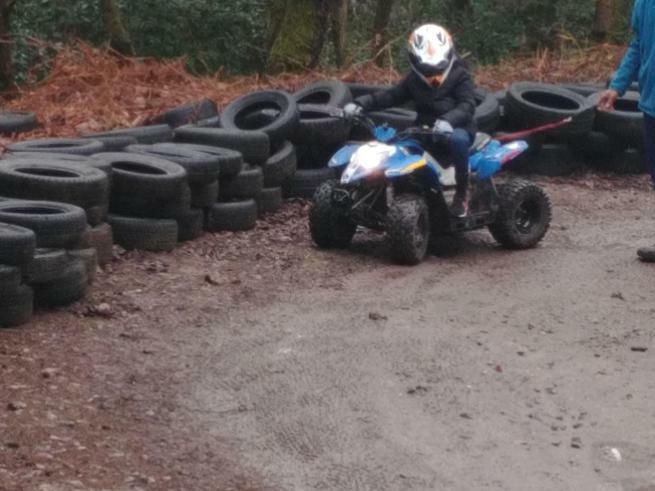 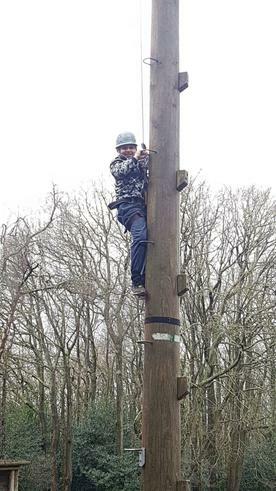 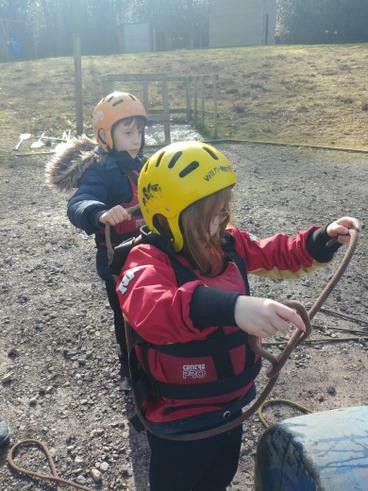 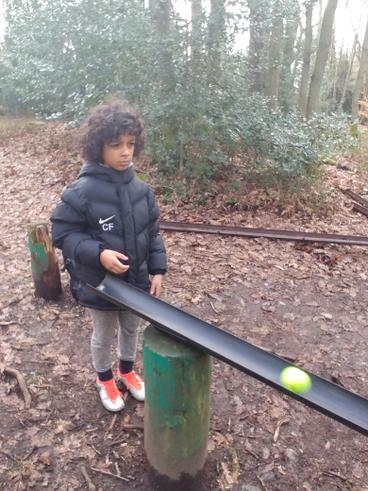 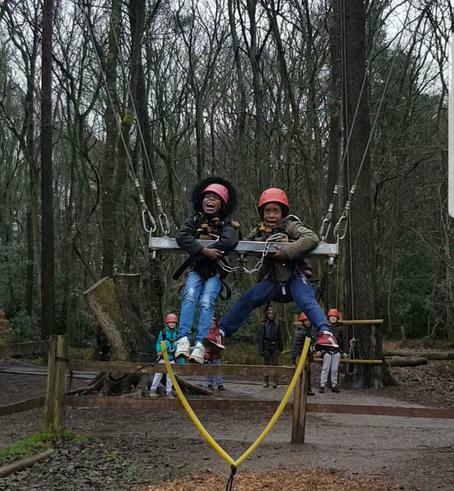 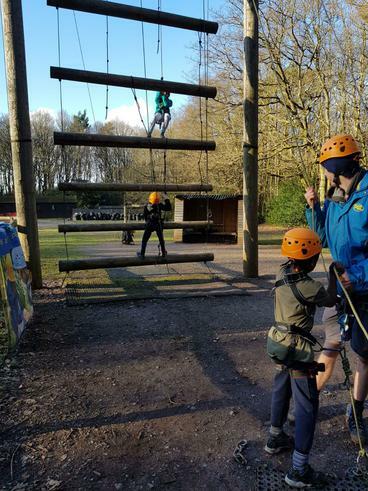 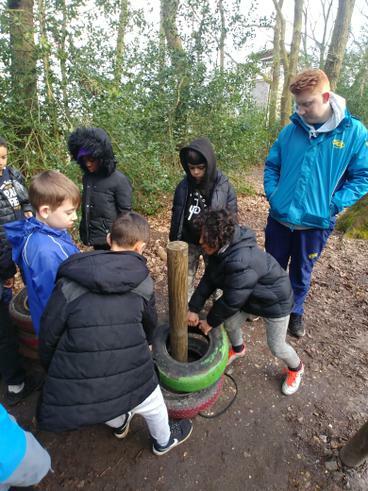 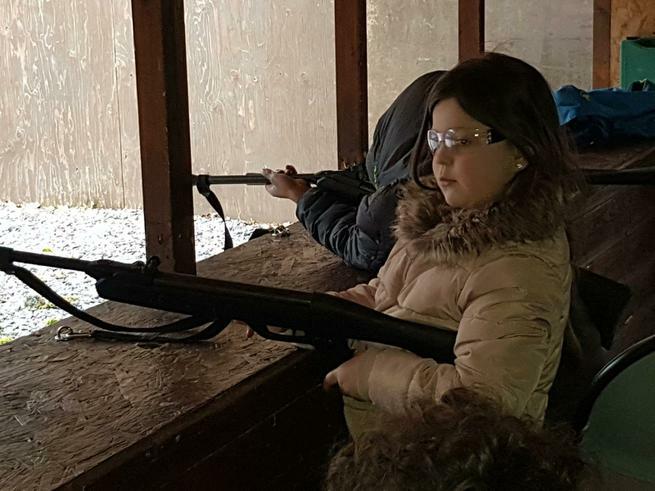 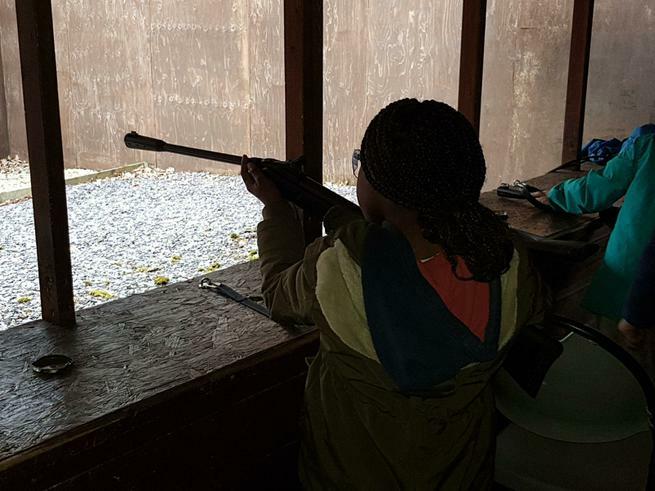 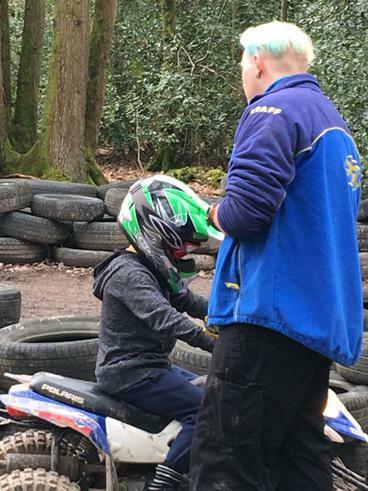 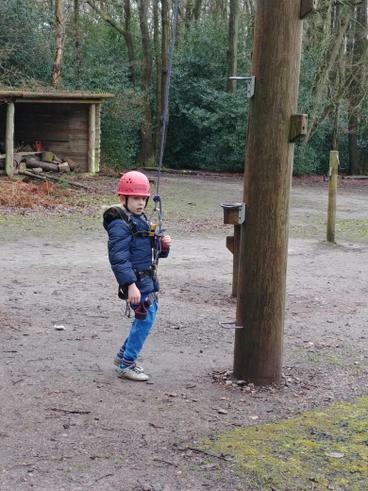 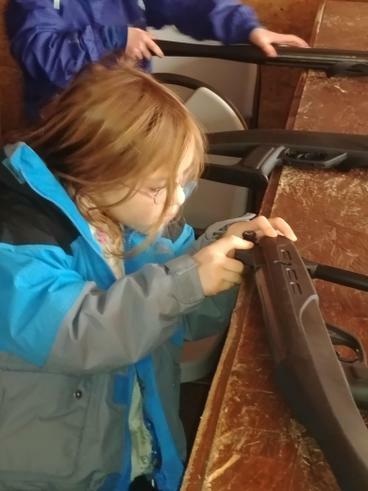 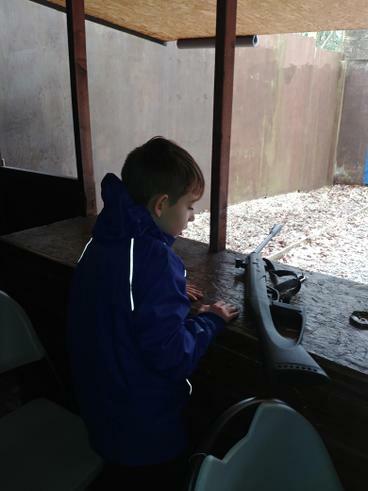 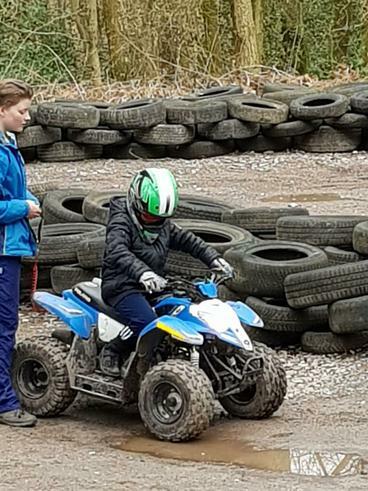 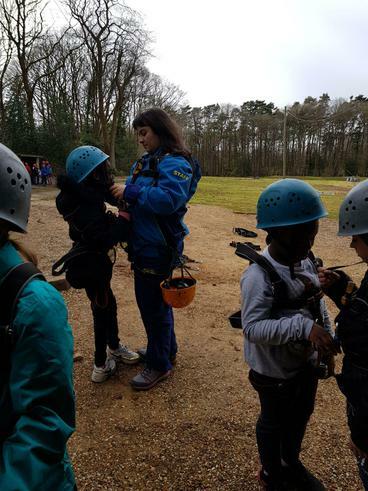 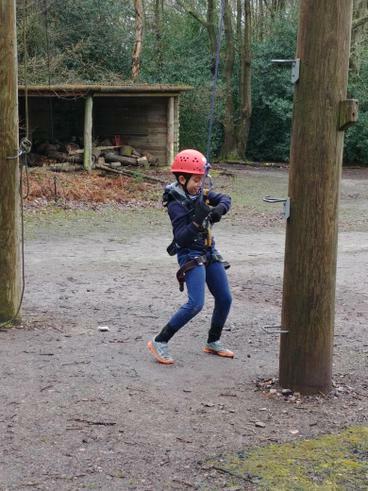 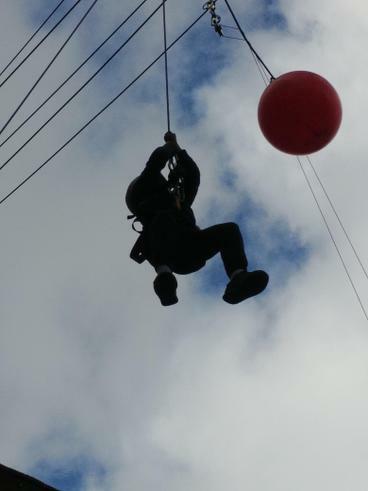 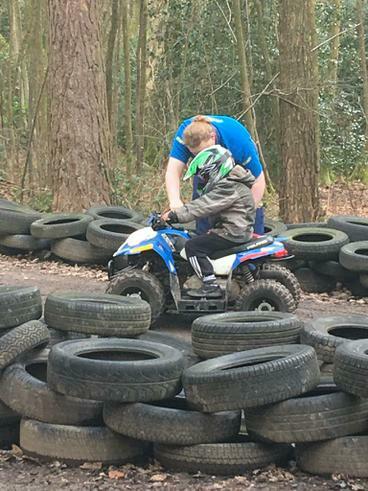 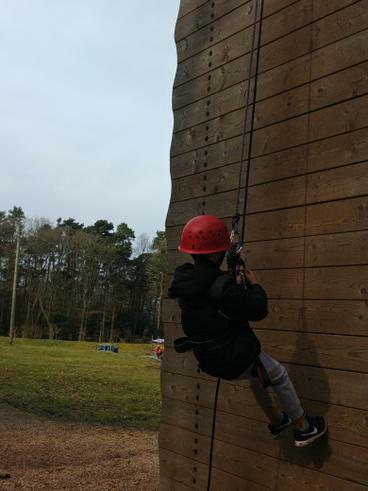 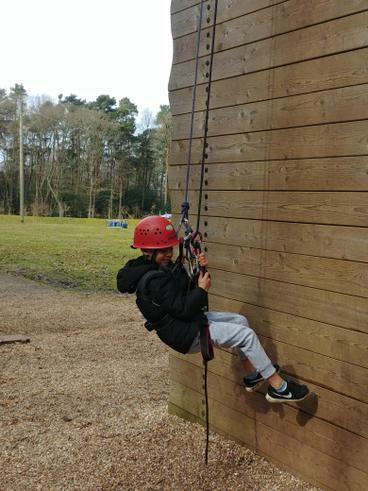 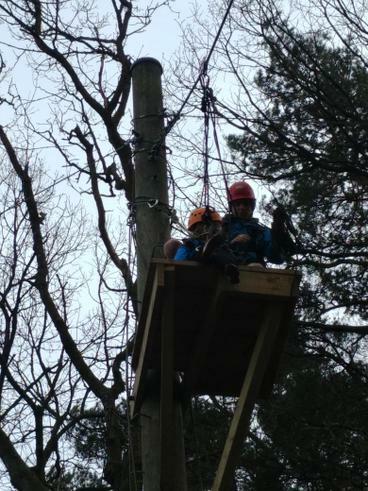 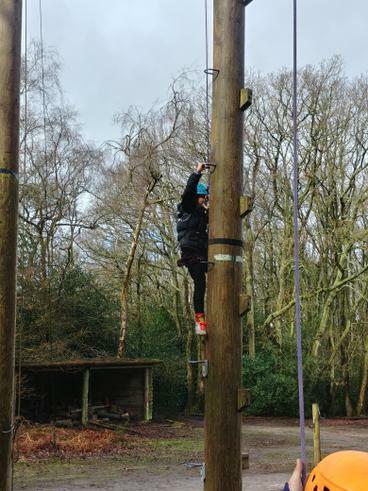 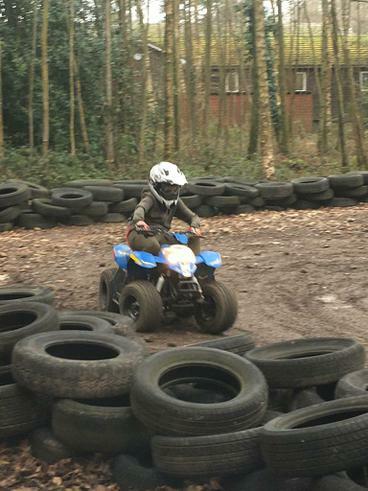 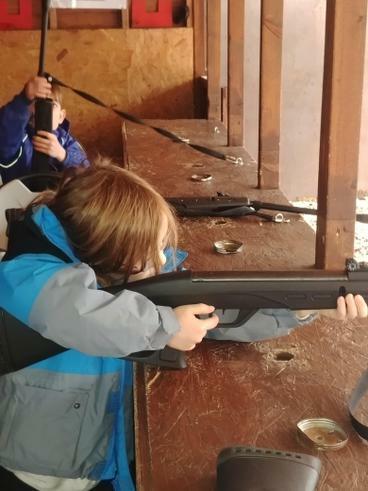 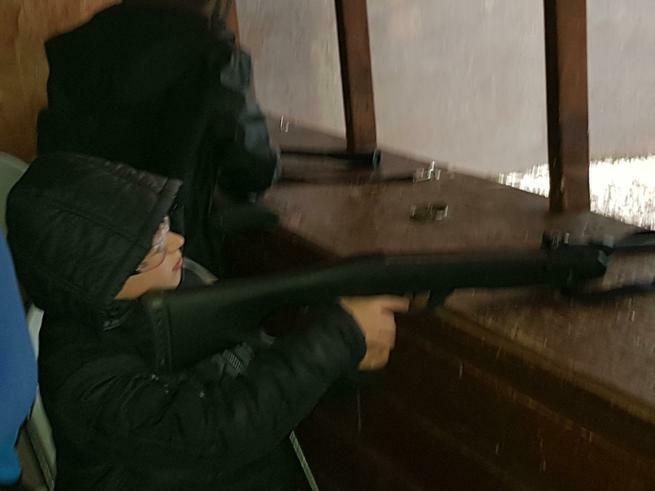 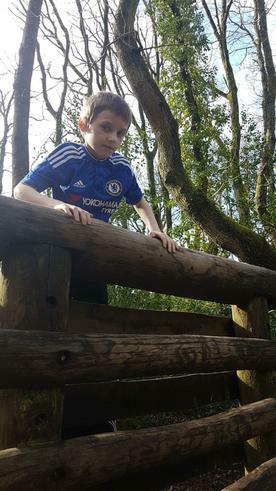 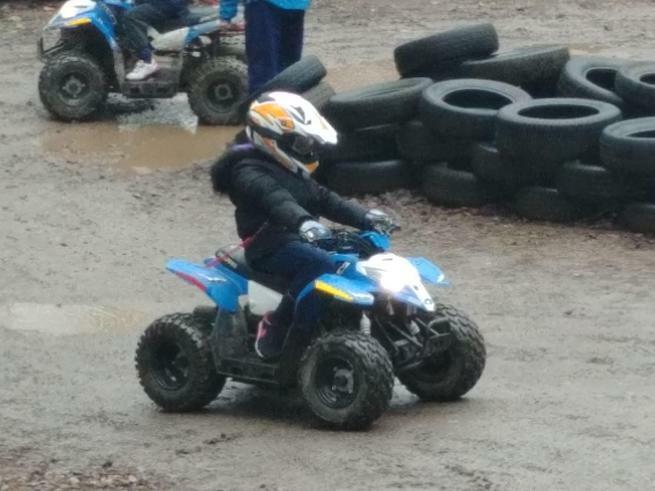 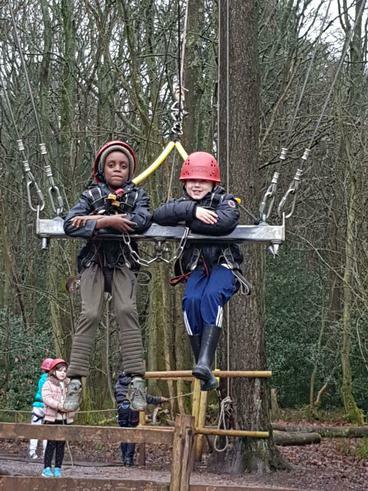 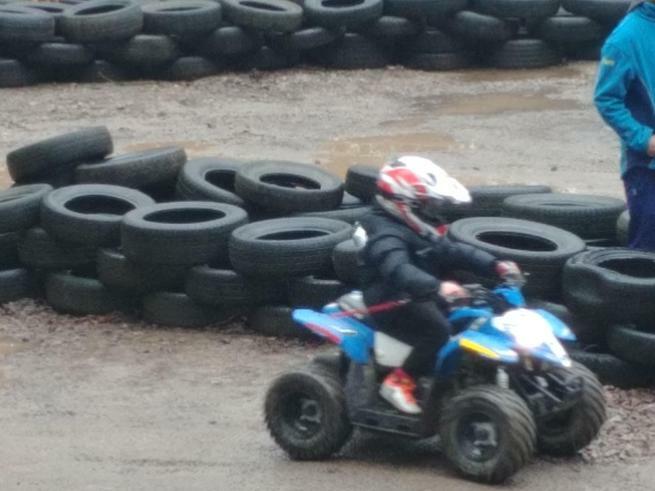 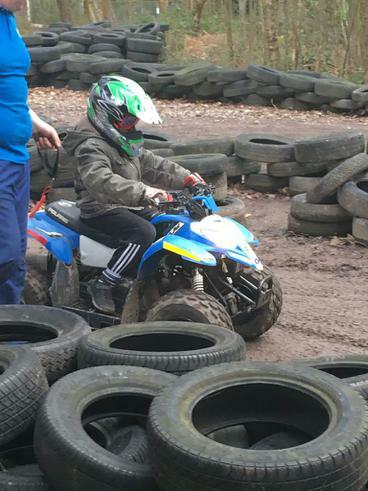 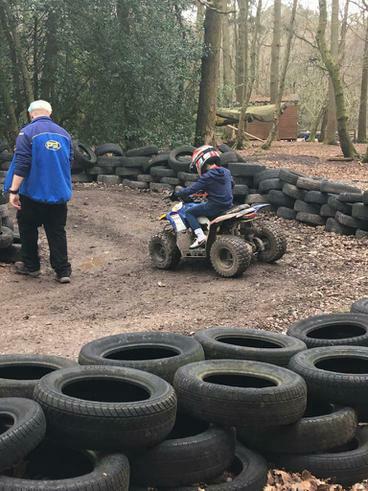 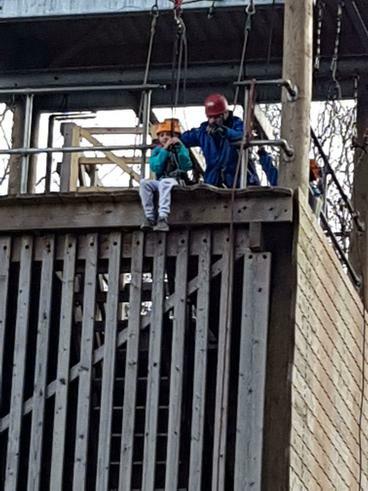 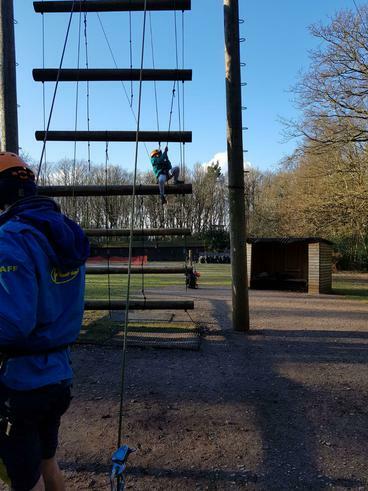 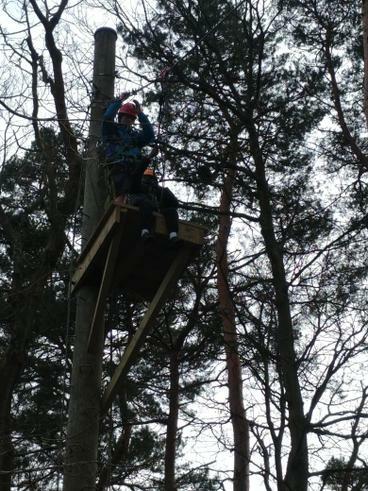 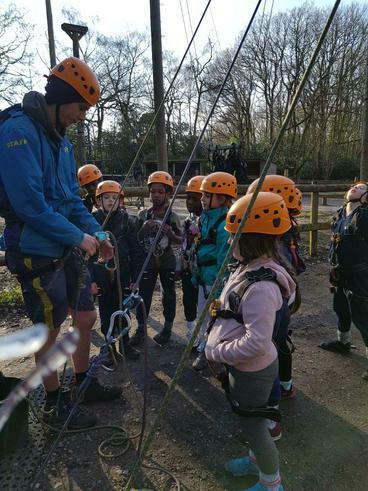 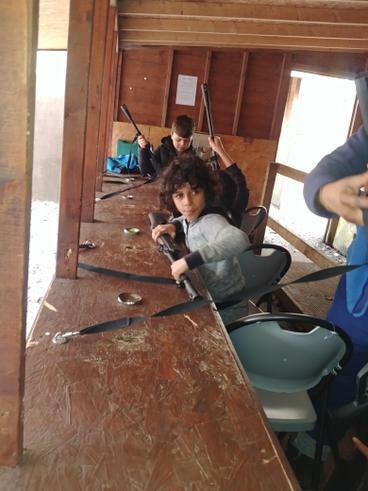 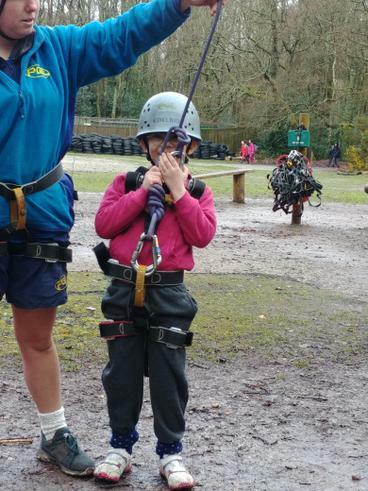 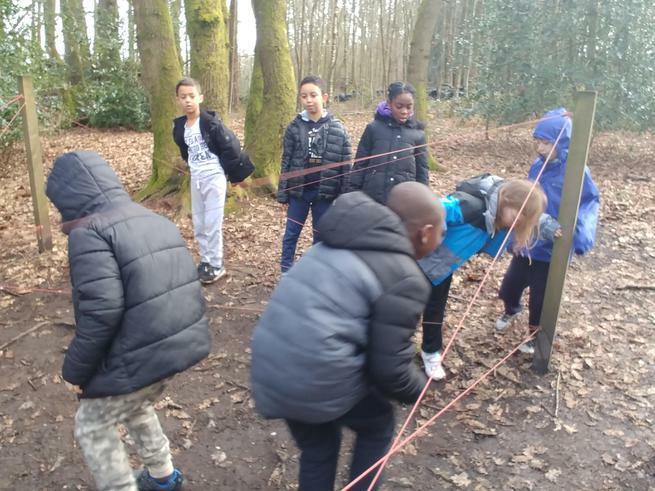 The children, and some of the adults too, enjoyed some afternoon activities which included Giant Swing, Survivor, Quad Biking, Jacobs Ladder and rifle Shooting. 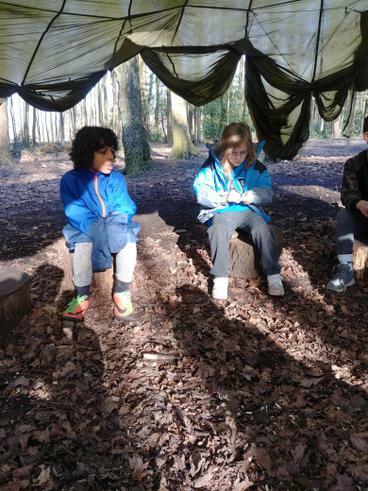 Its now dinner time and then back ofd into the woods for a camp fire! 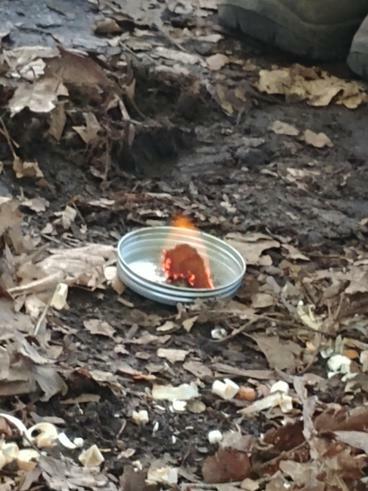 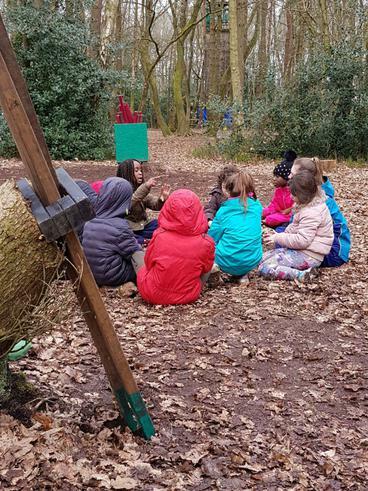 We finished our second day with a camp fire, where we sang songs, told stories and even told jokes! 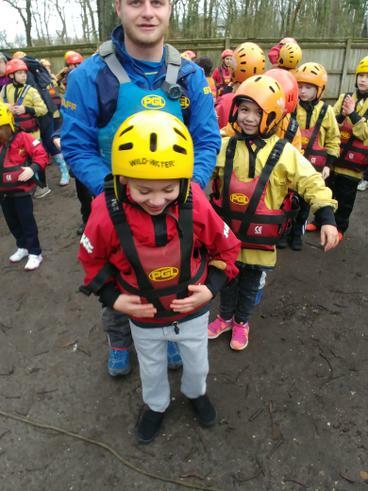 We even had a special visit from Sue! 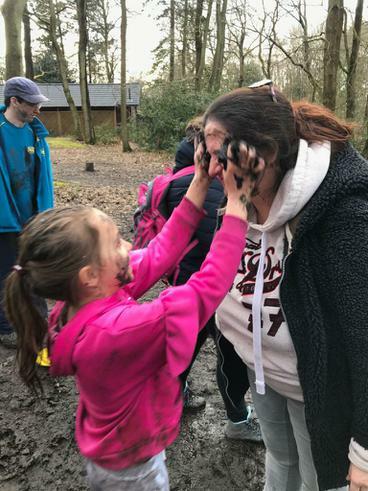 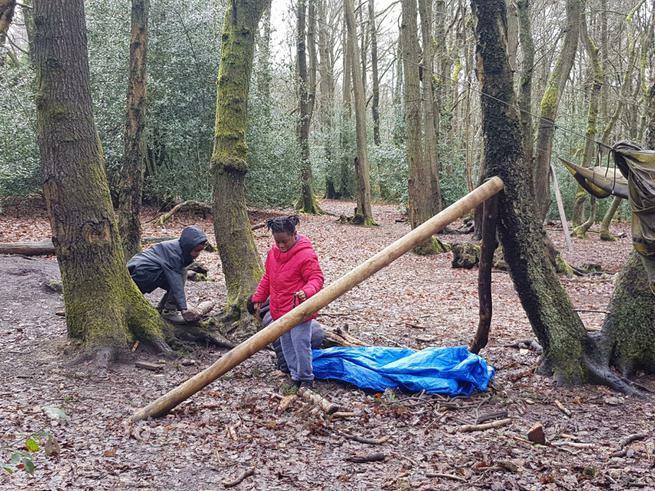 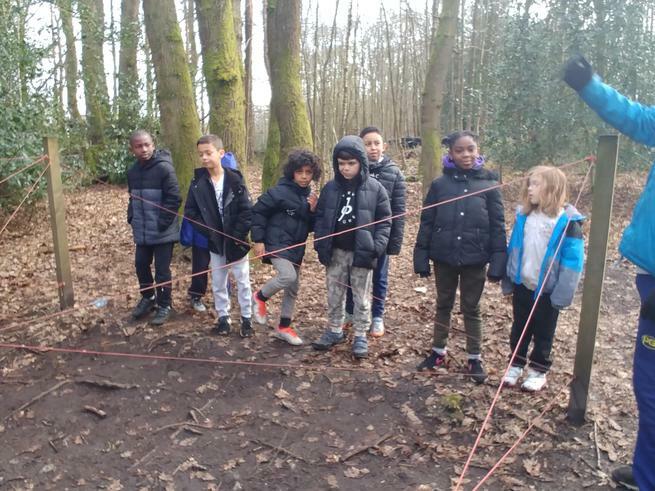 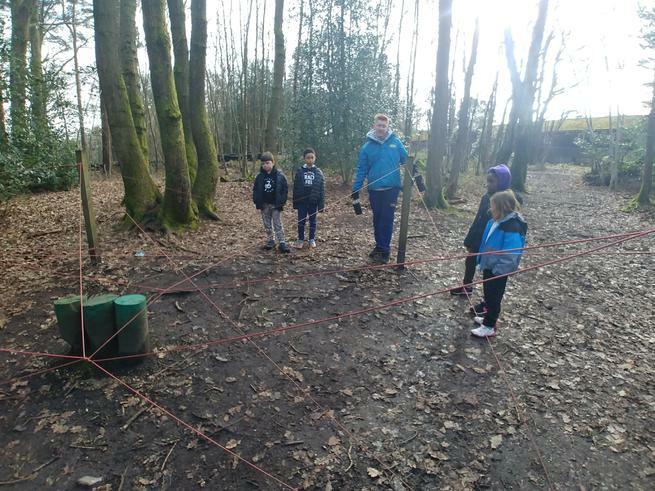 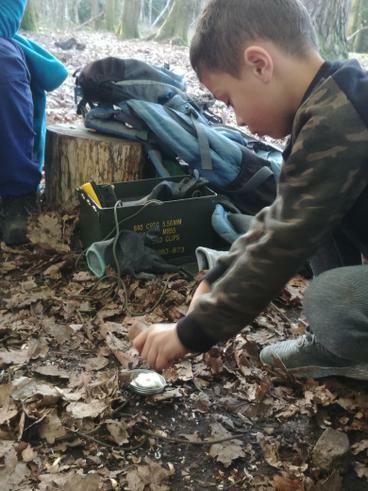 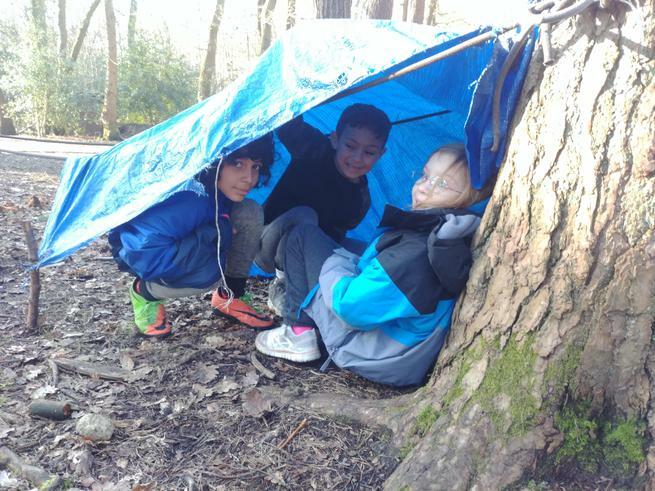 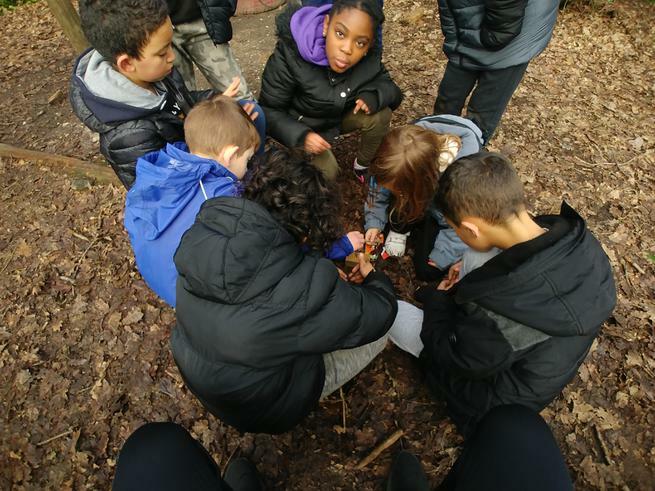 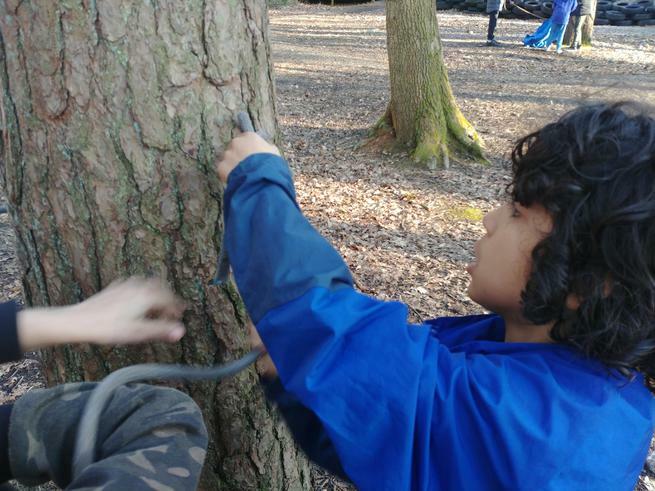 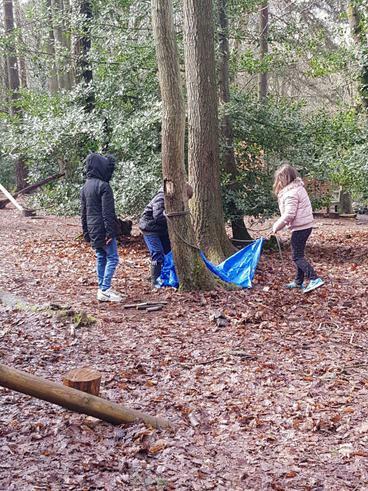 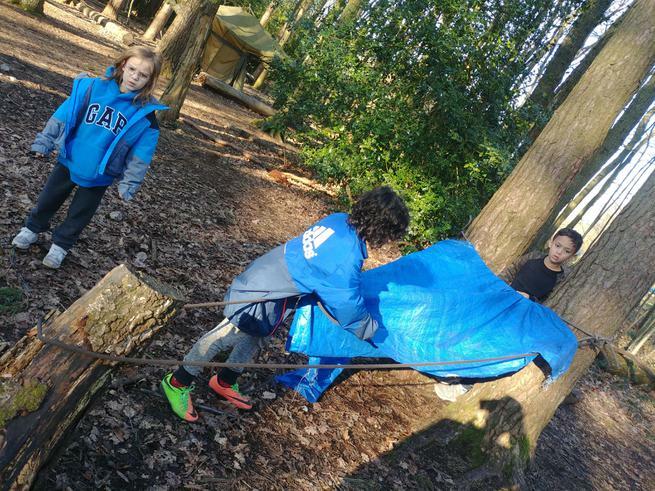 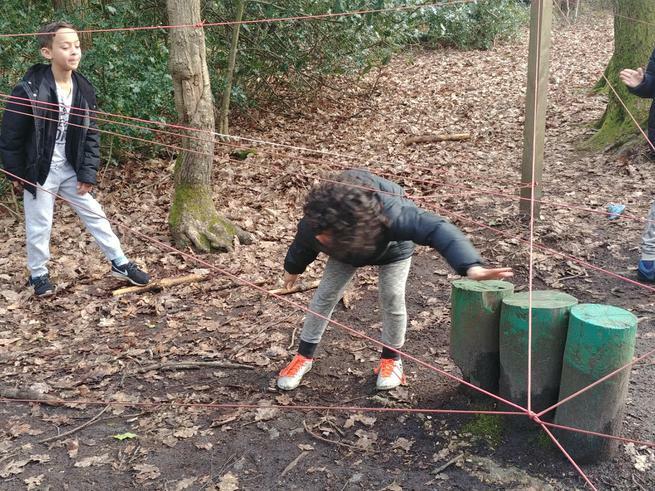 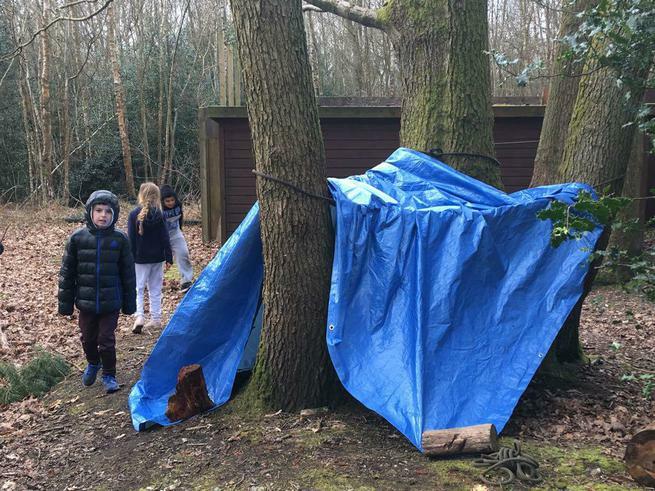 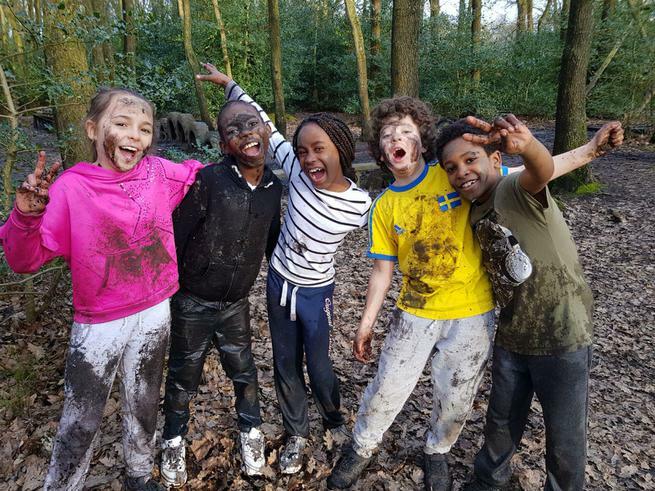 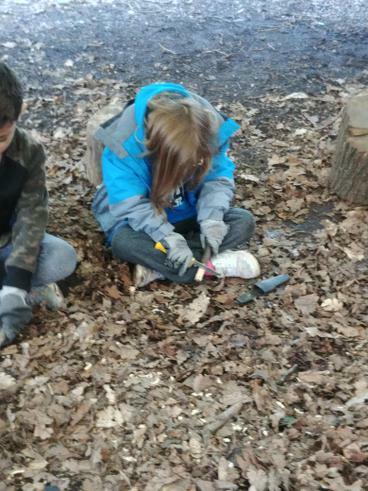 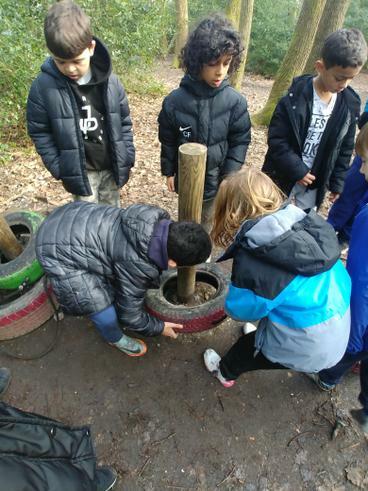 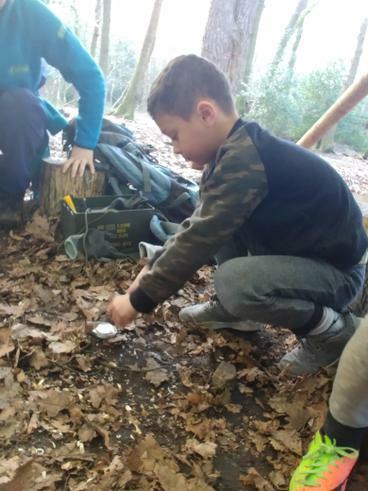 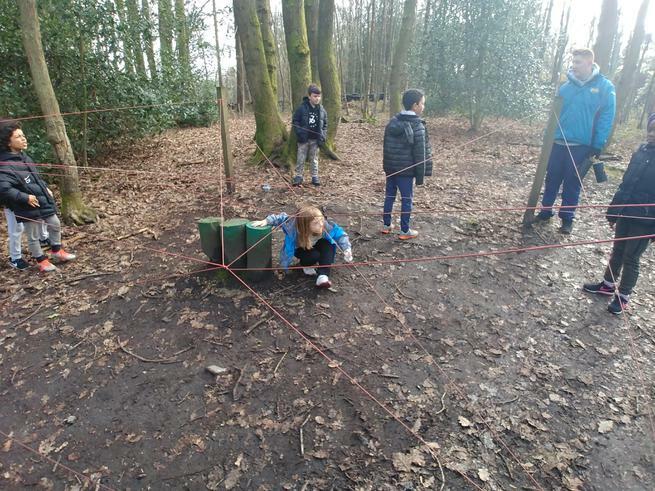 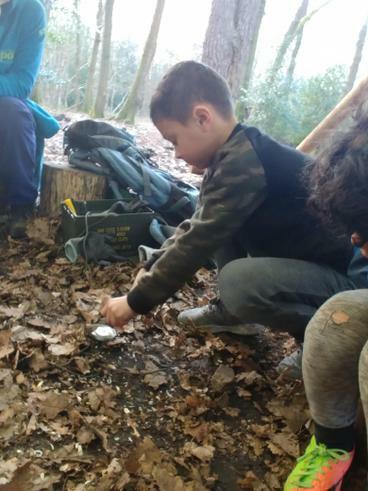 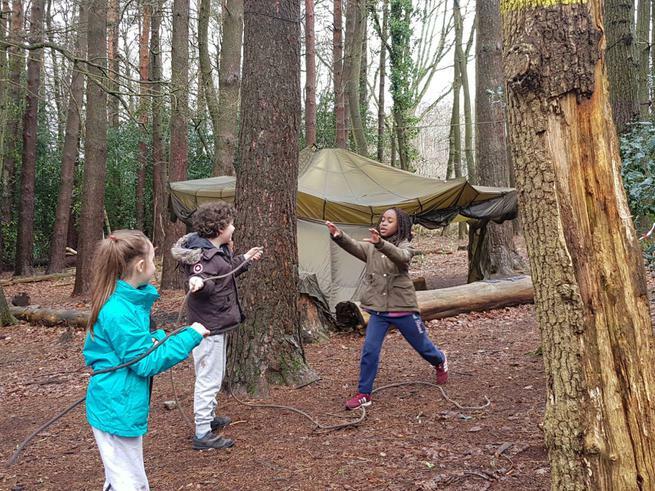 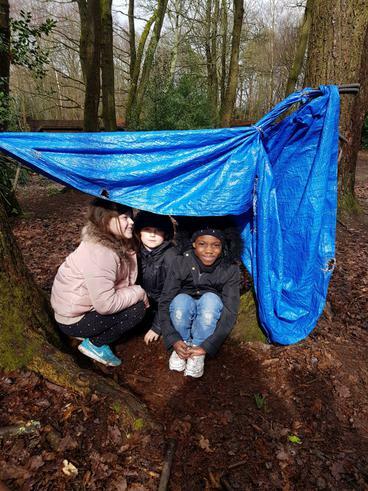 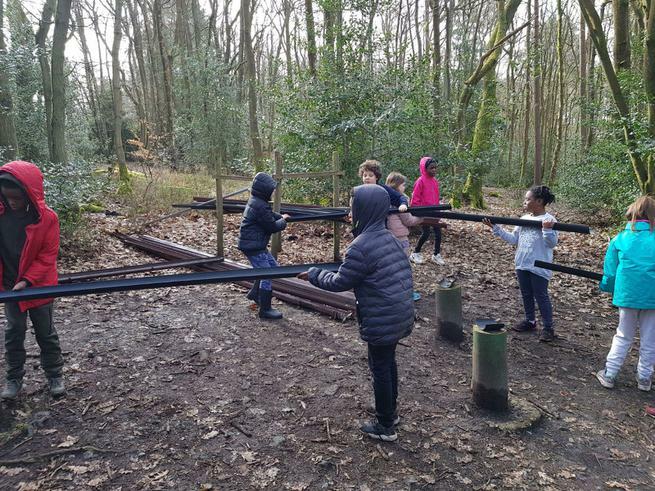 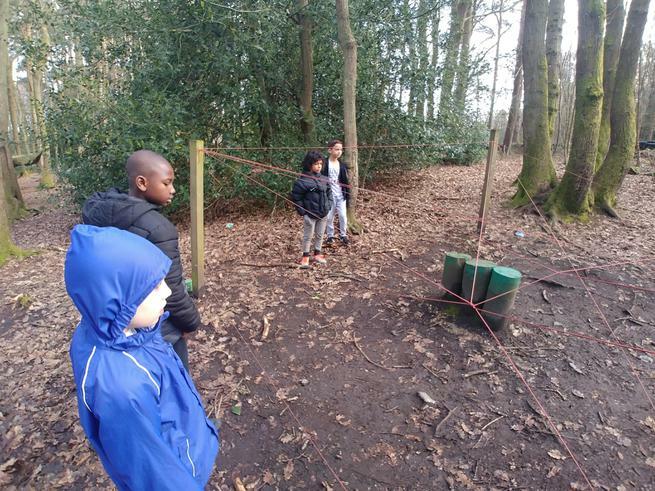 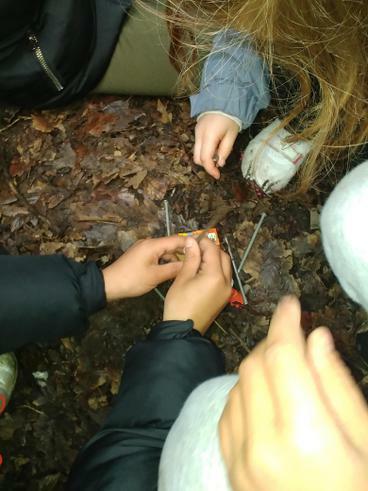 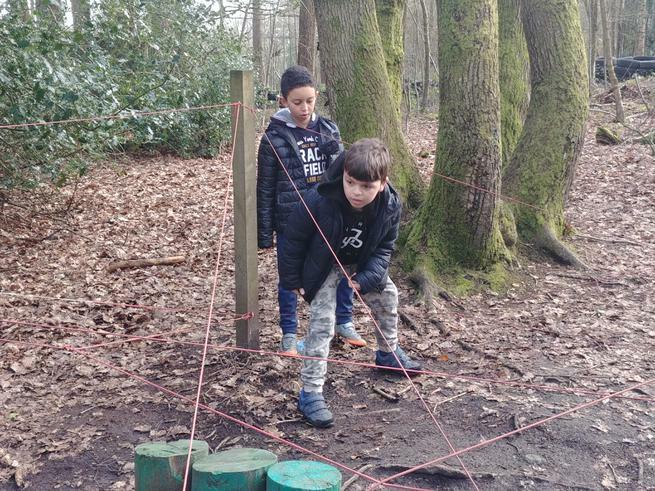 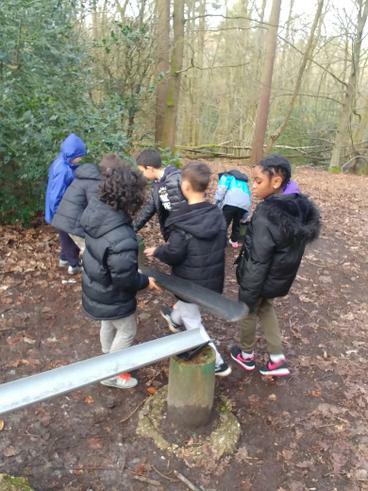 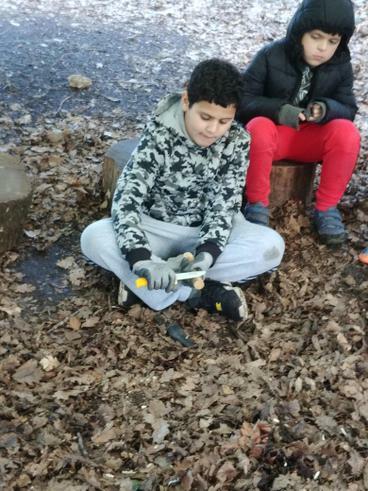 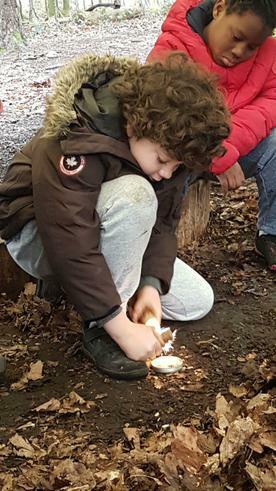 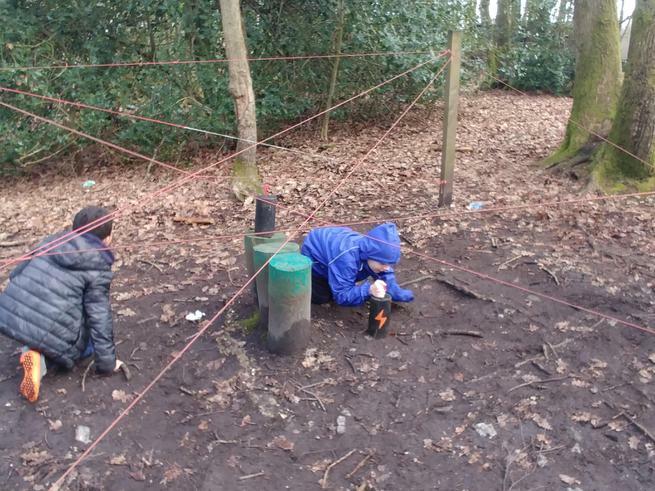 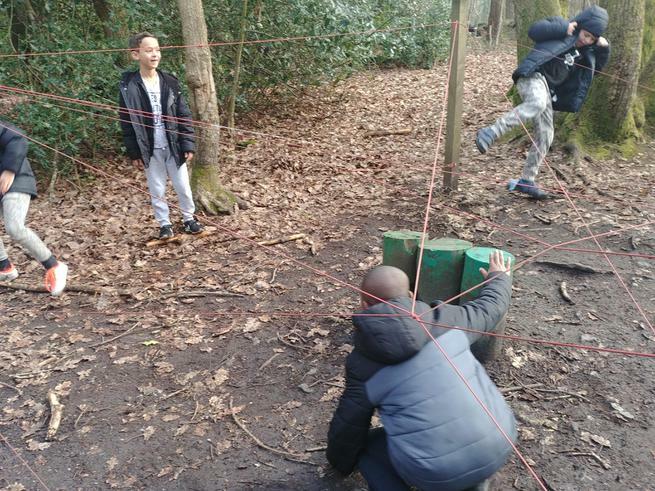 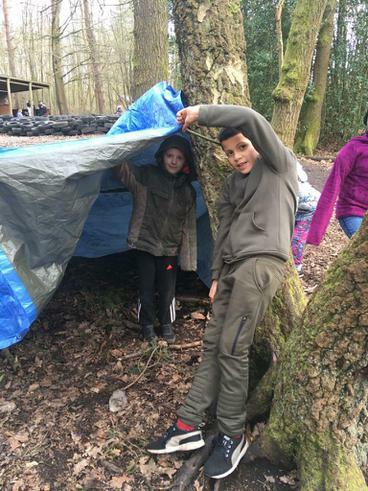 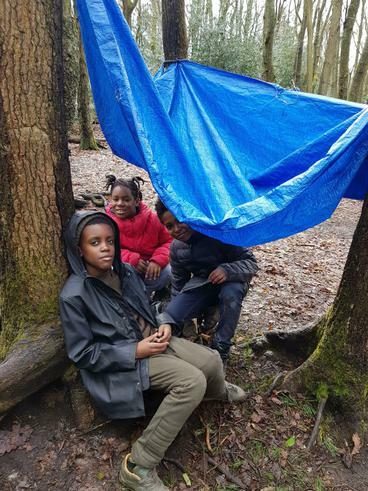 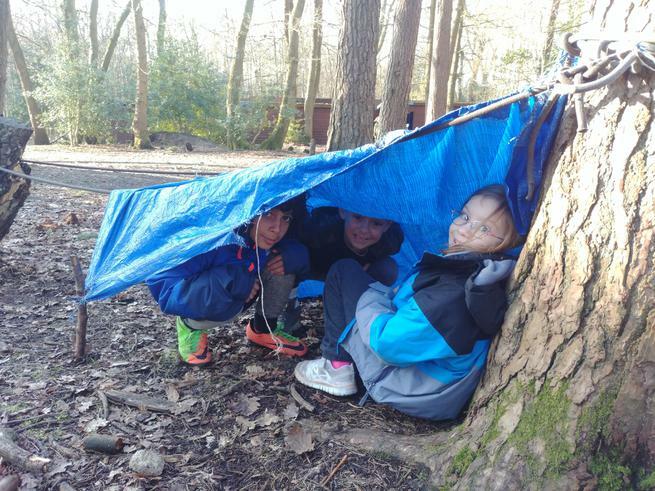 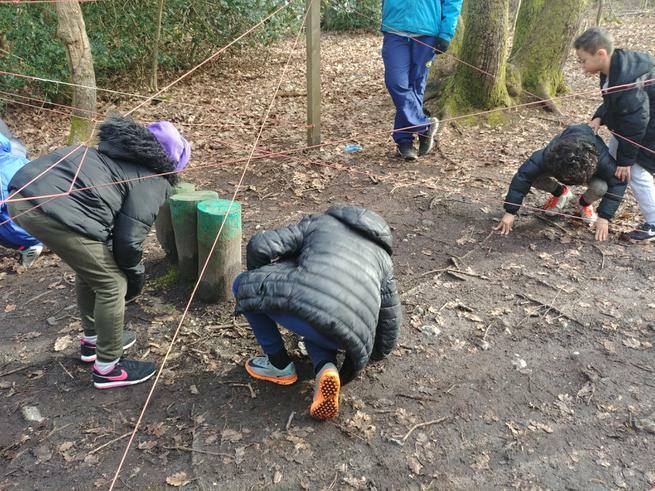 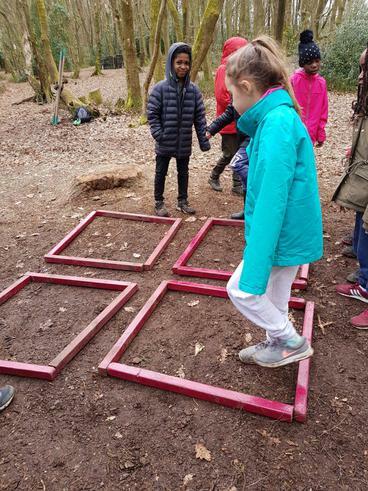 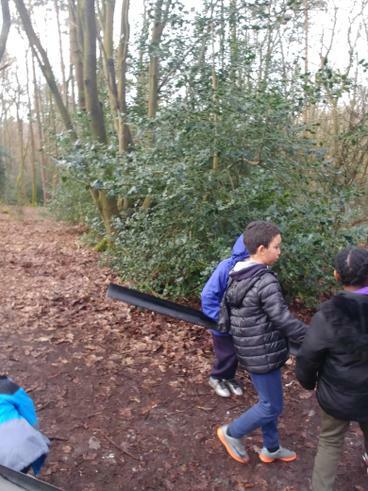 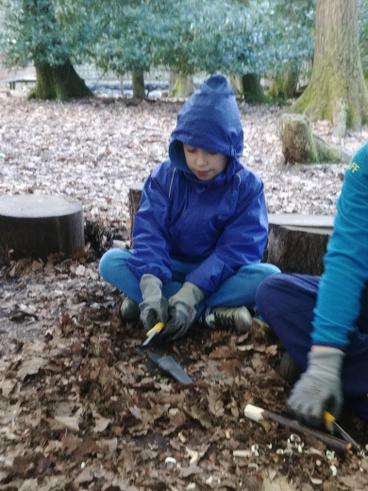 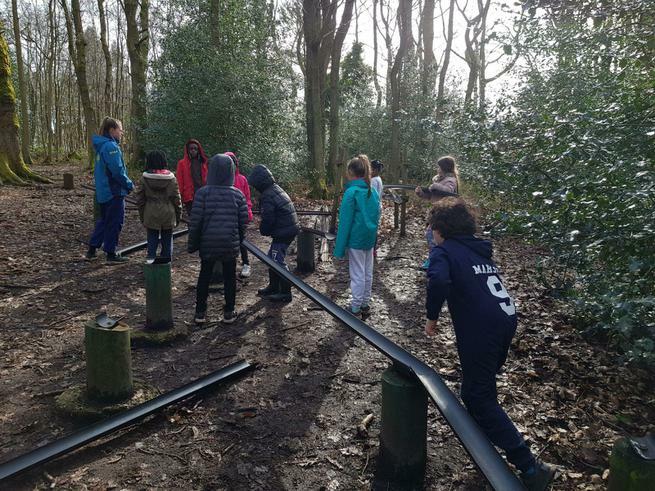 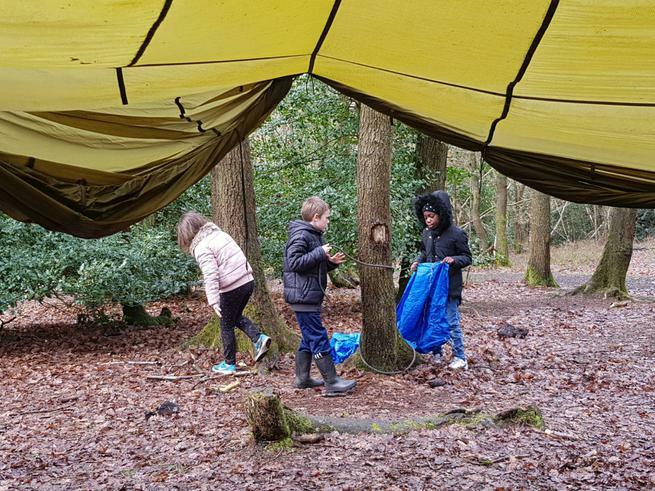 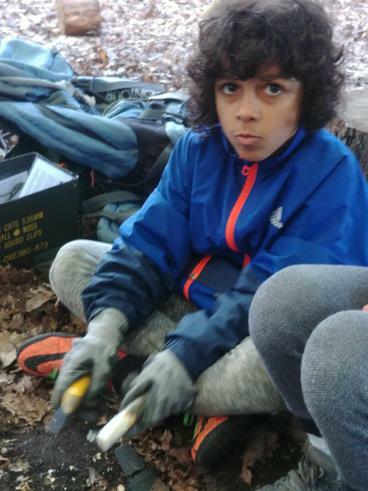 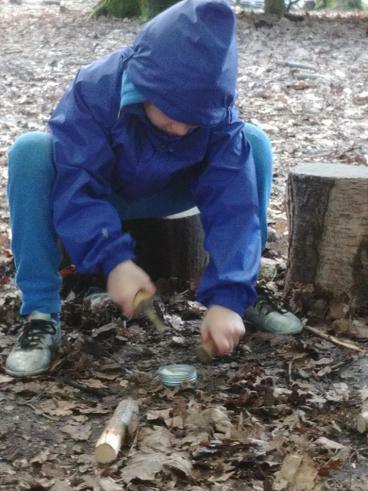 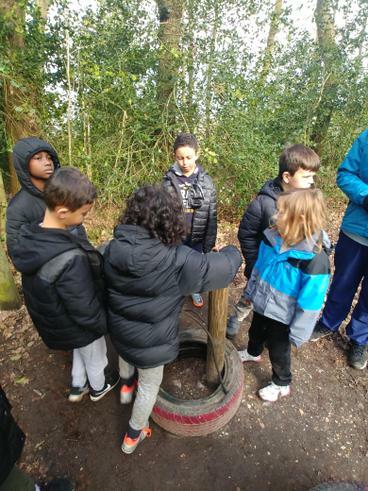 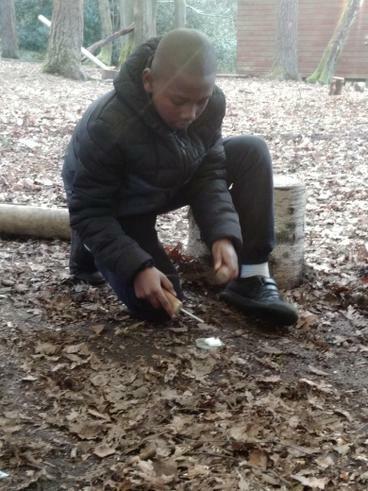 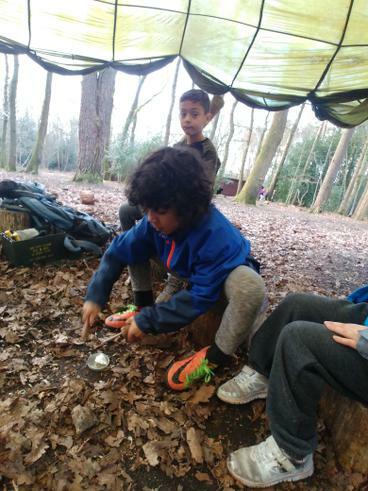 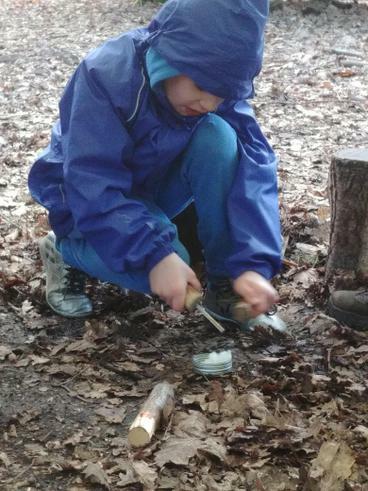 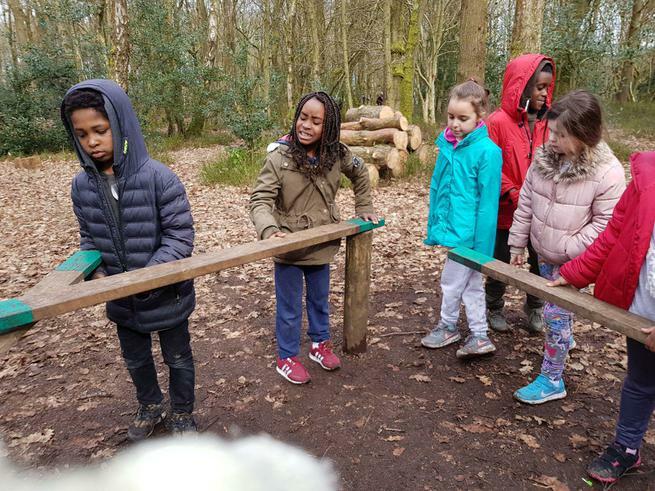 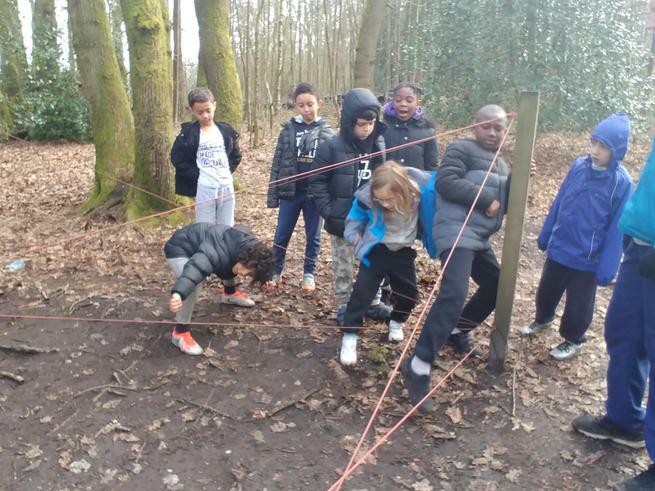 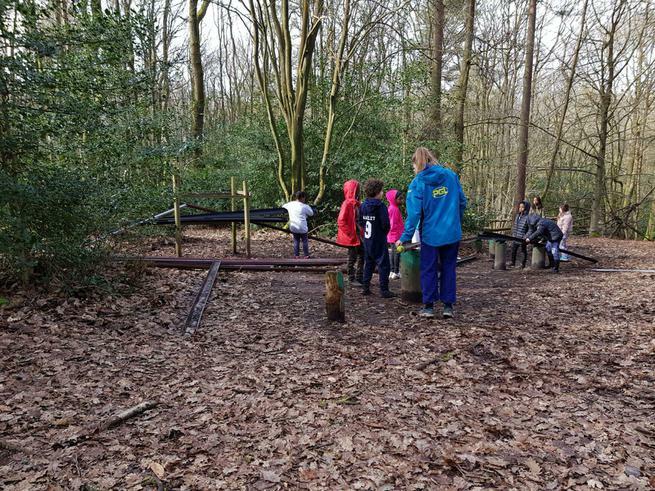 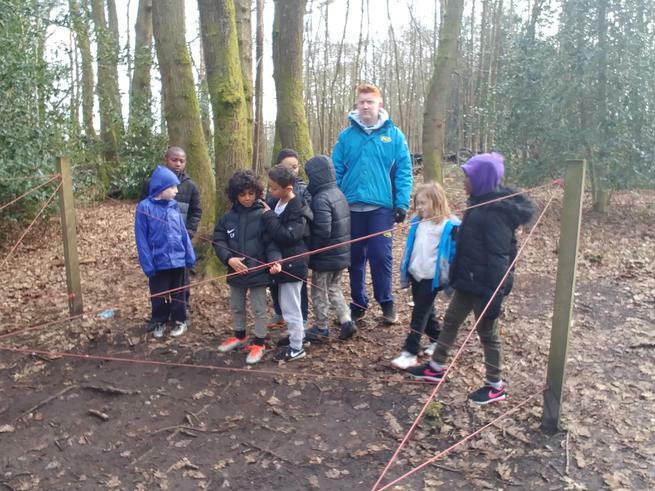 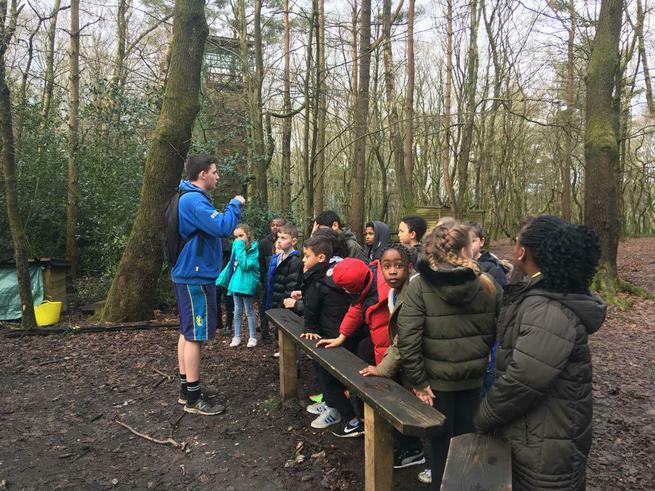 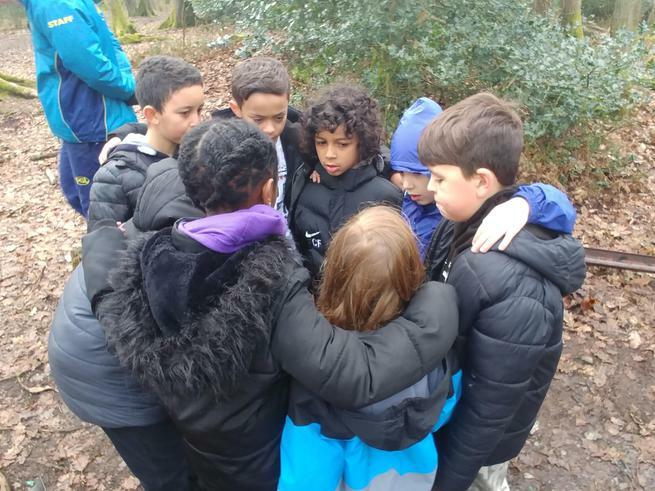 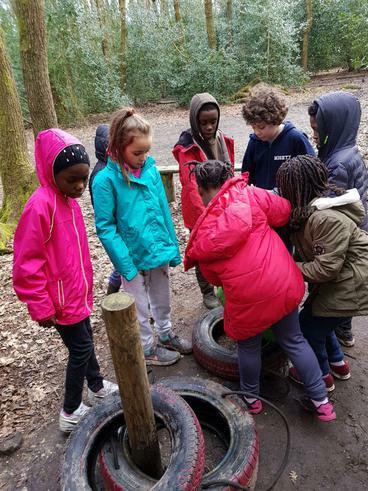 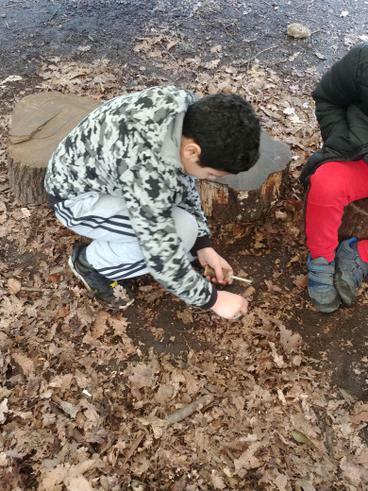 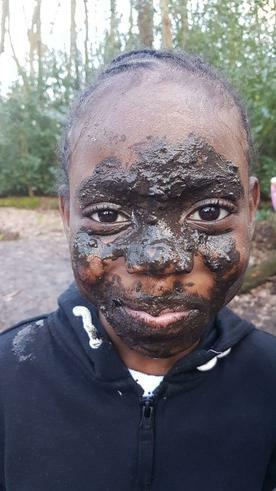 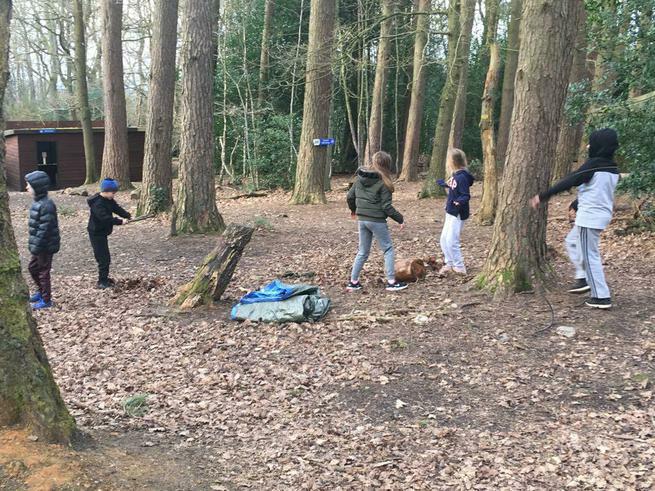 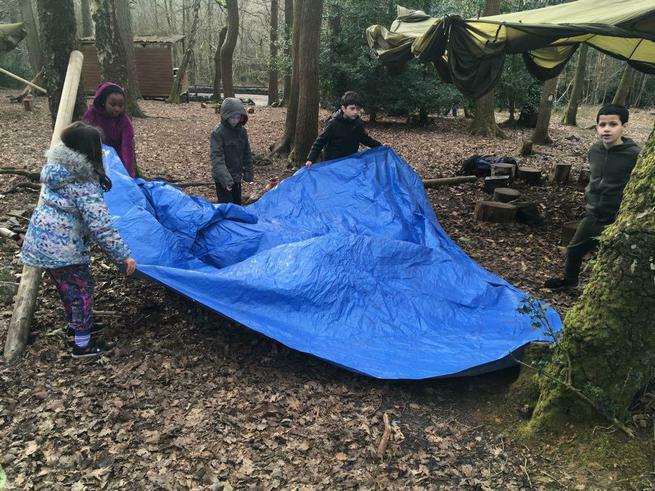 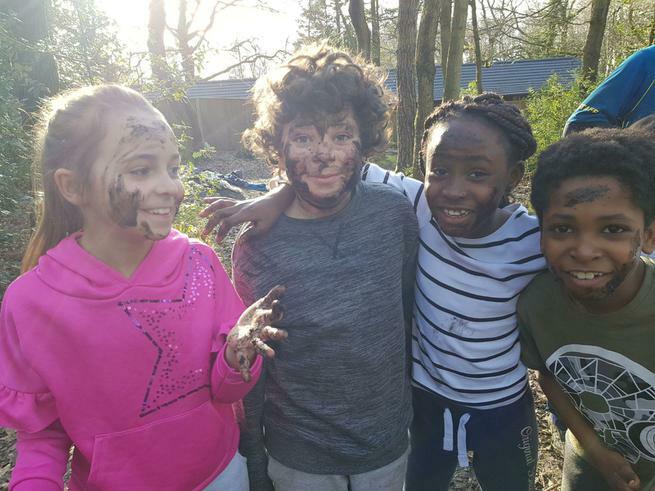 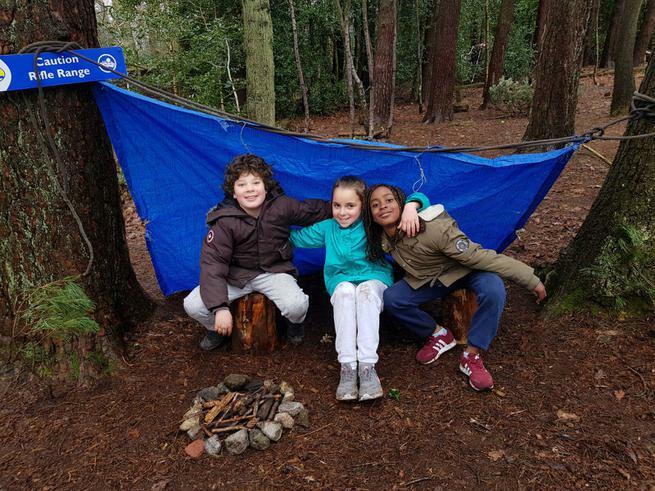 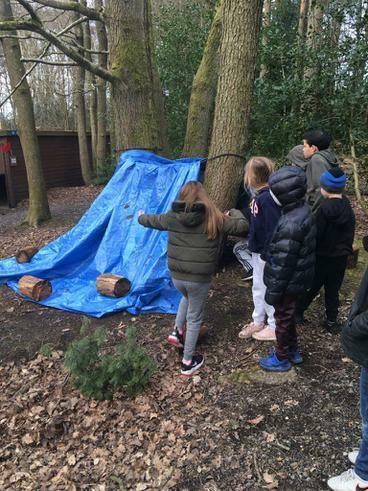 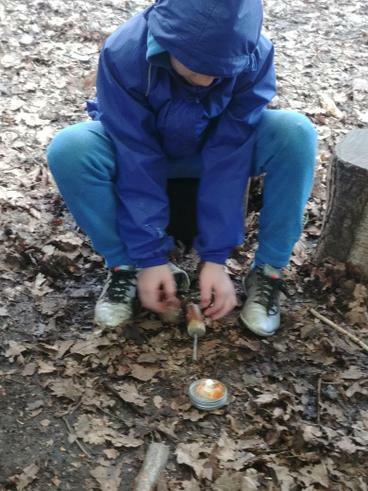 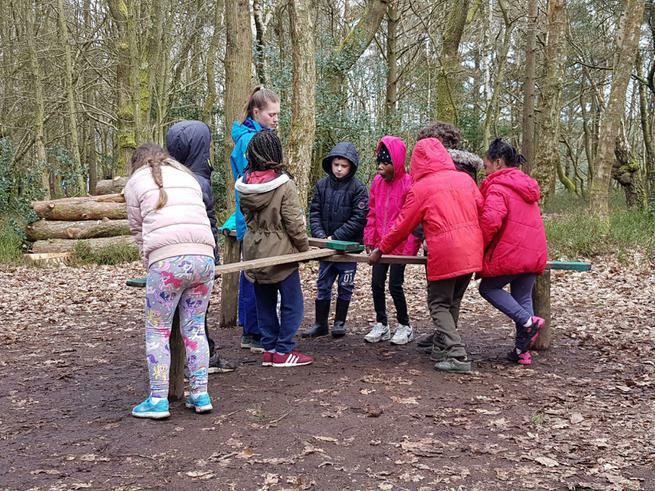 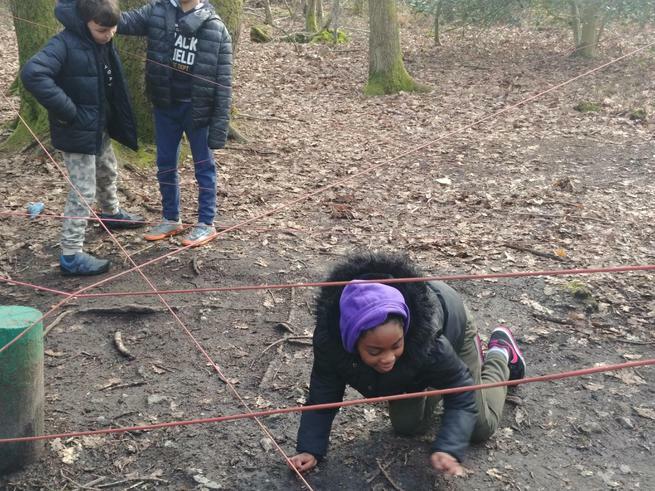 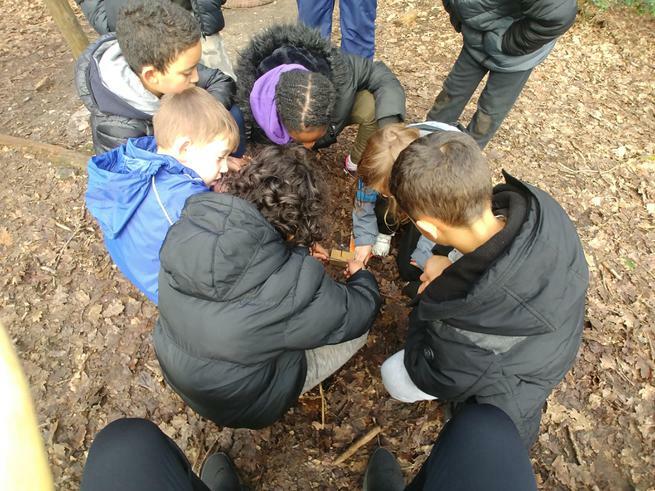 Our first day at PGL has been adventurous, the children have explored the woodland area and even got to play some hide and seek ! 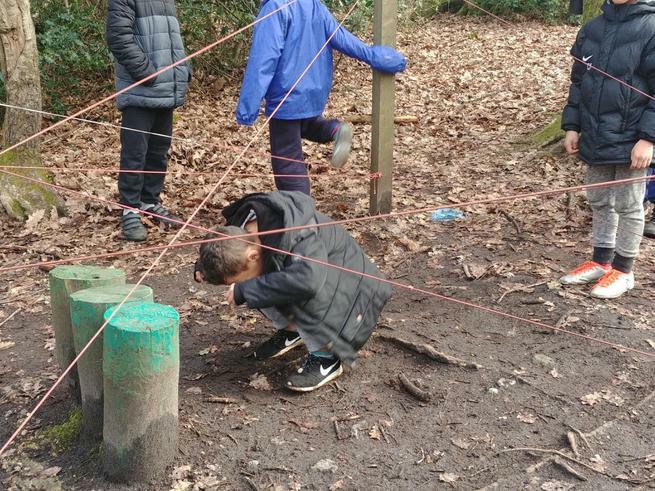 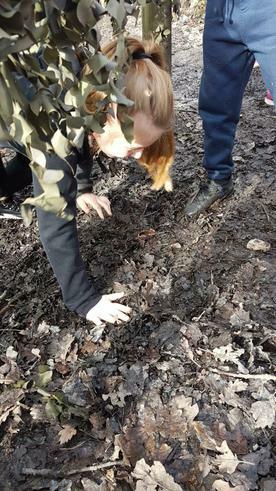 Some of the children were expert hiders. 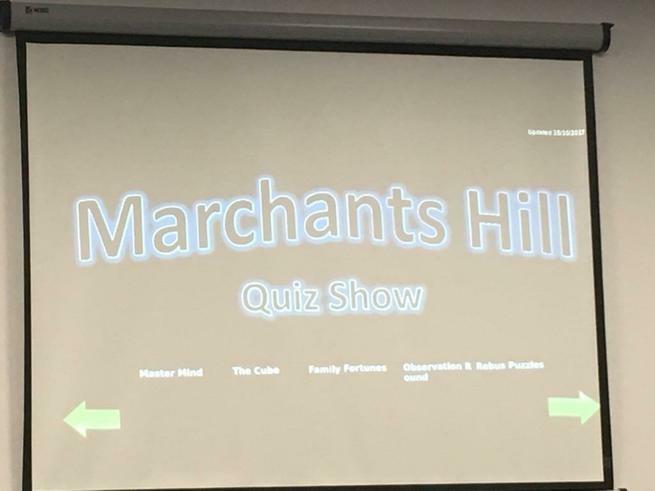 They then had to test their general knowledge with a quiz! 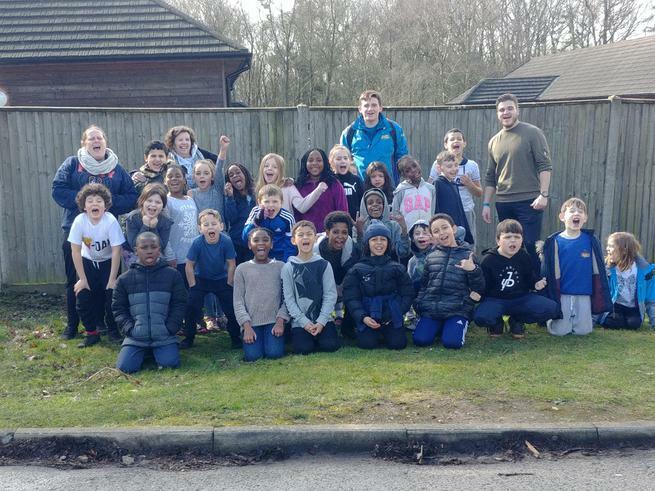 They are all tired out and ready for day 2 of their PGL aventure! 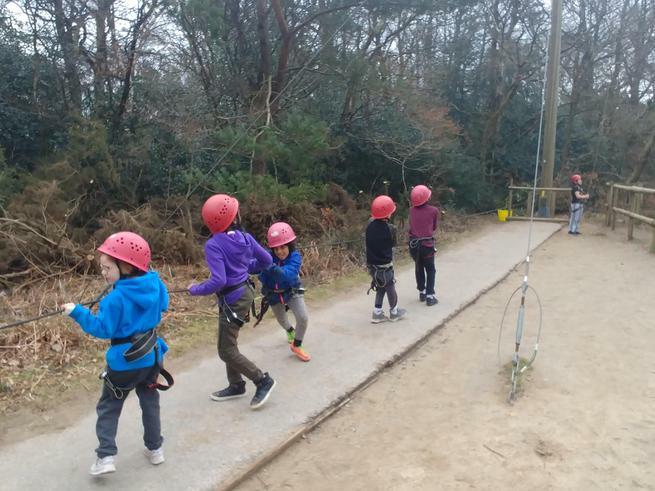 We have arrived at PGL! 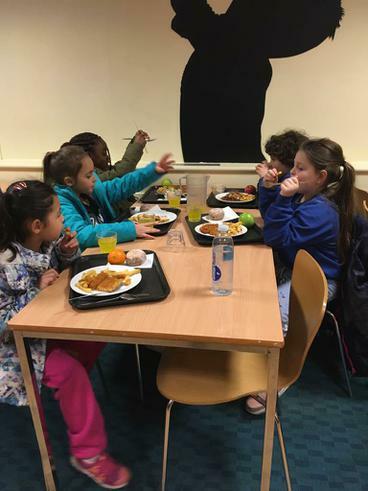 The children have had their lunch and are waiting to be taken into their rooms to get settled in! 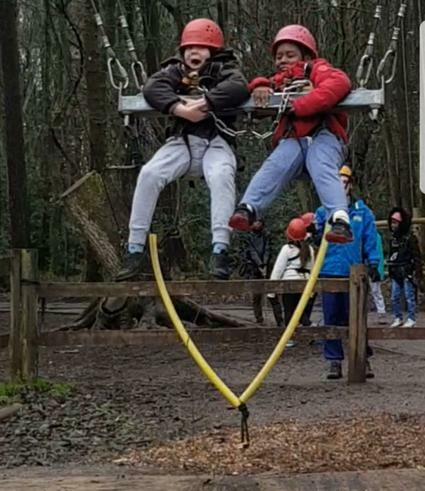 The excitement can be seen in their faces!